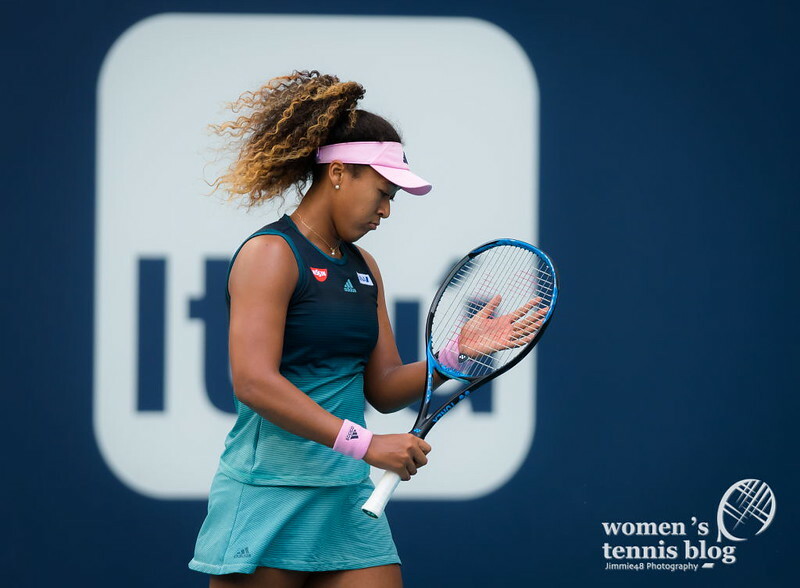 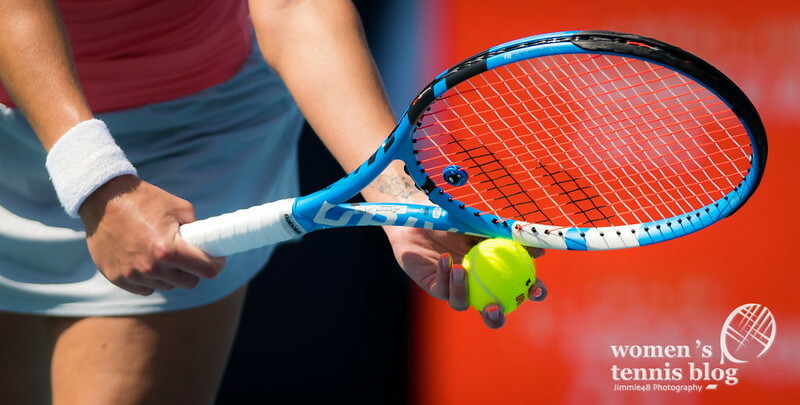 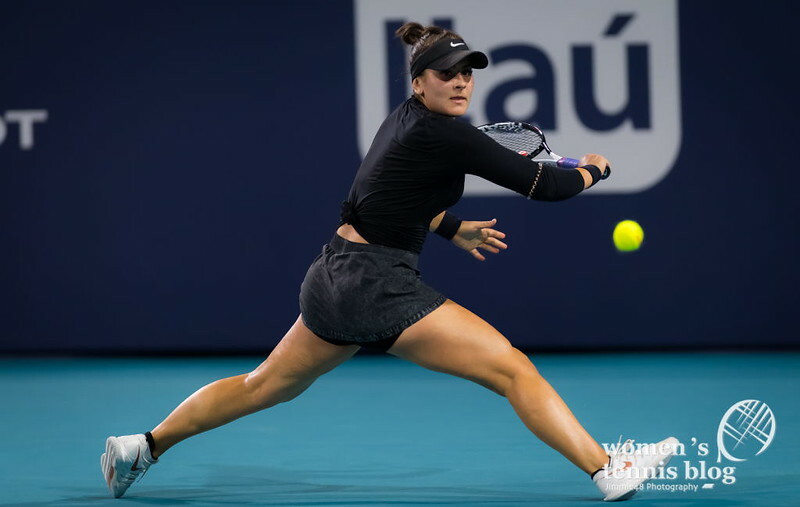 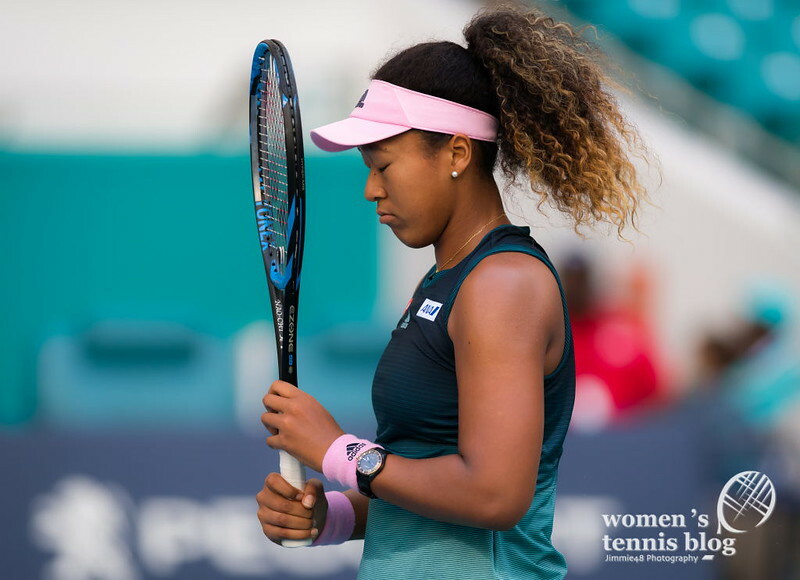 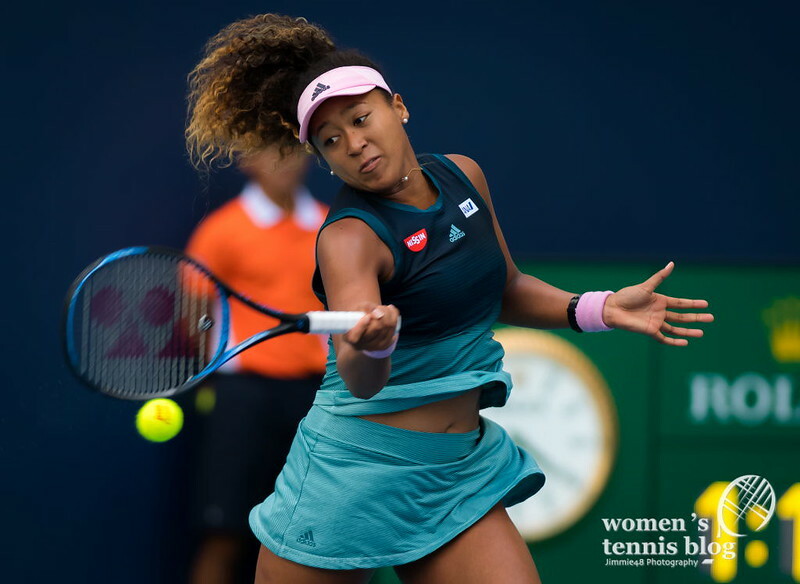 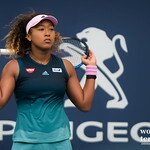 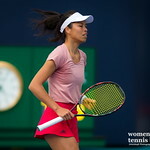 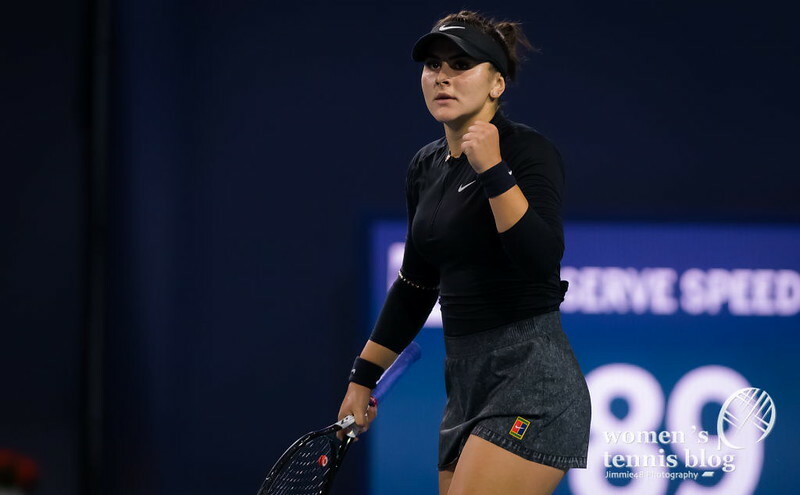 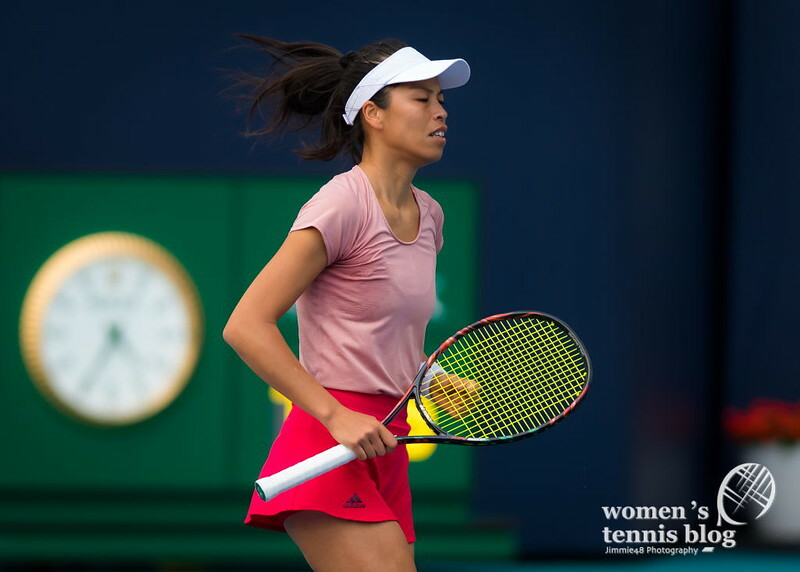 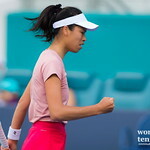 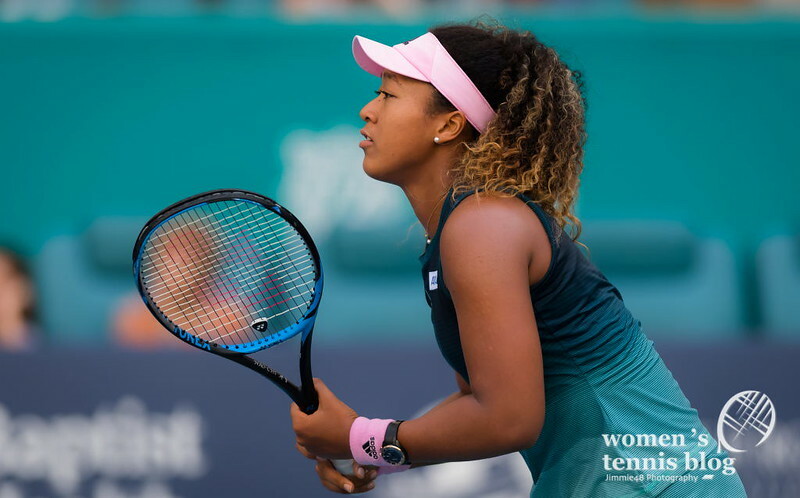 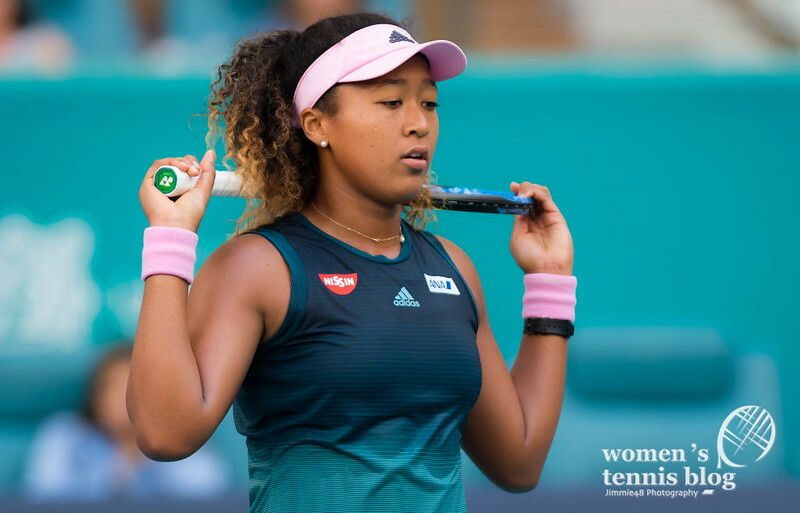 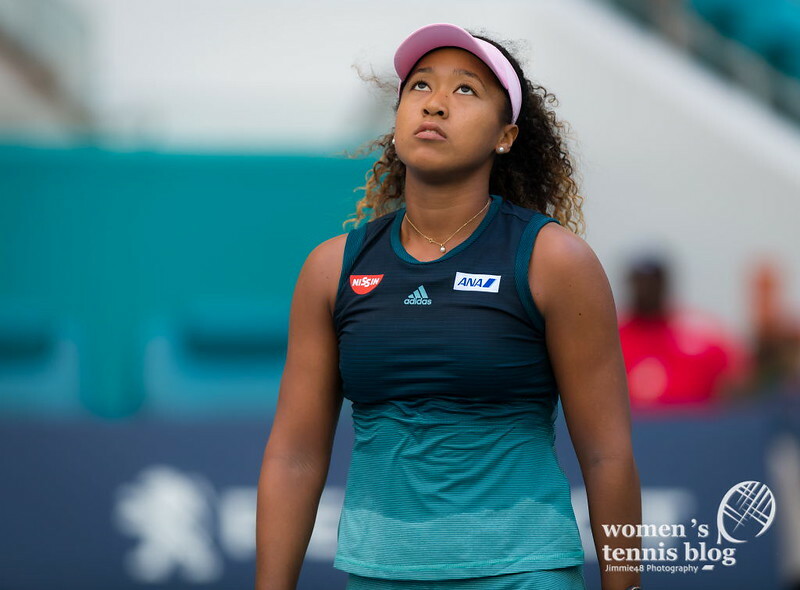 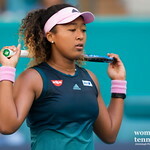 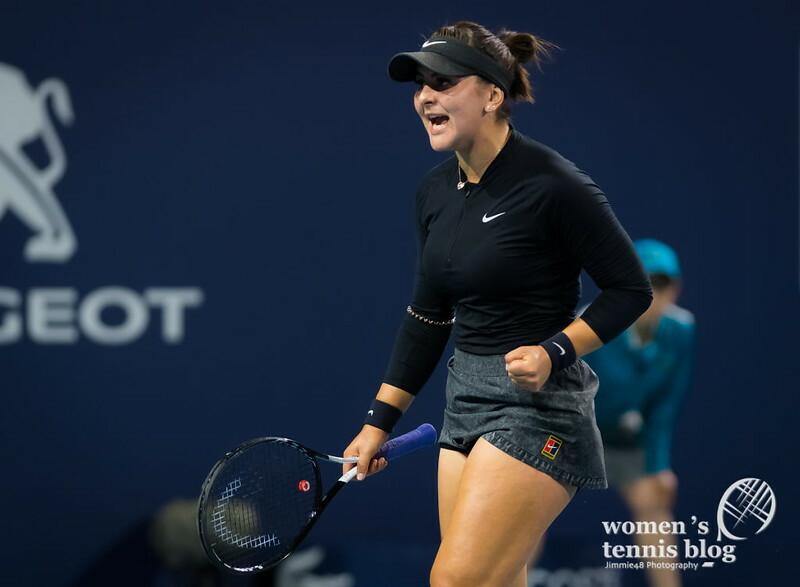 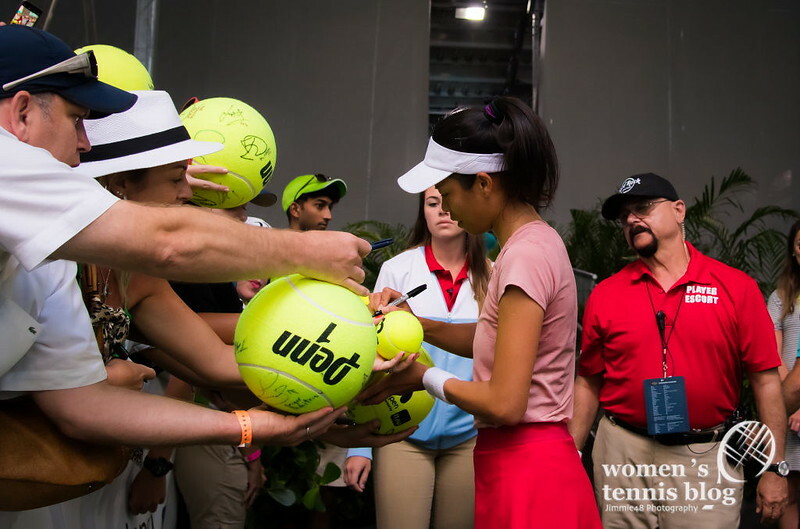 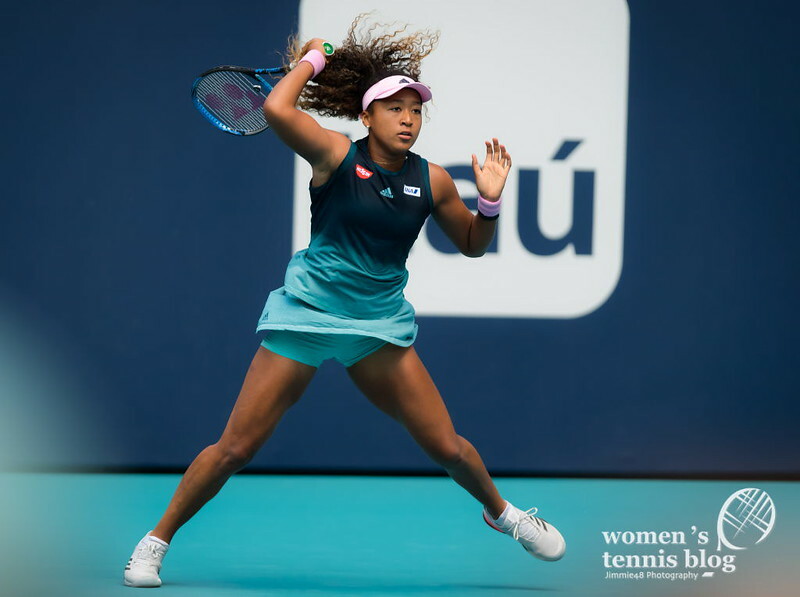 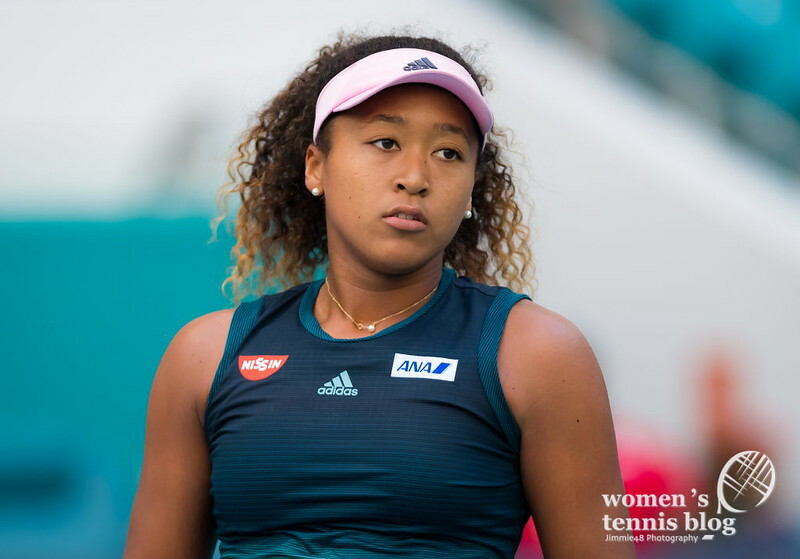 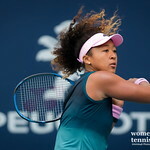 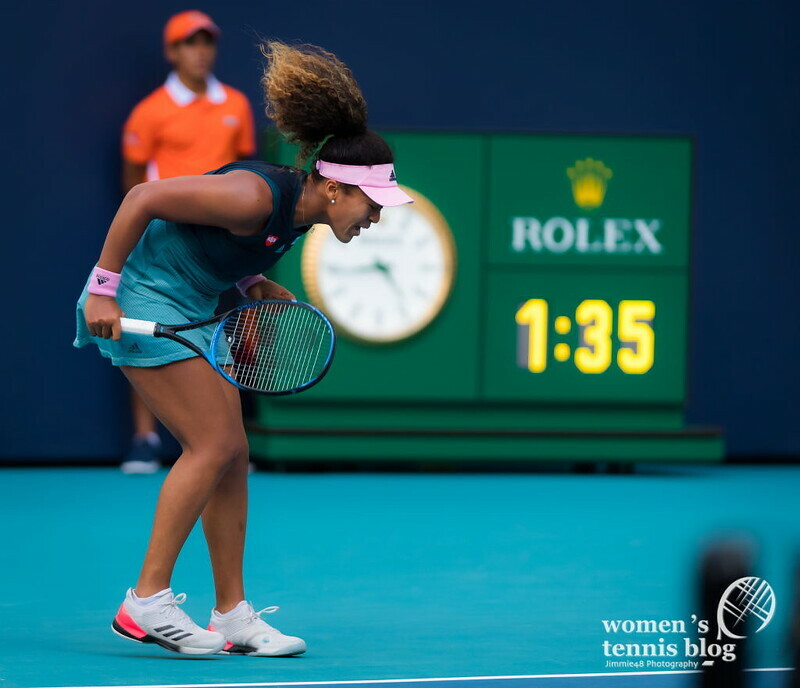 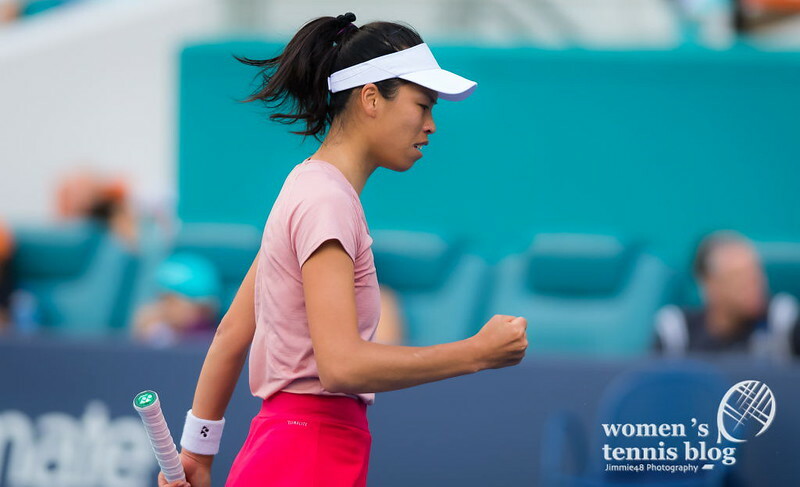 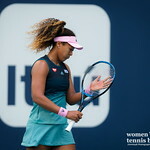 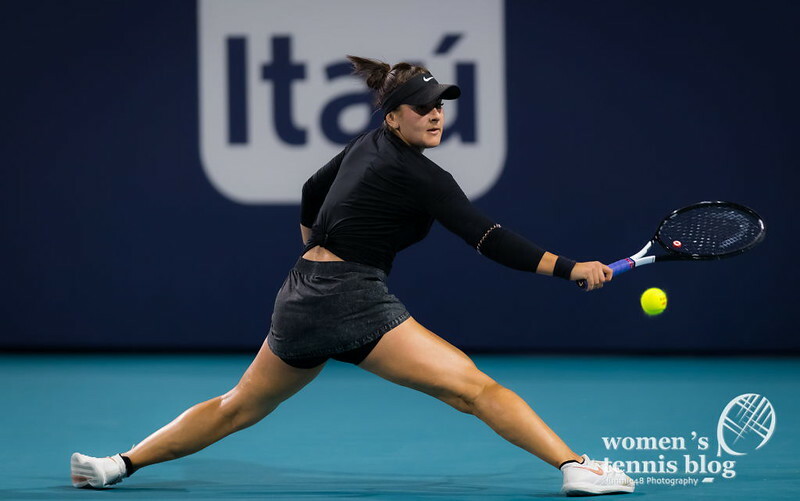 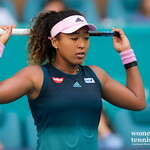 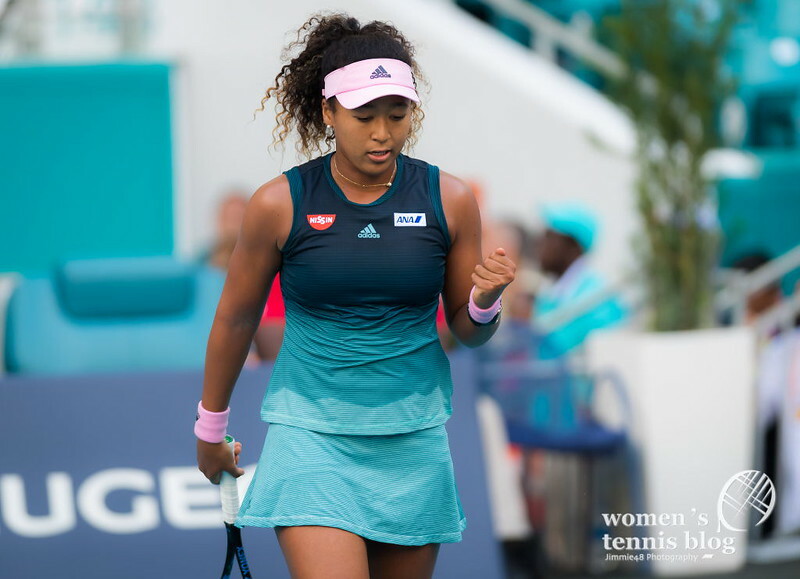 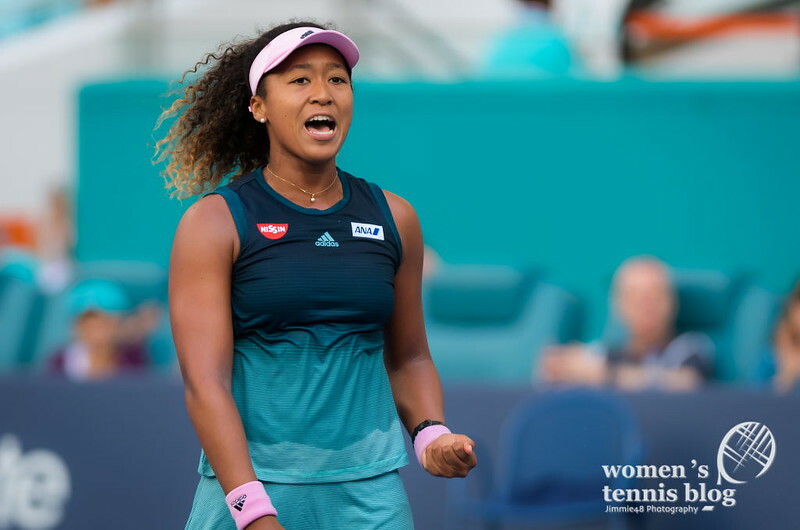 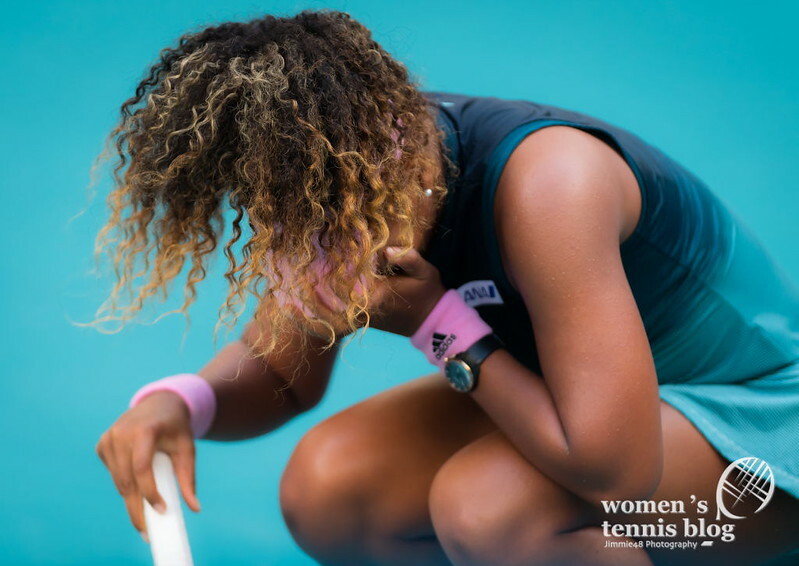 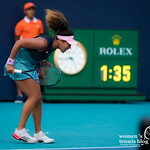 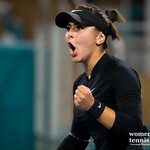 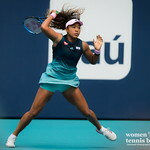 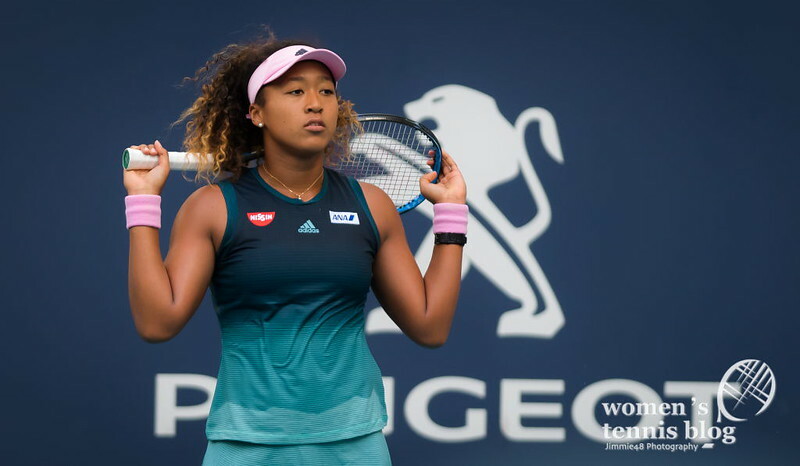 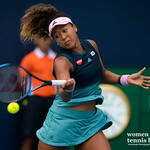 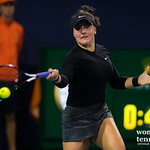 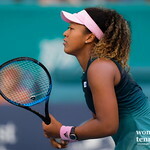 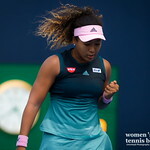 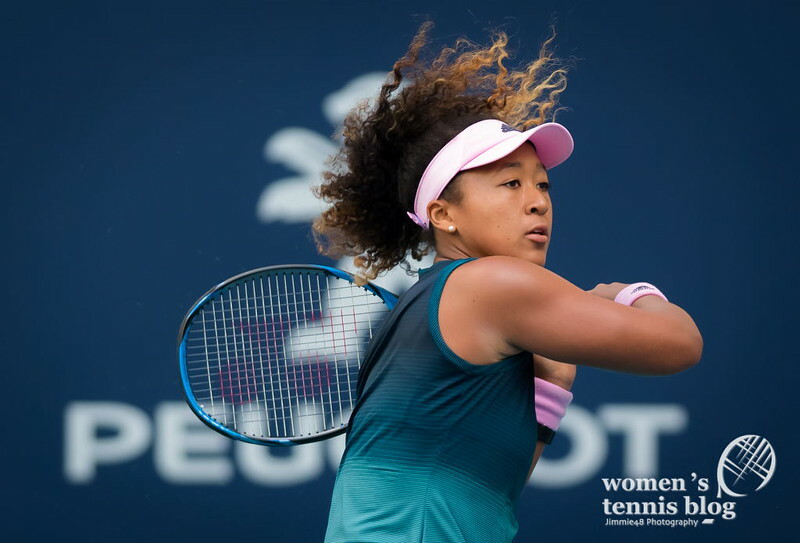 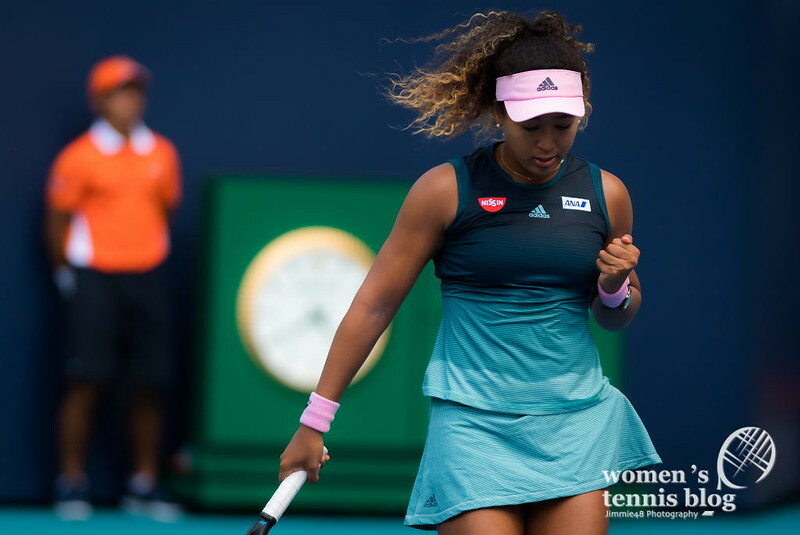 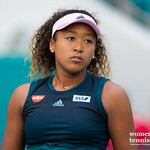 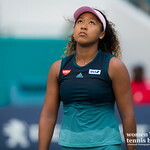 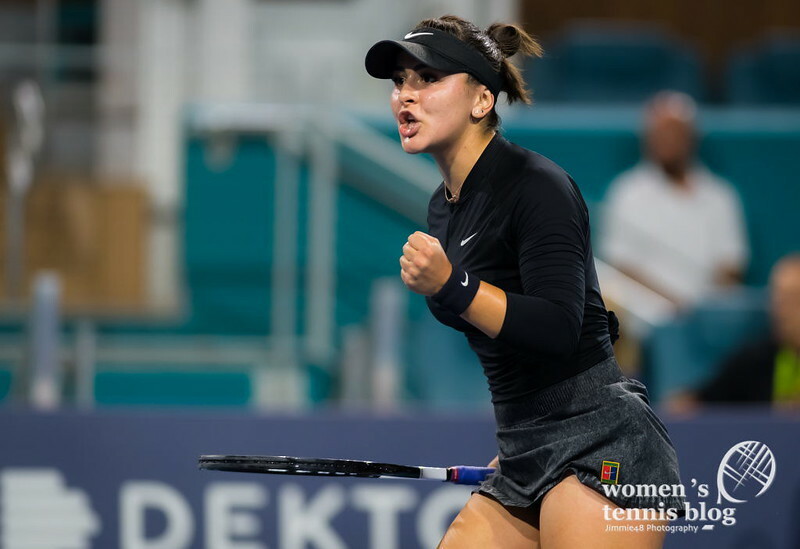 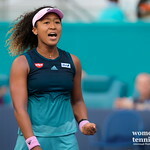 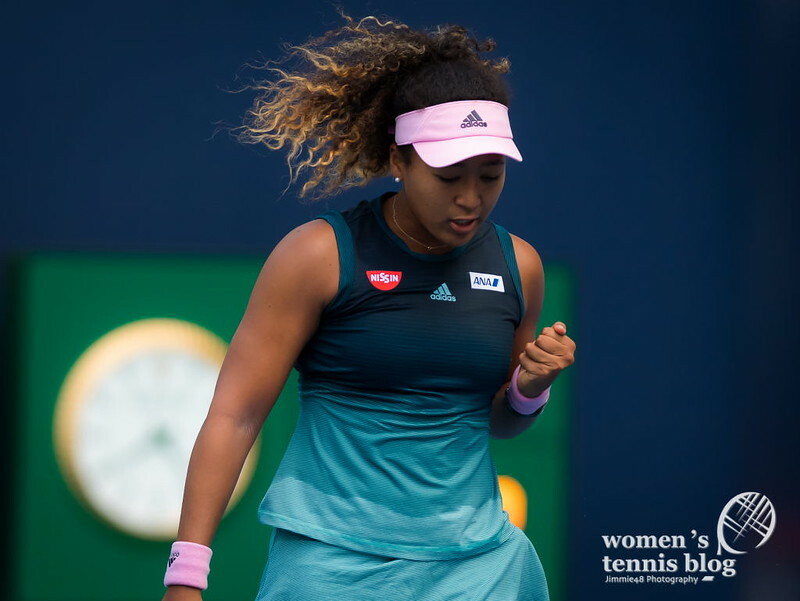 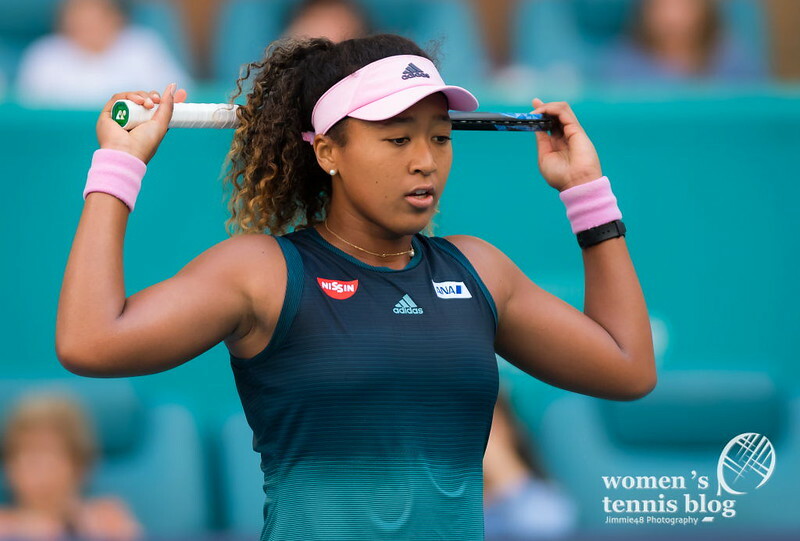 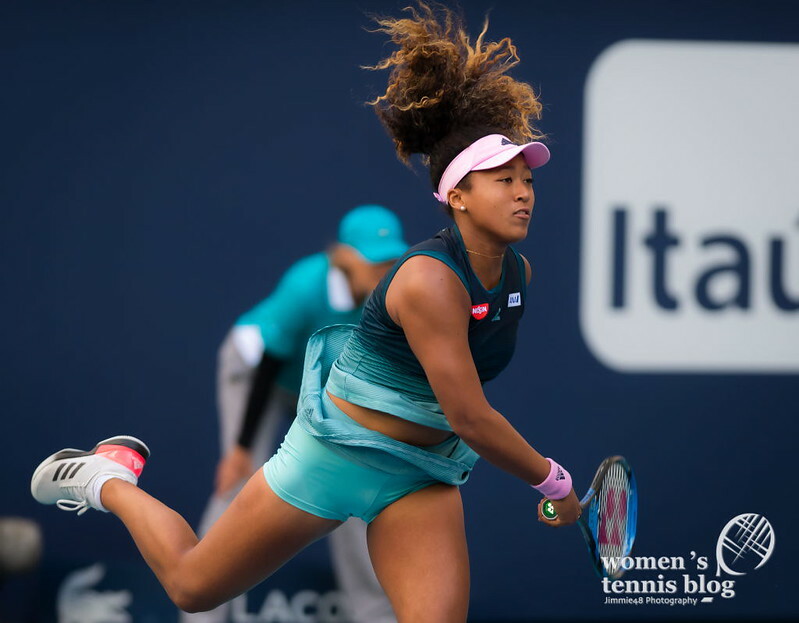 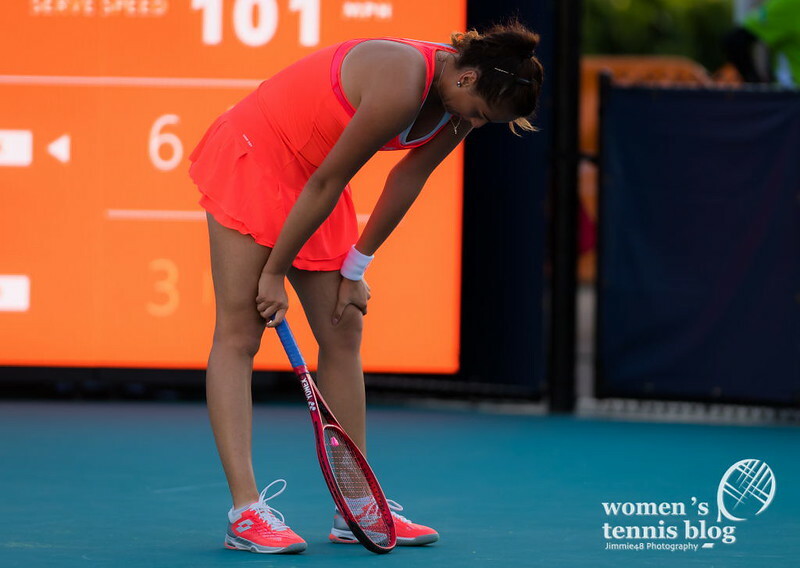 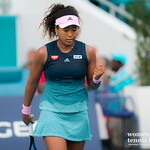 World No.1 Naomi Osaka suffered a shock 4-6 7-6(4) 6-3 loss to 27th-ranked Hsieh Su-wei in the third round of the Miami Open, while Bianca Andreescu, who rushed to the tournament after her breakthrough title win at the BNP Paribas Open over the weekend, continues to pile up victories, beating world No.4 Angelique Kerber for the second time in a week to extend her winning streak to 10 matches. 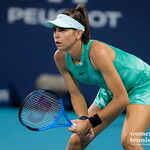 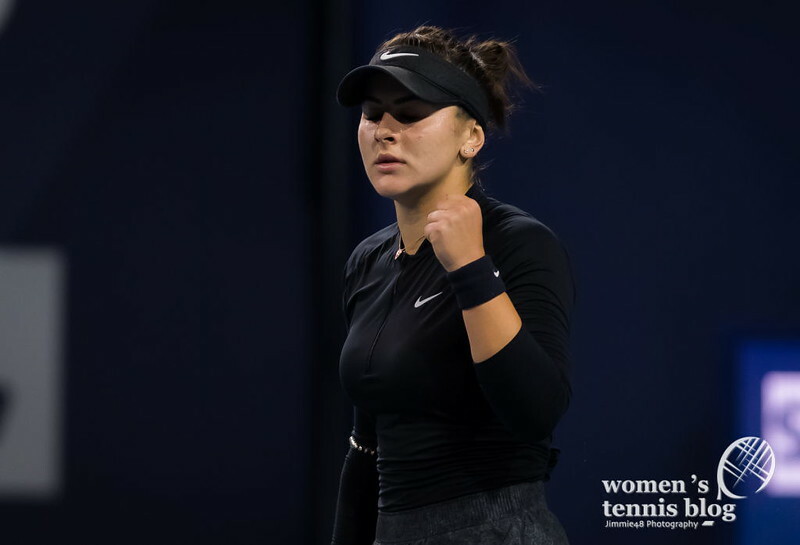 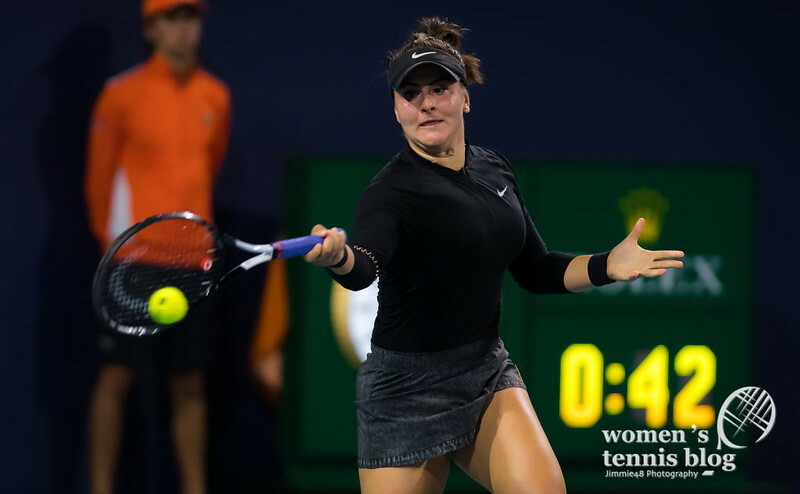 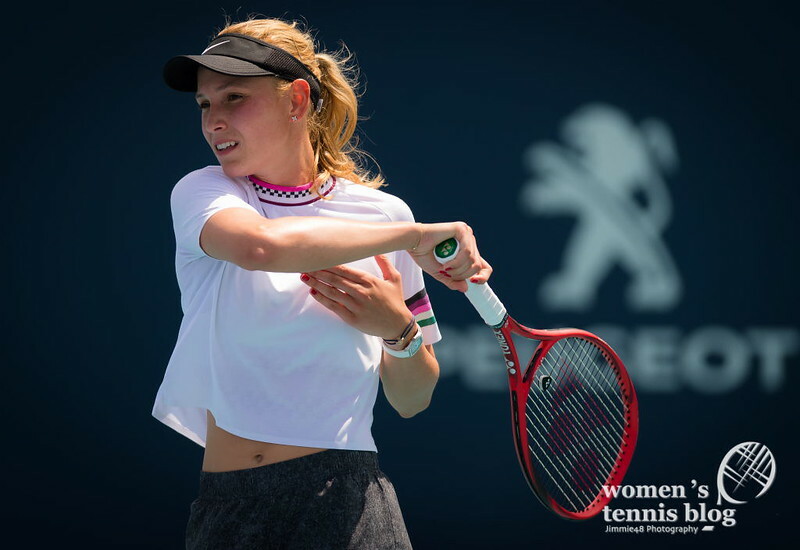 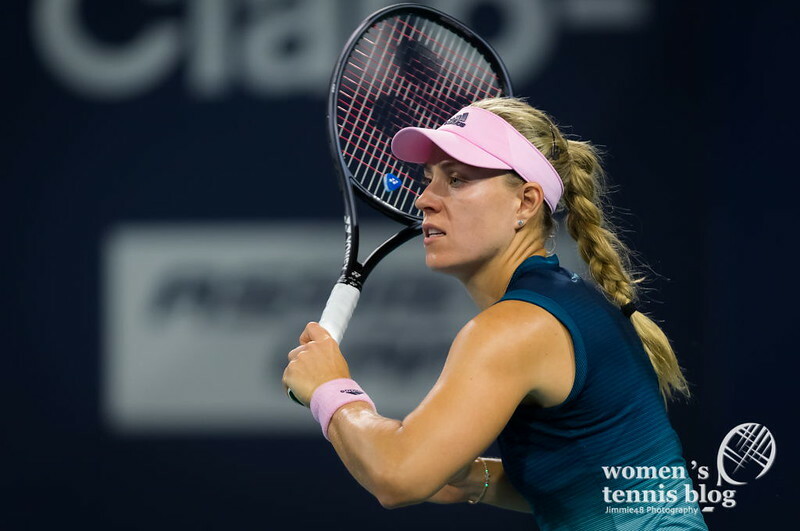 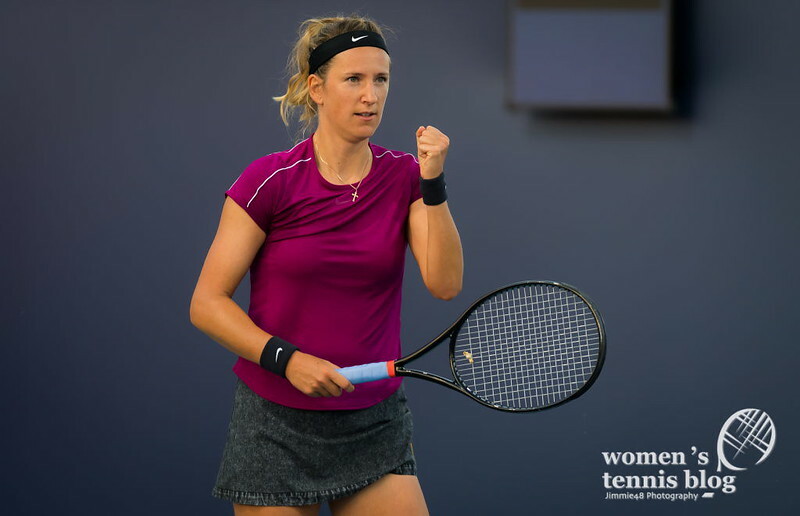 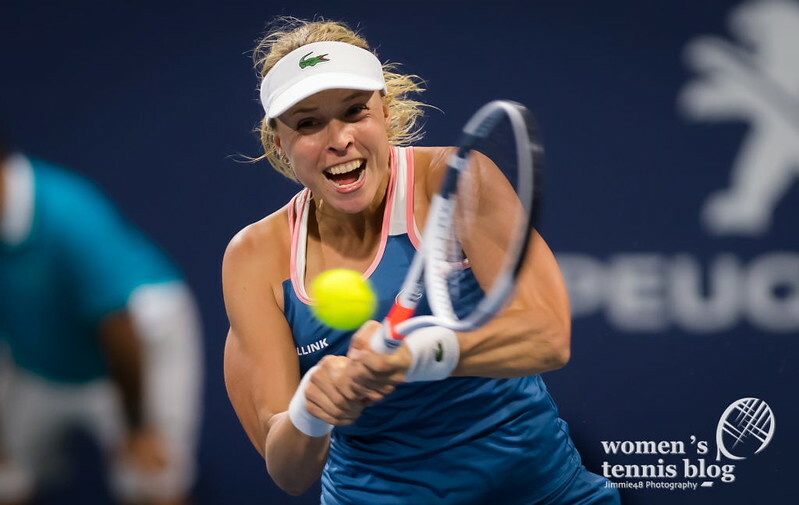 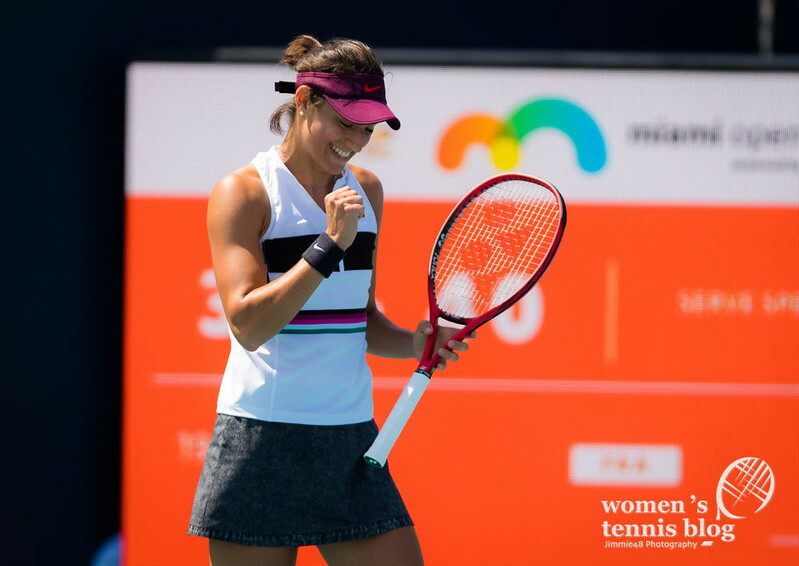 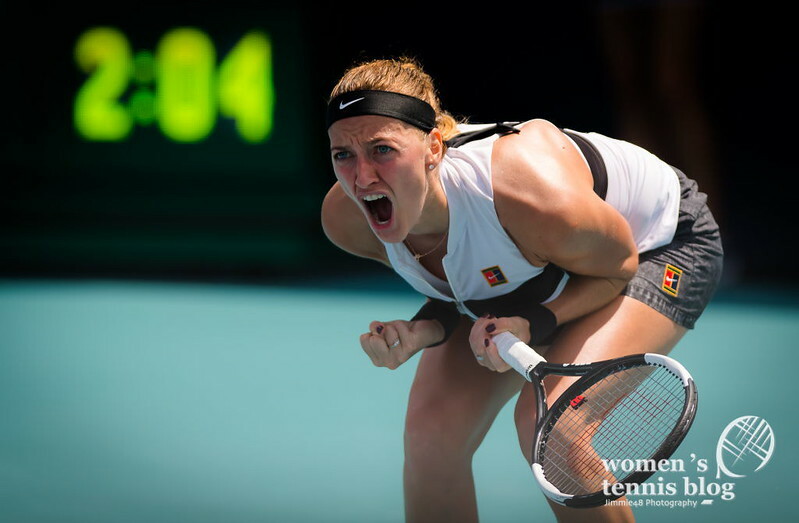 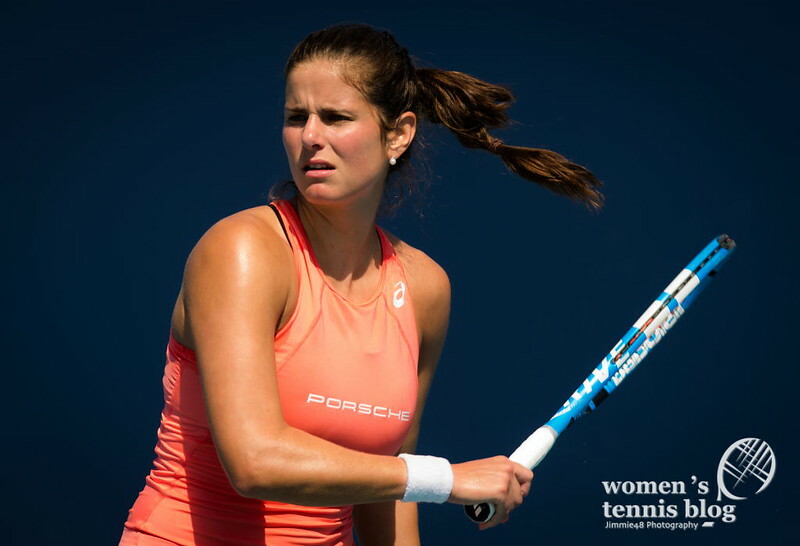 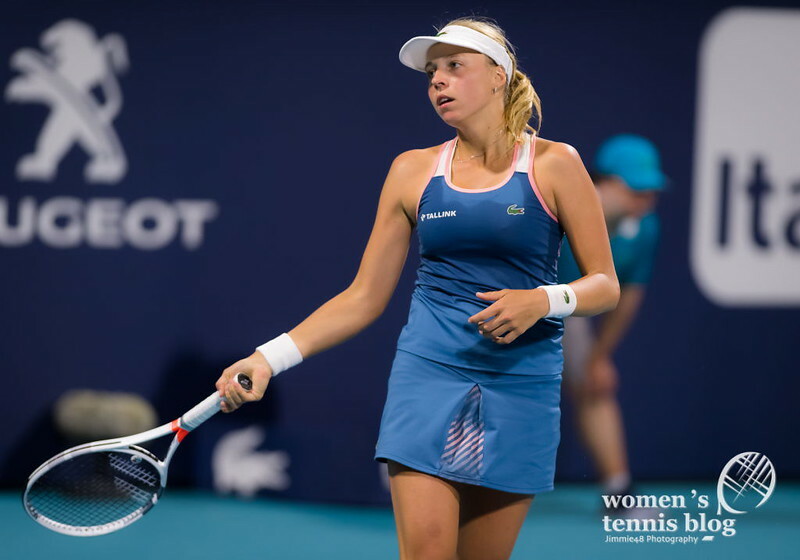 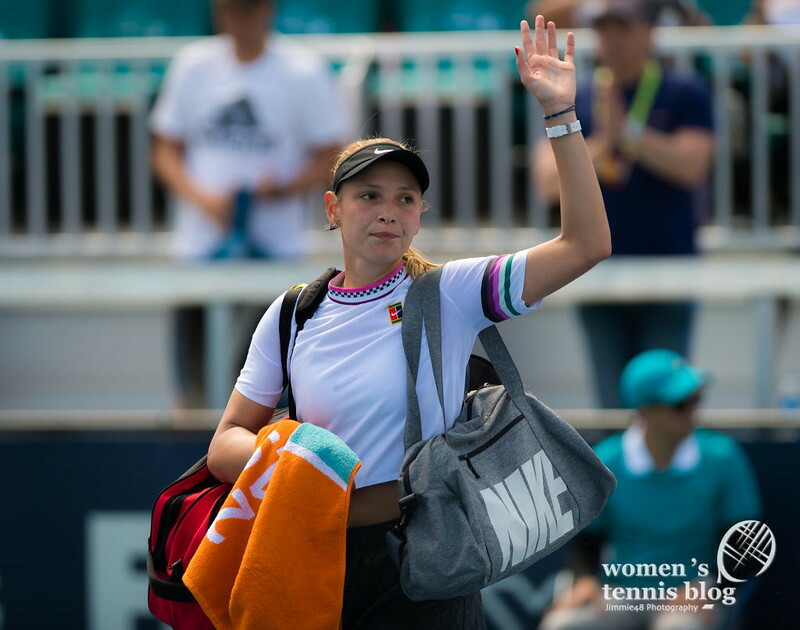 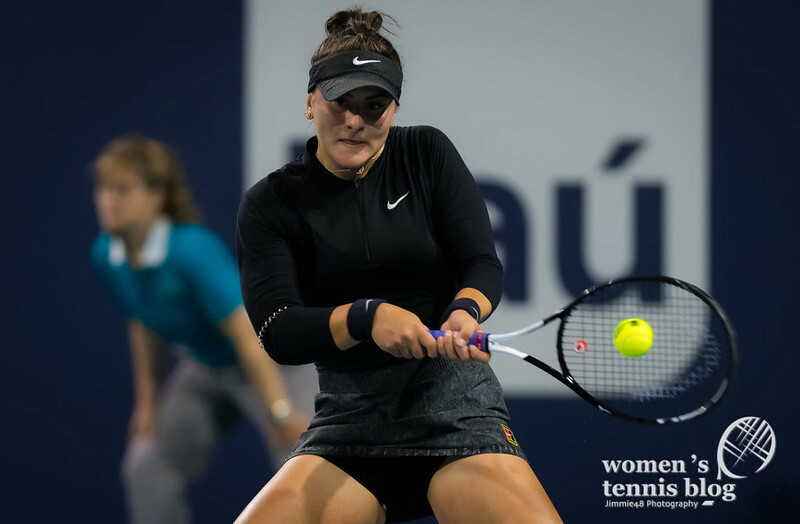 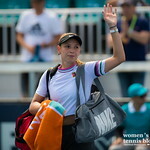 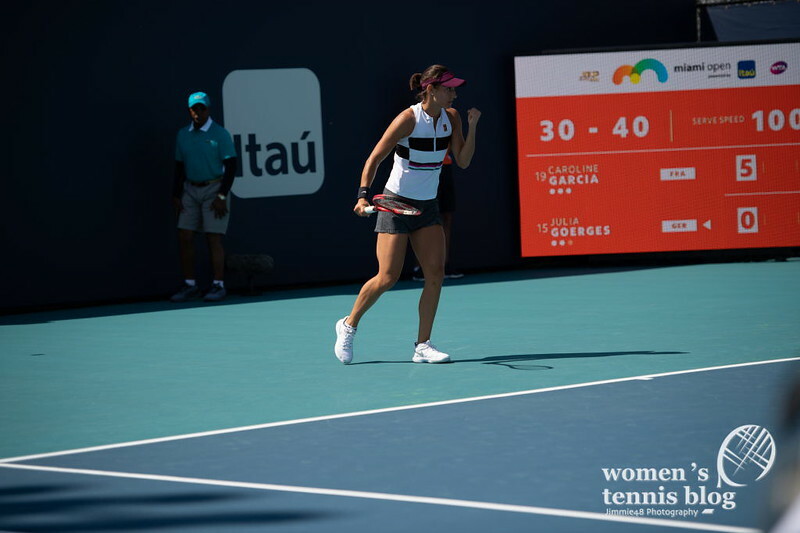 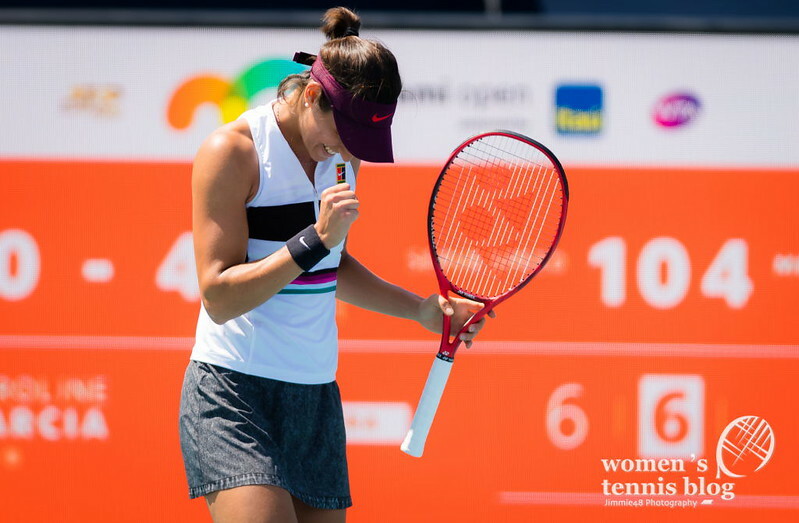 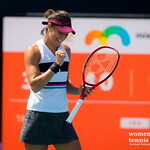 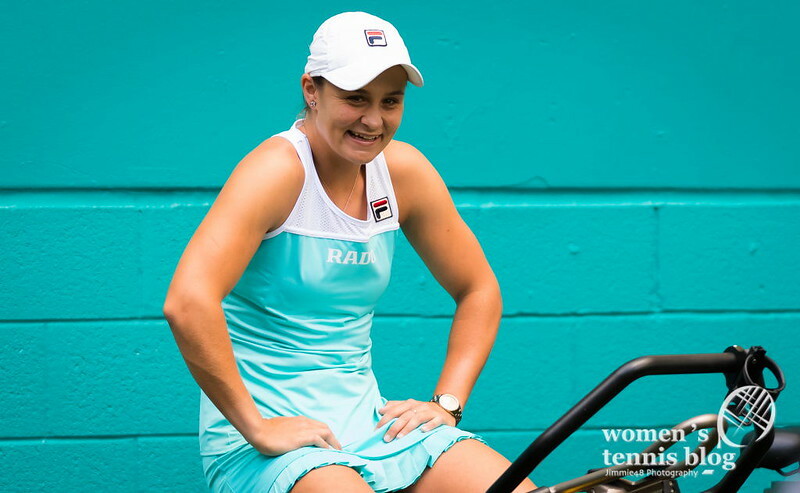 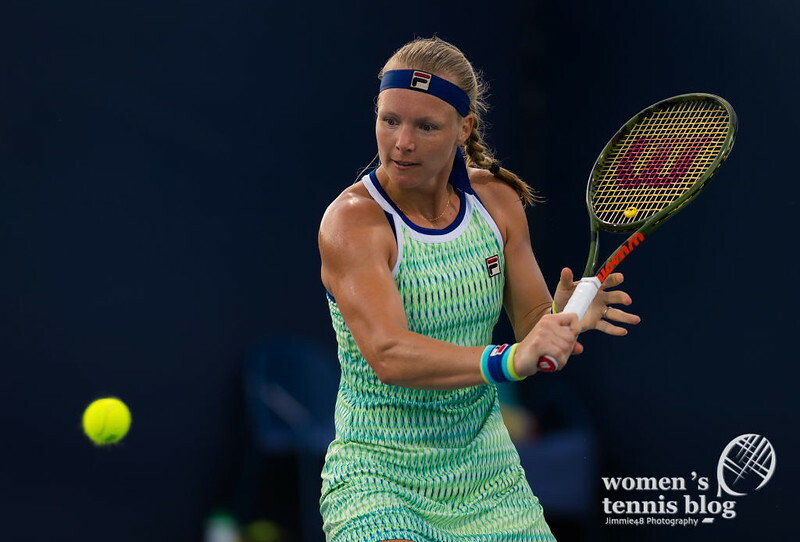 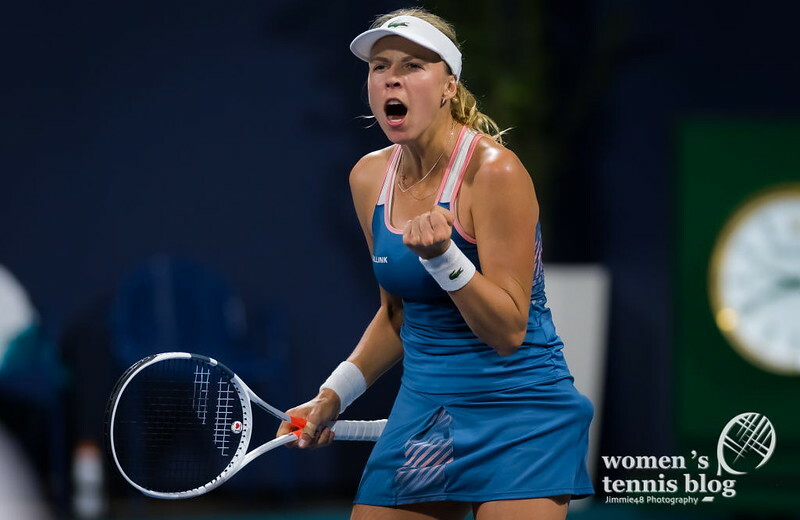 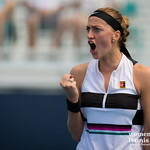 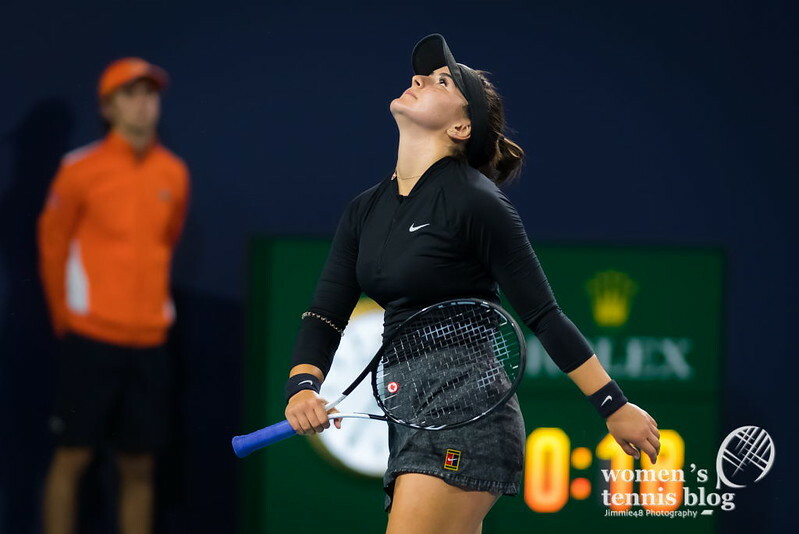 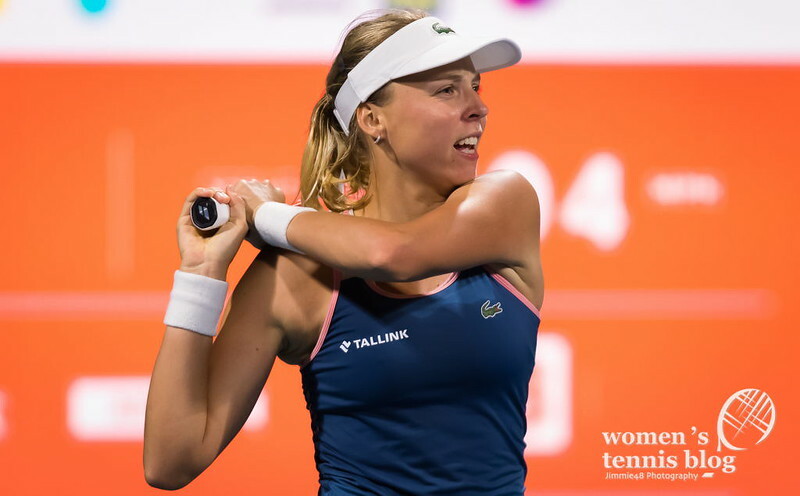 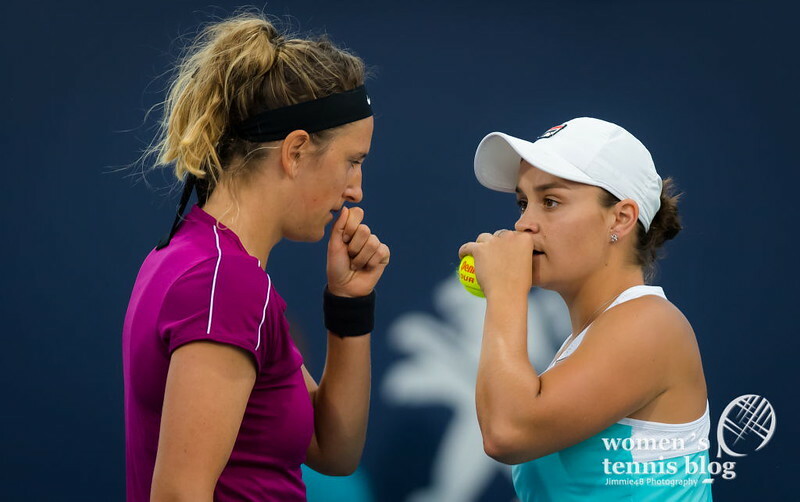 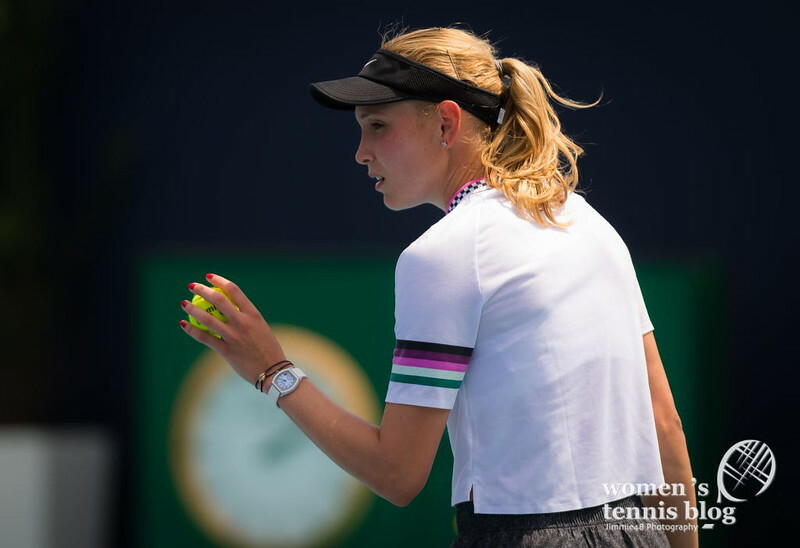 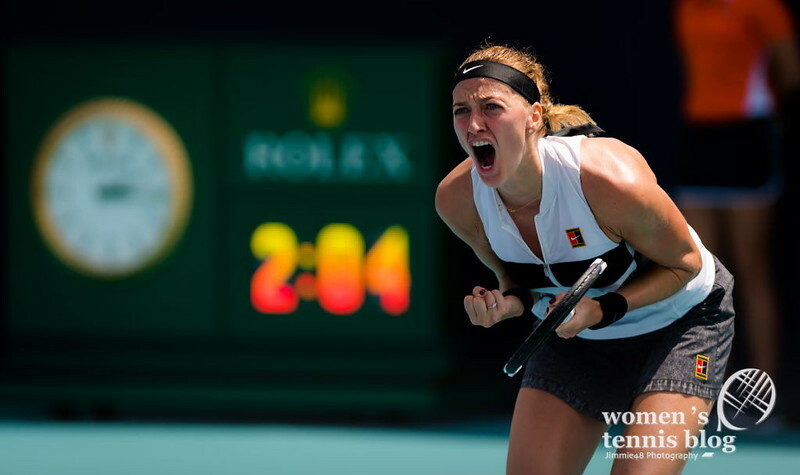 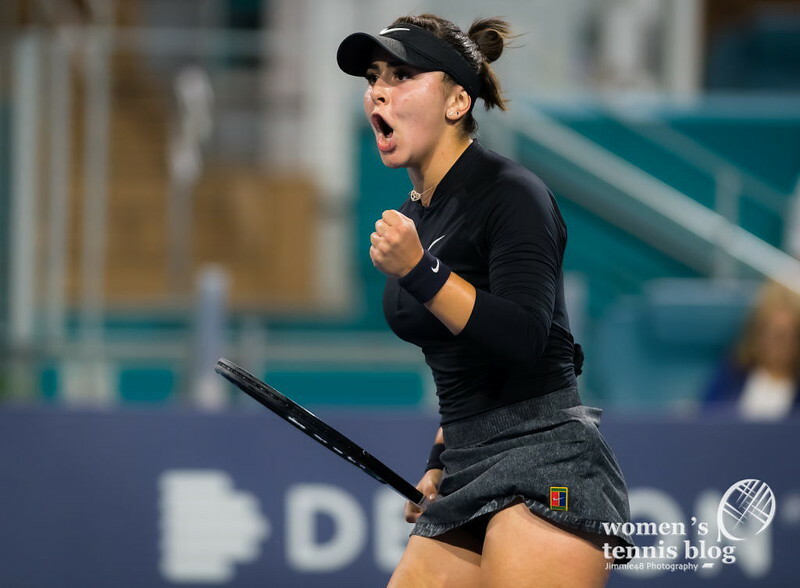 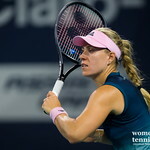 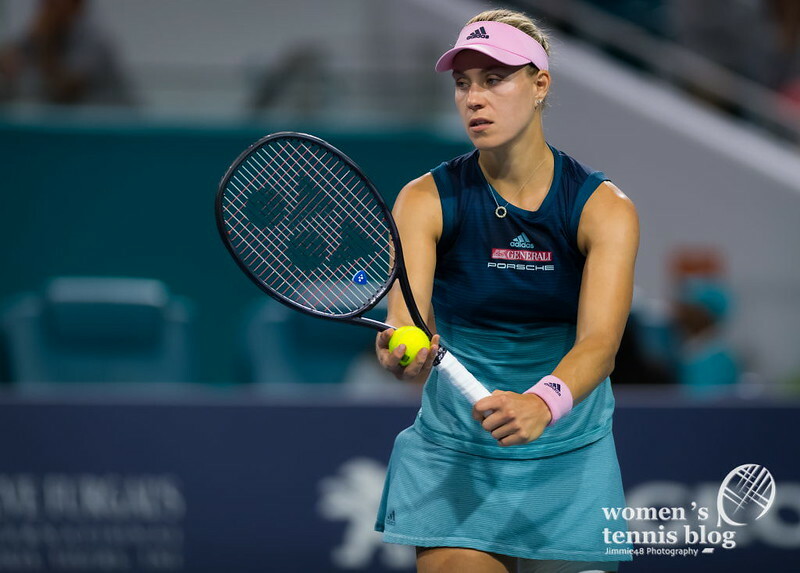 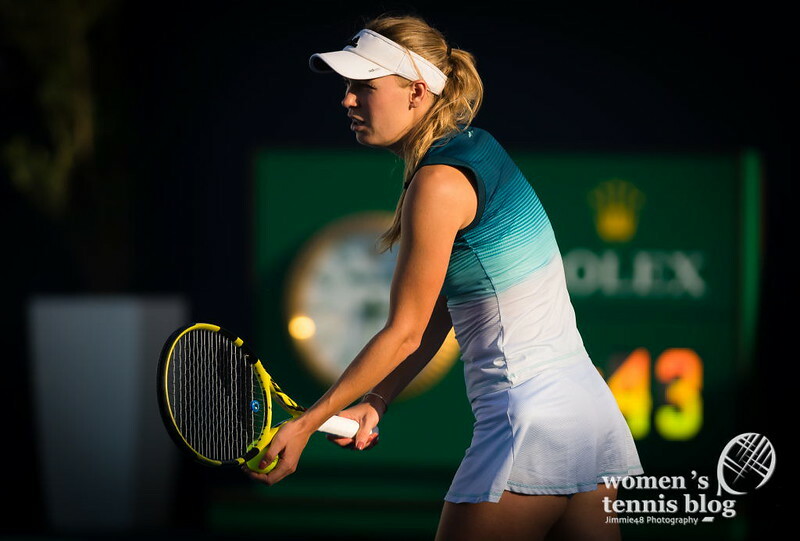 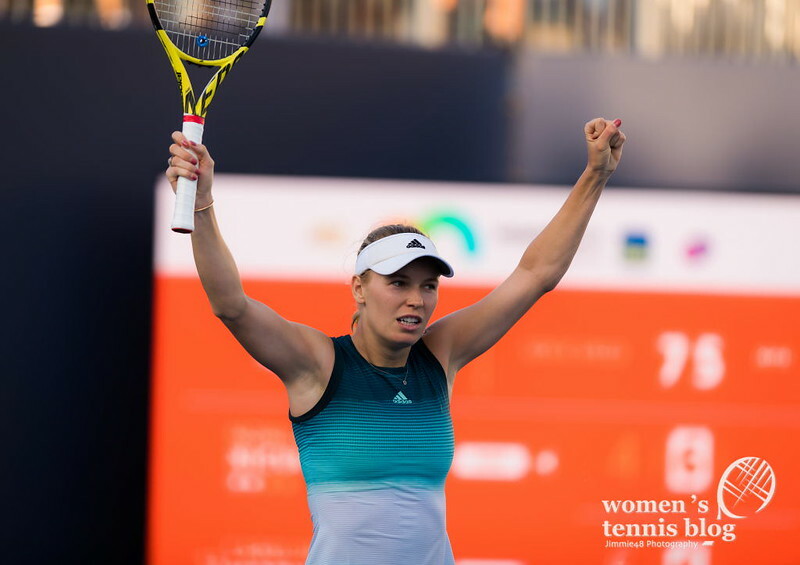 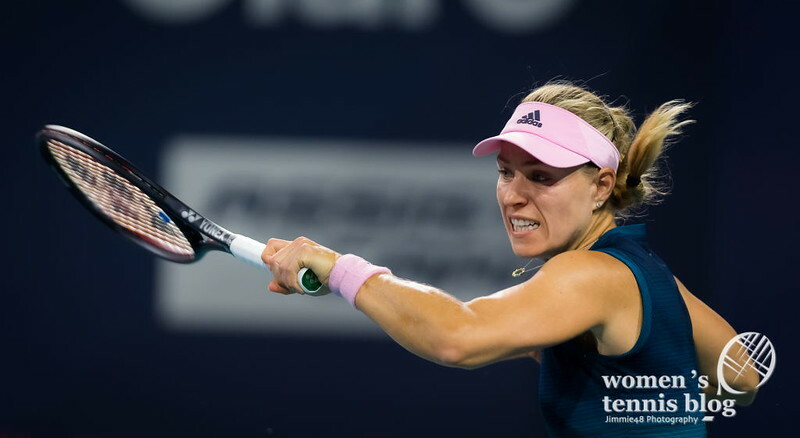 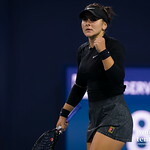 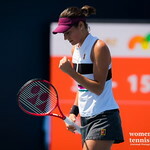 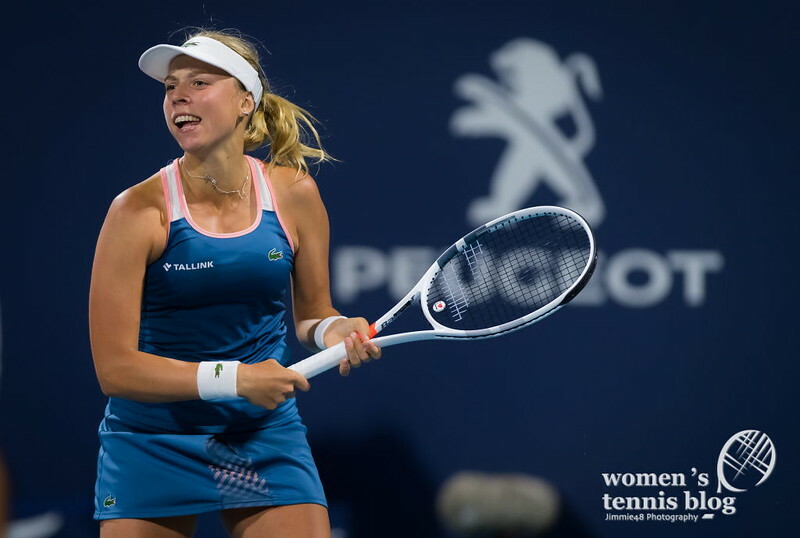 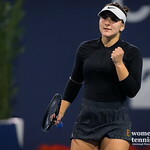 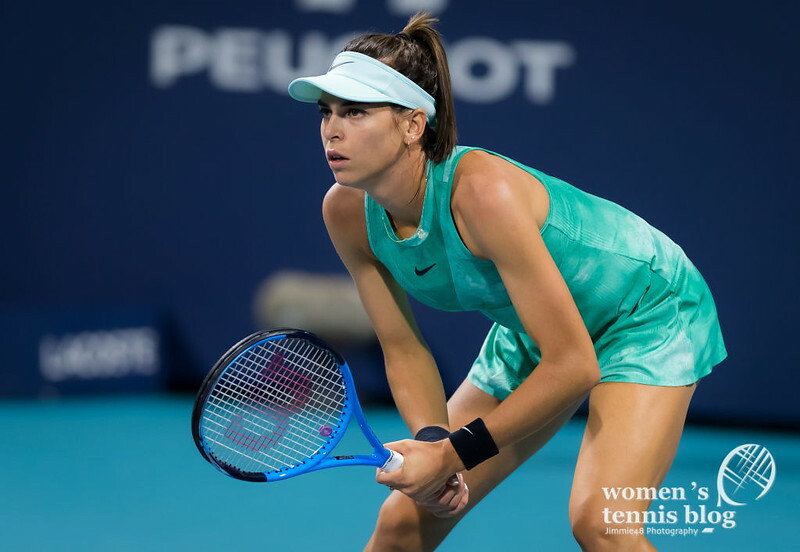 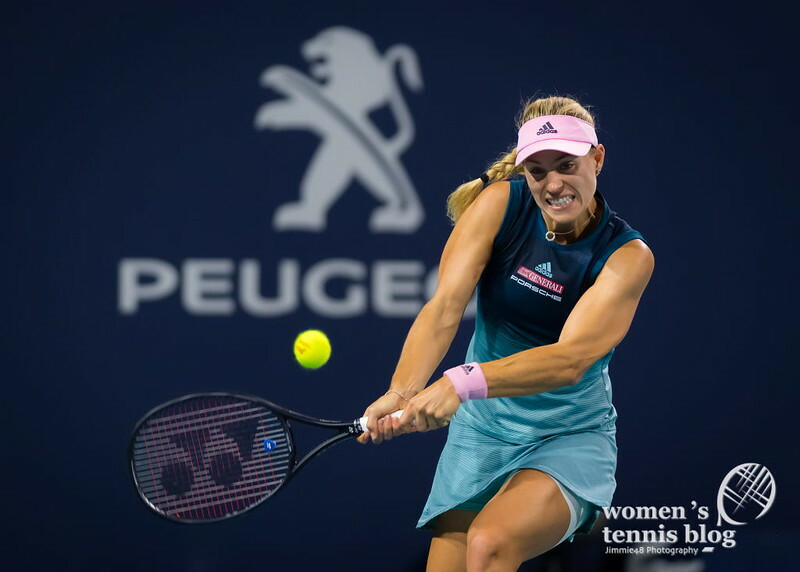 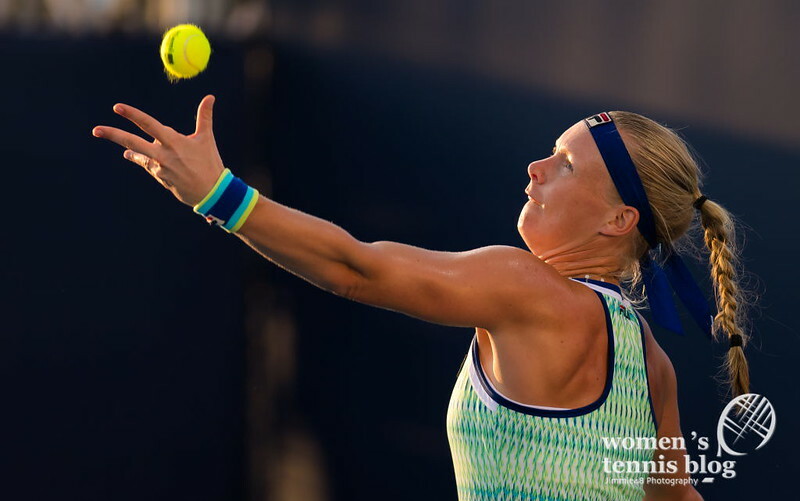 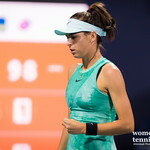 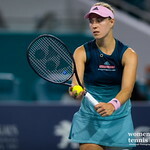 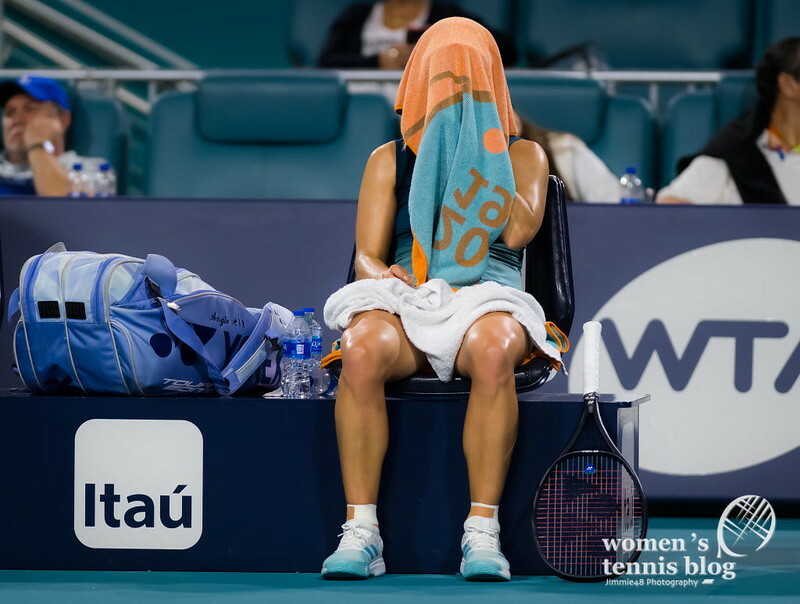 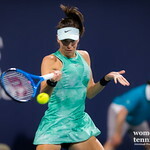 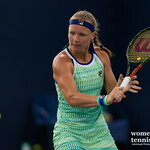 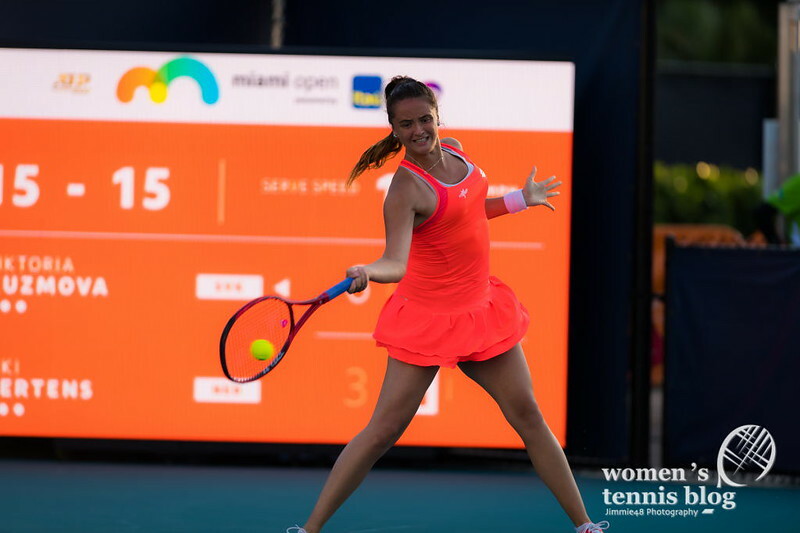 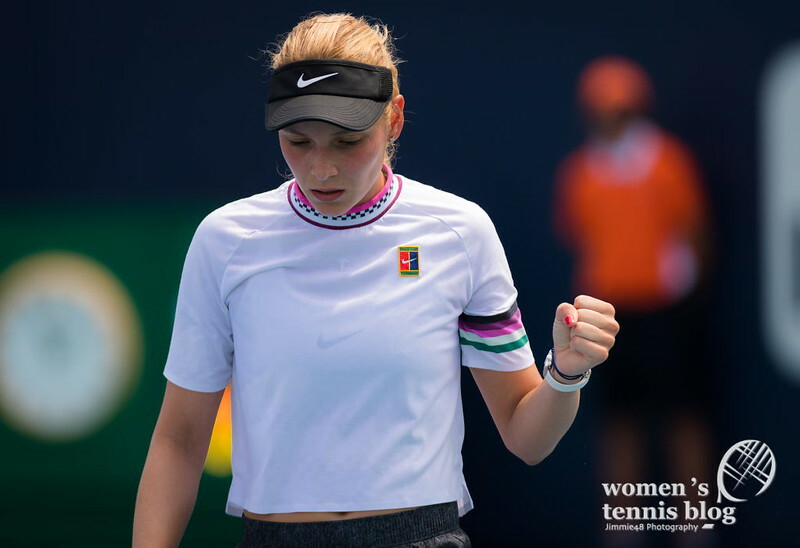 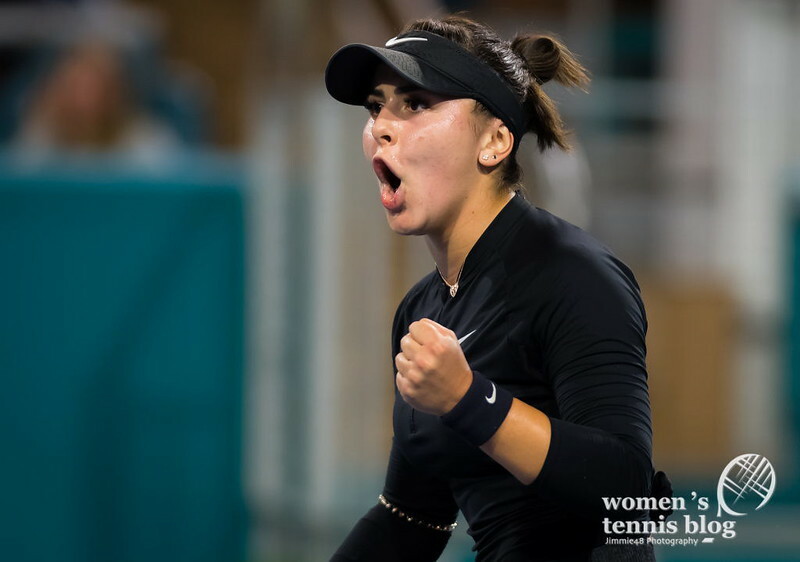 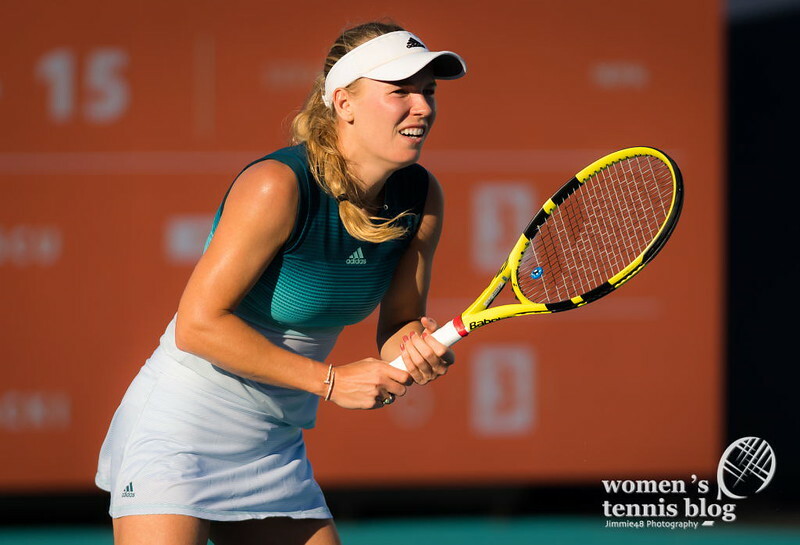 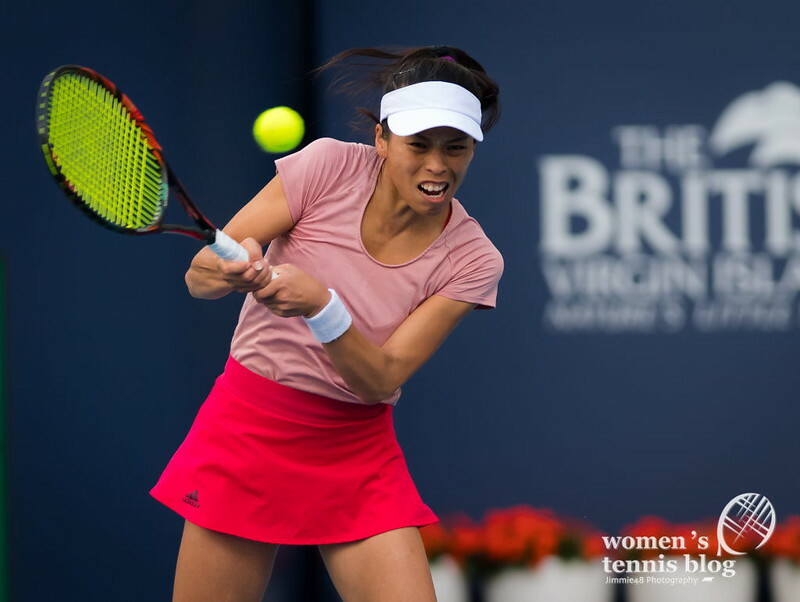 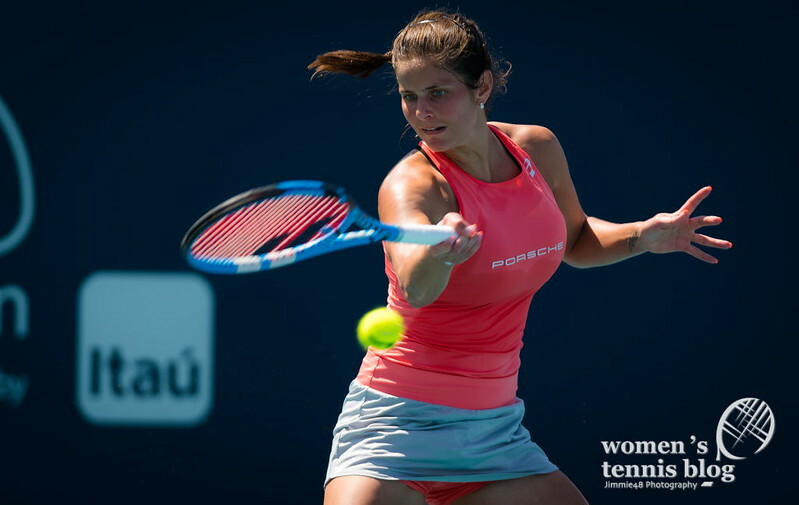 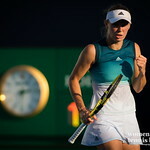 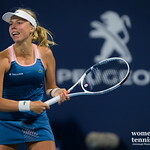 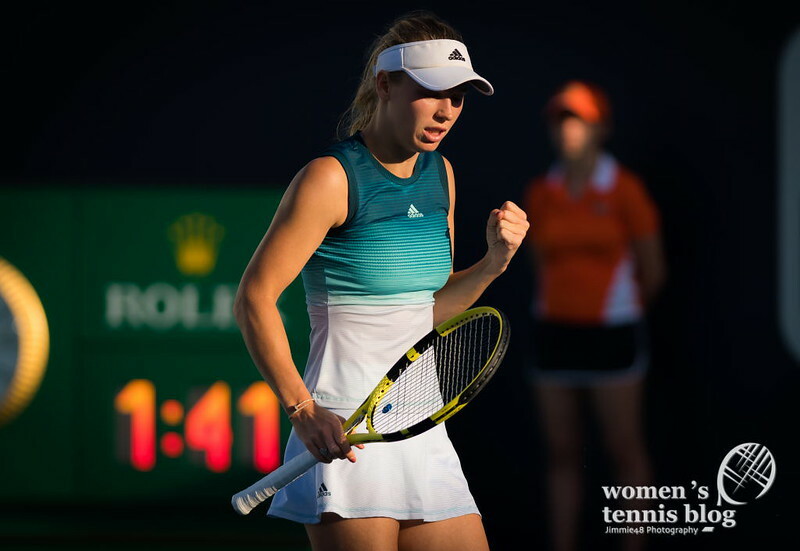 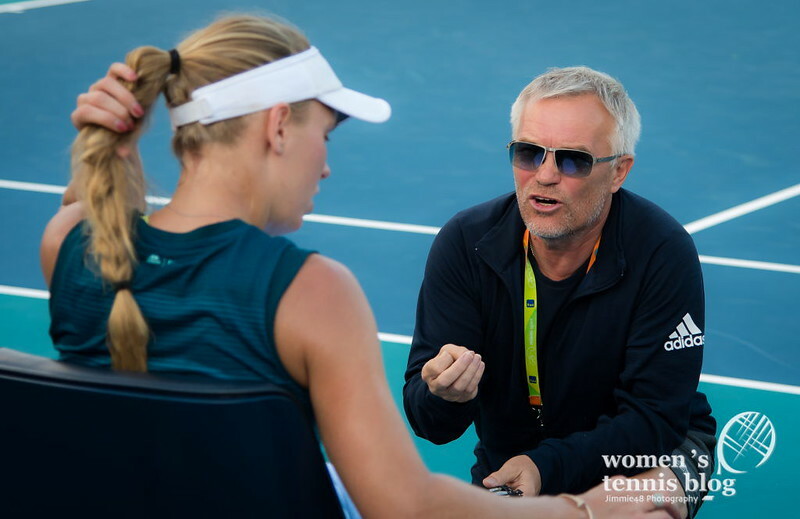 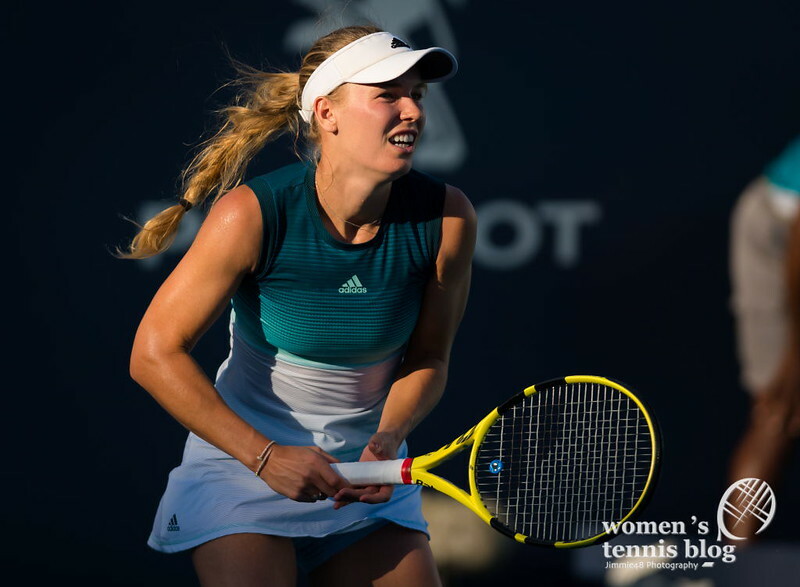 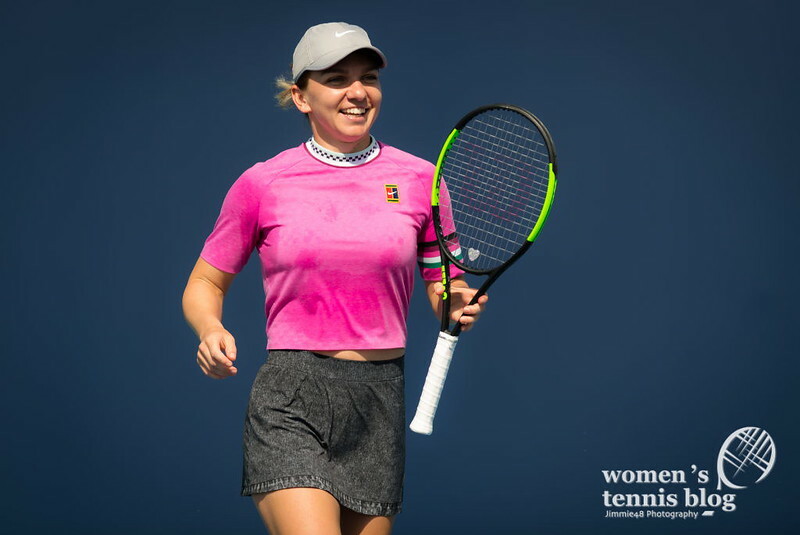 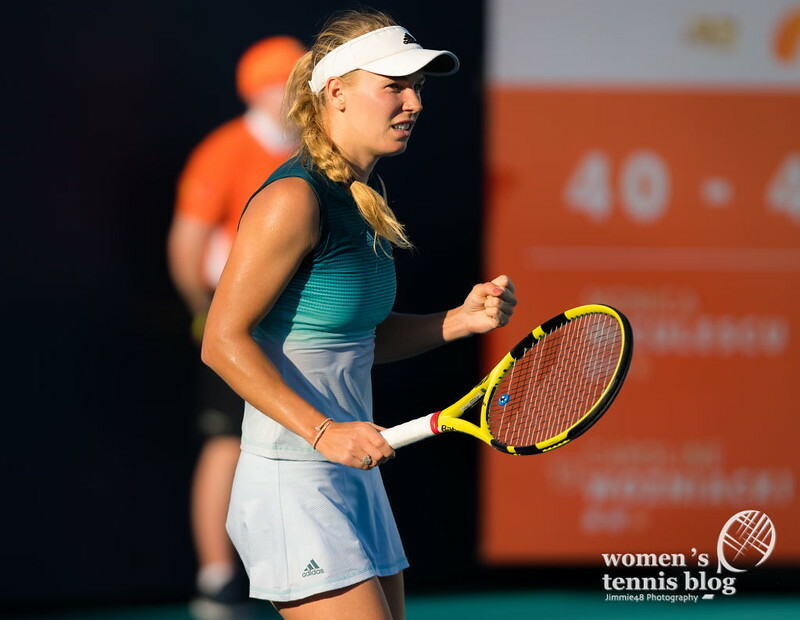 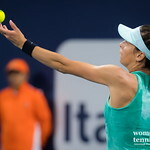 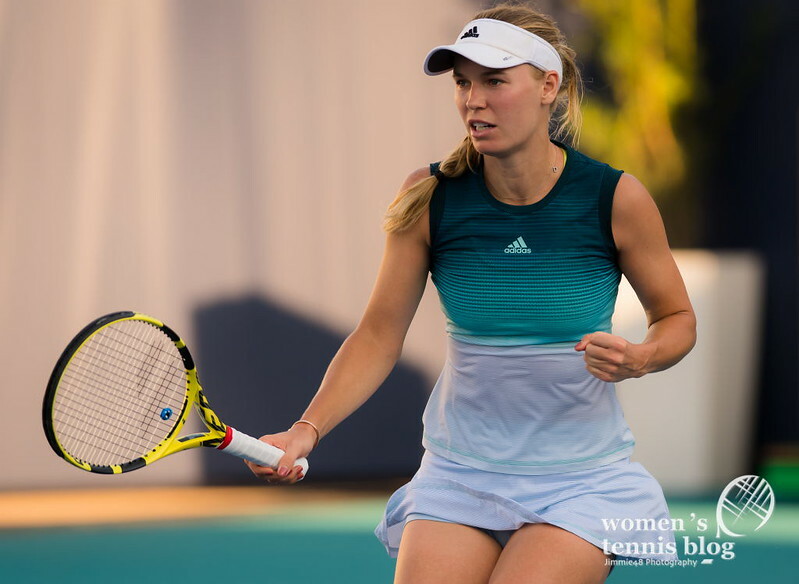 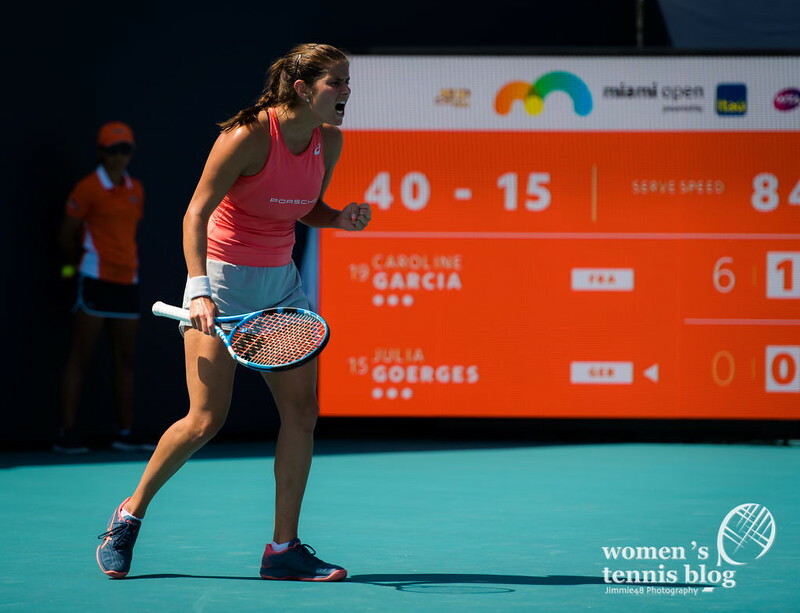 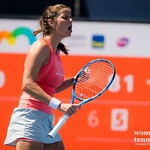 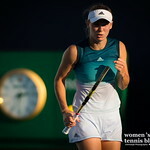 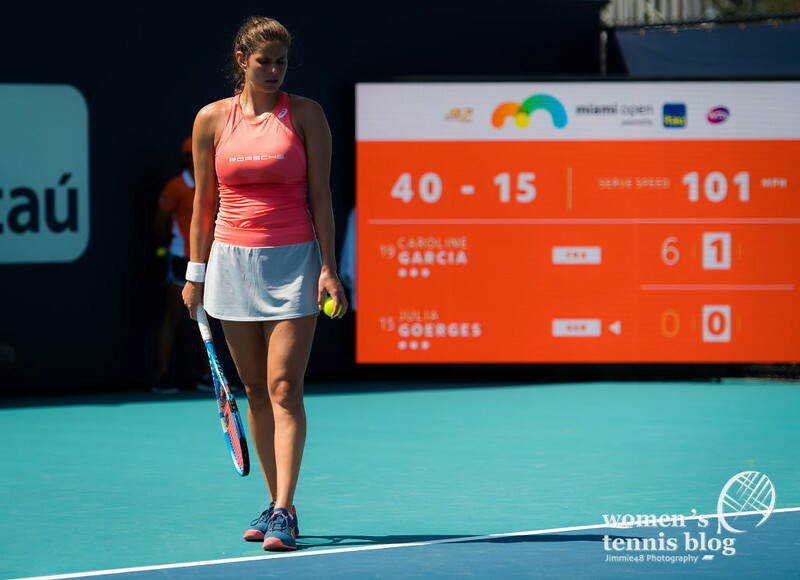 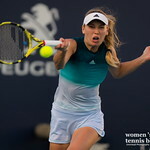 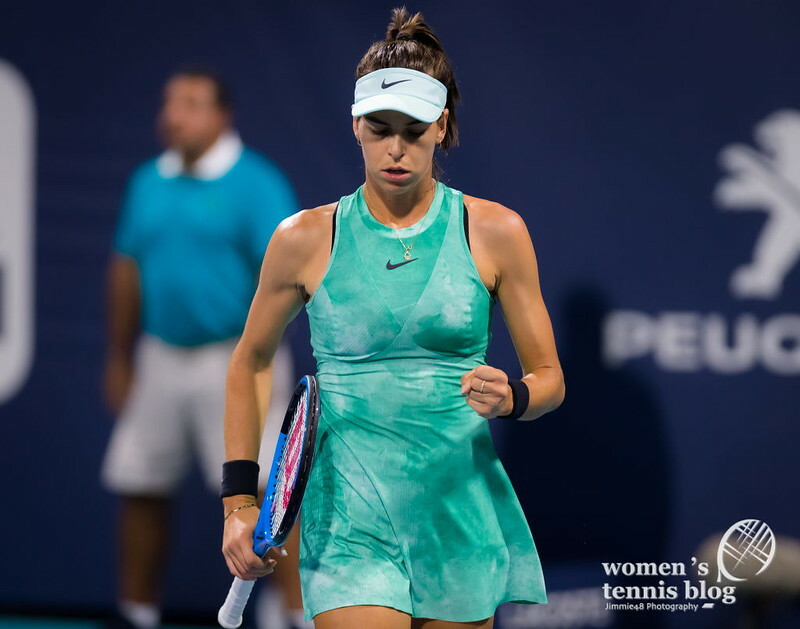 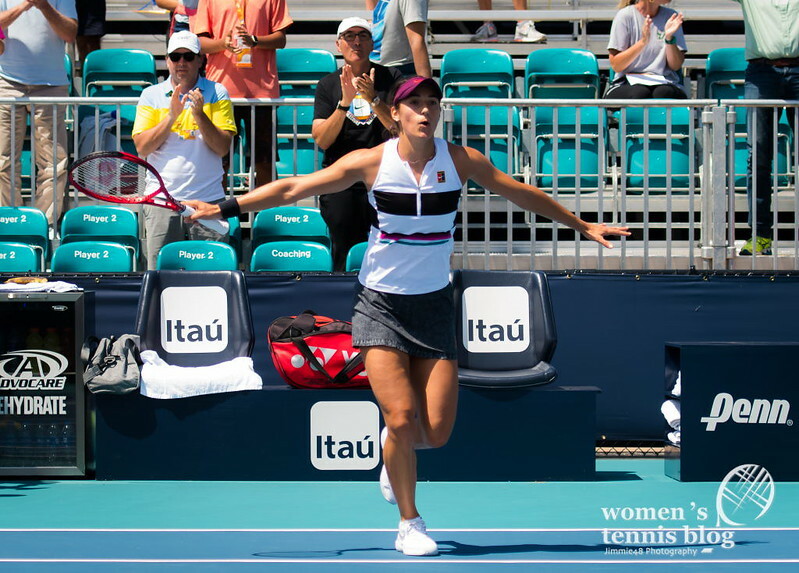 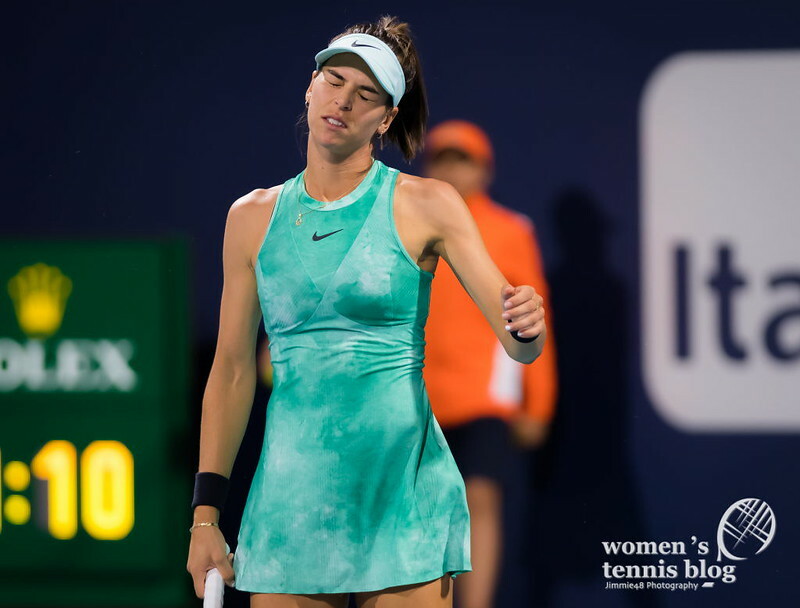 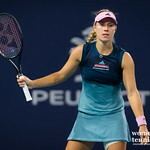 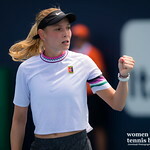 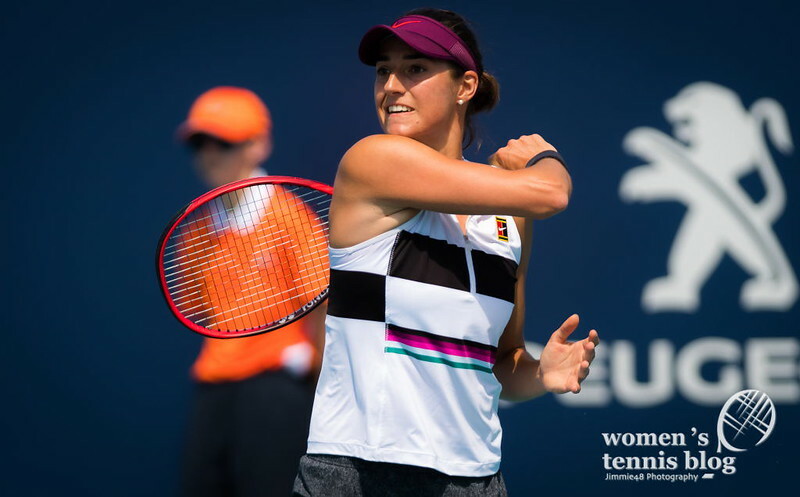 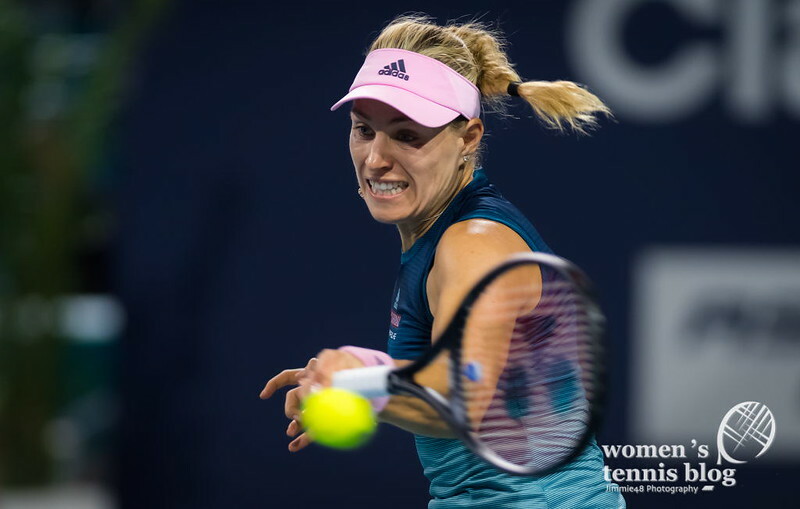 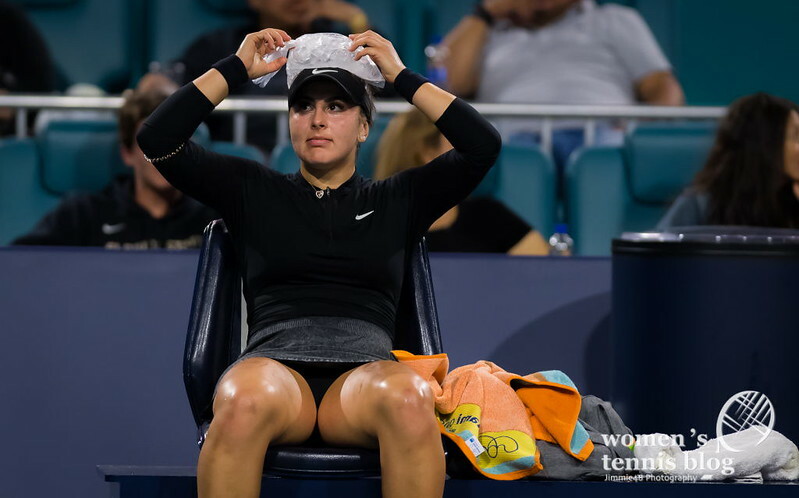 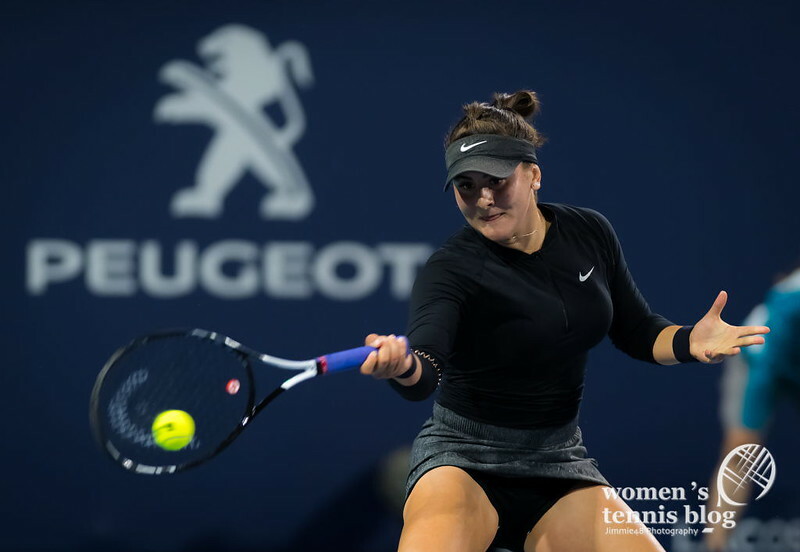 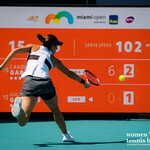 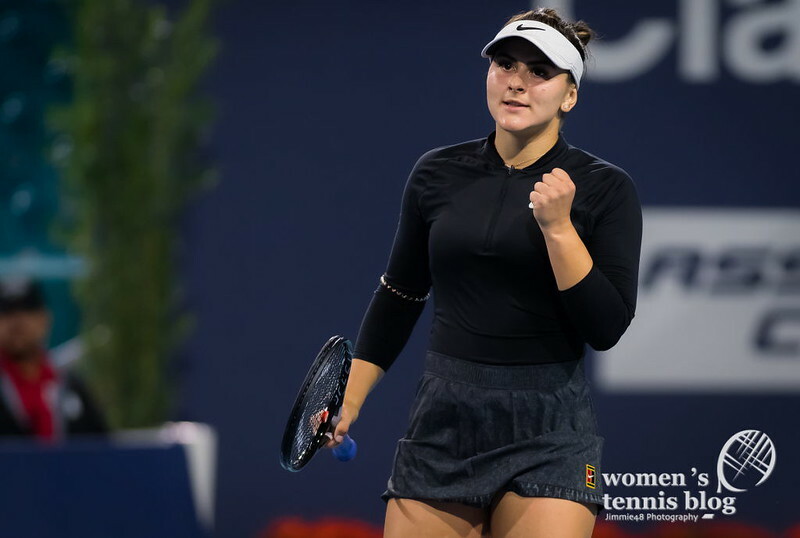 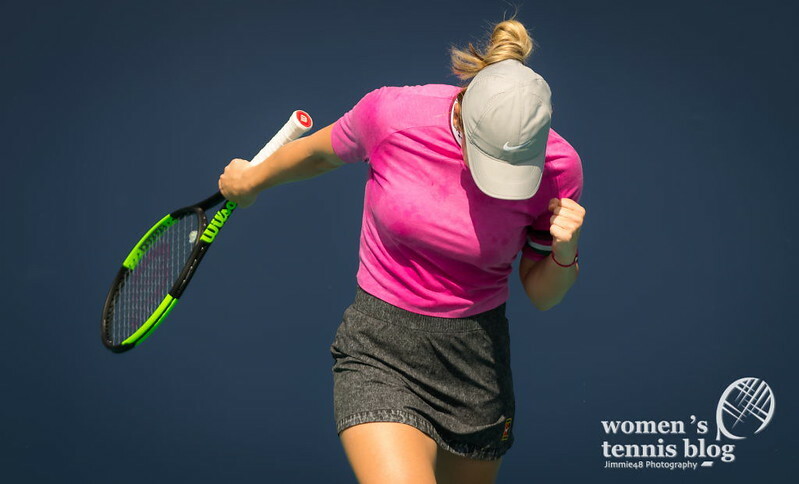 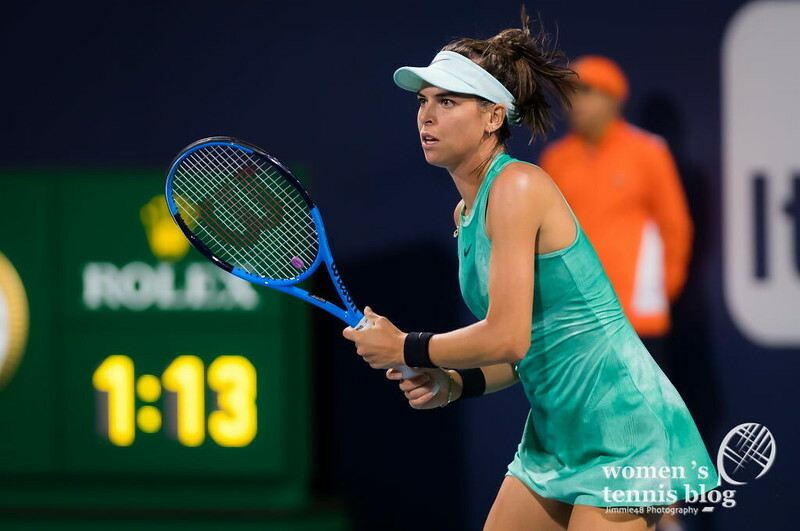 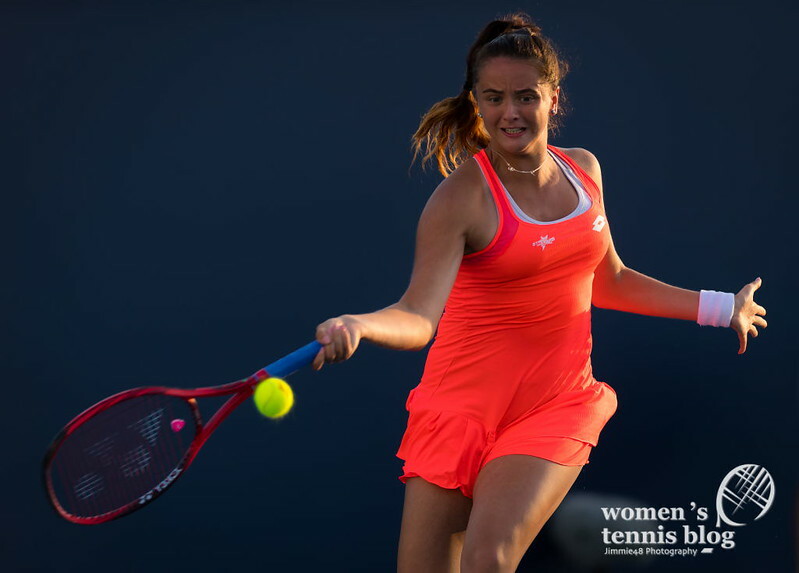 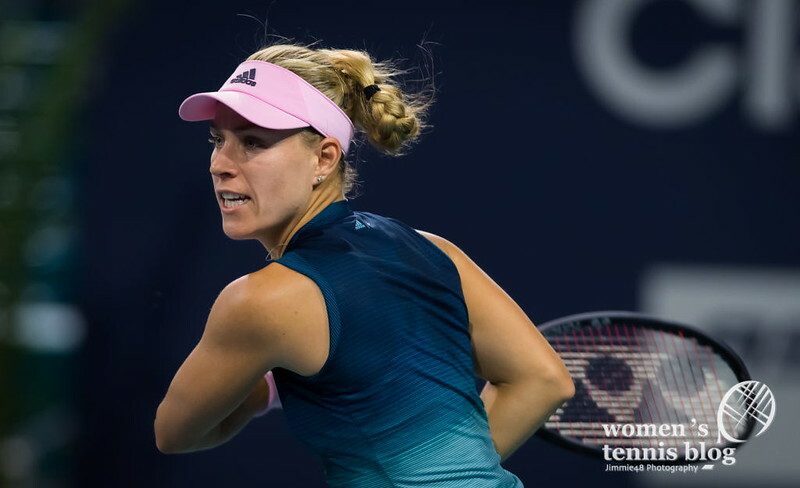 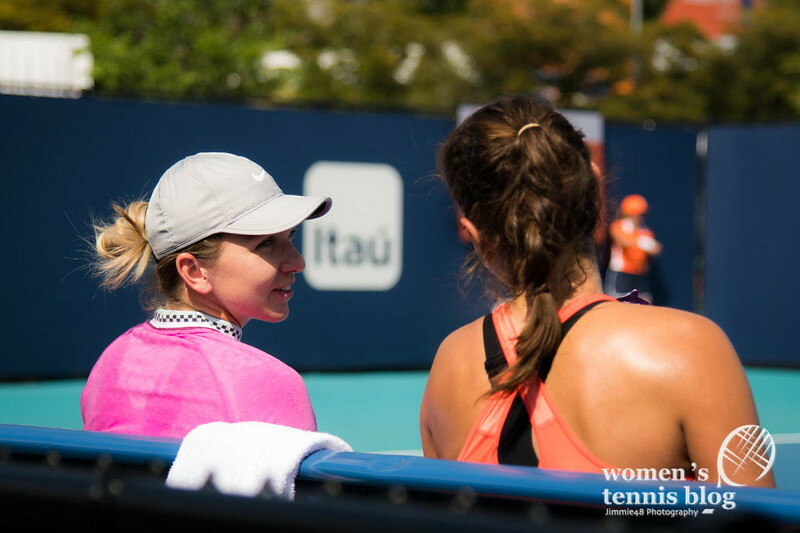 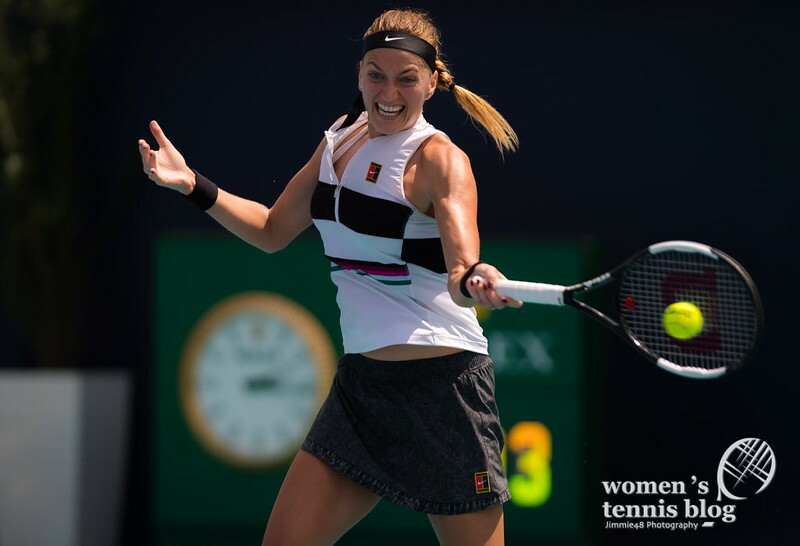 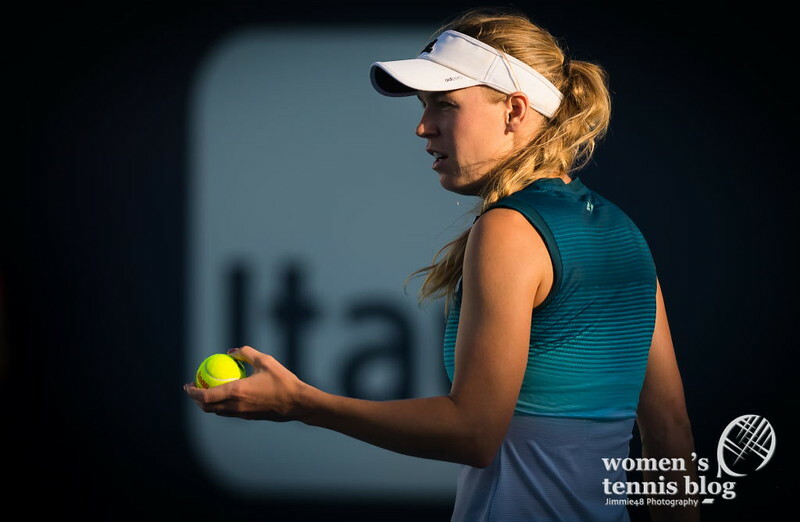 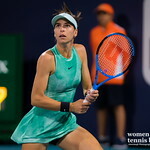 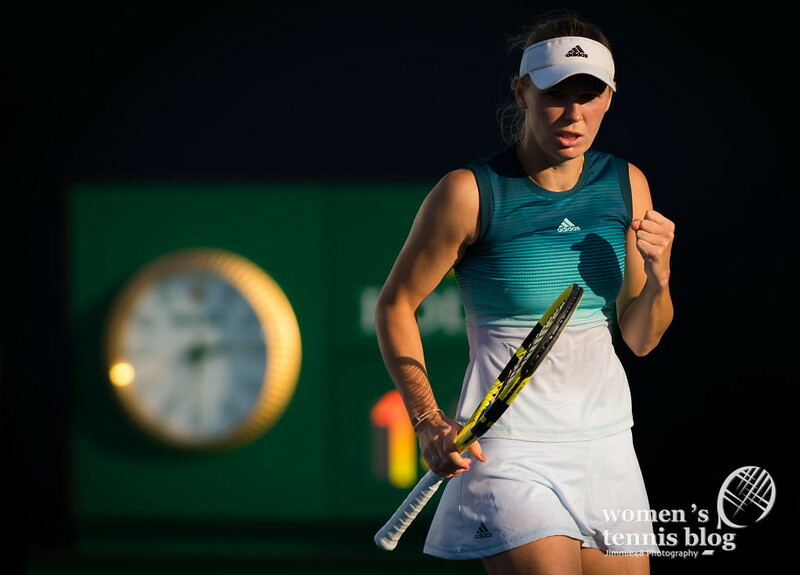 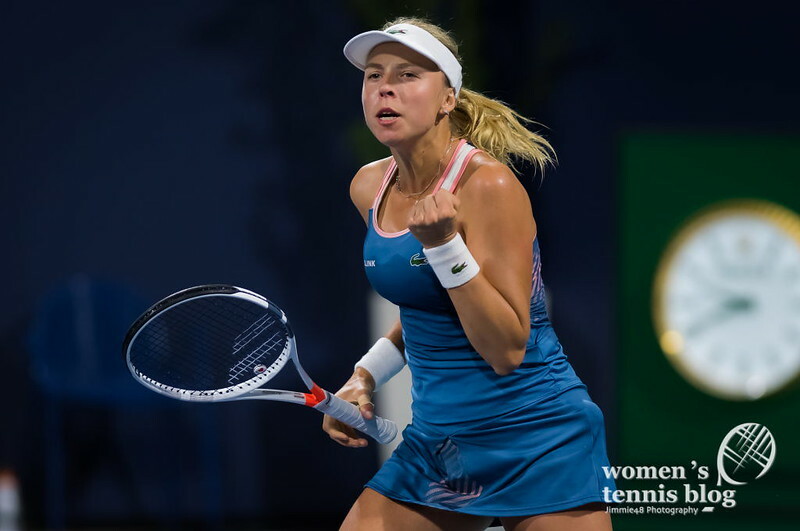 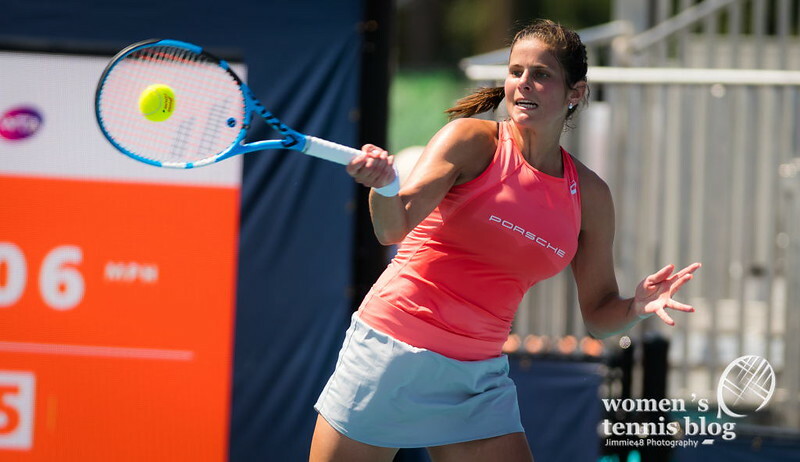 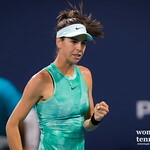 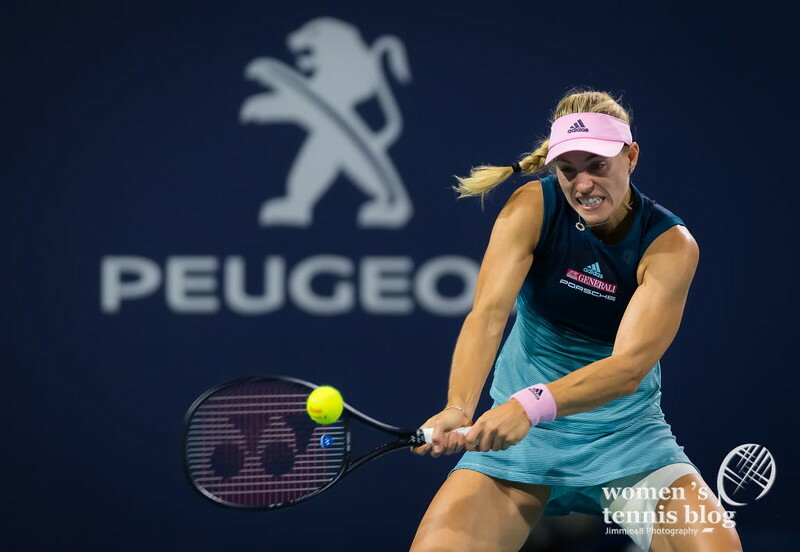 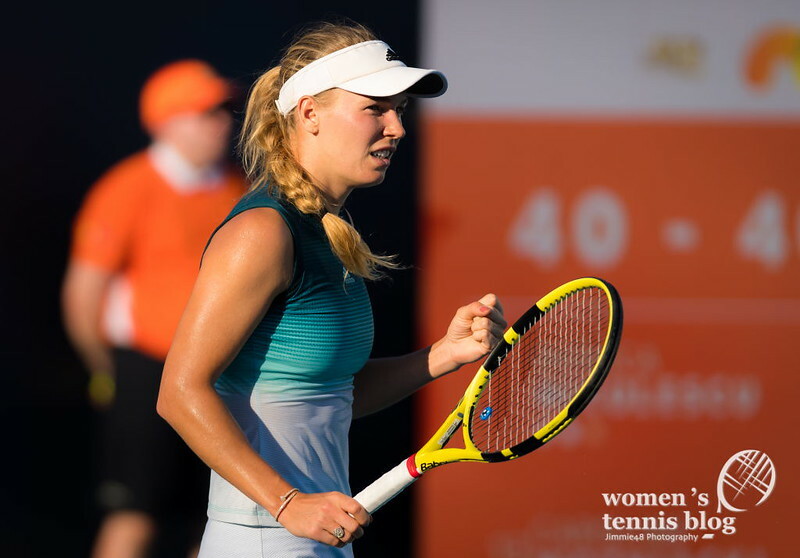 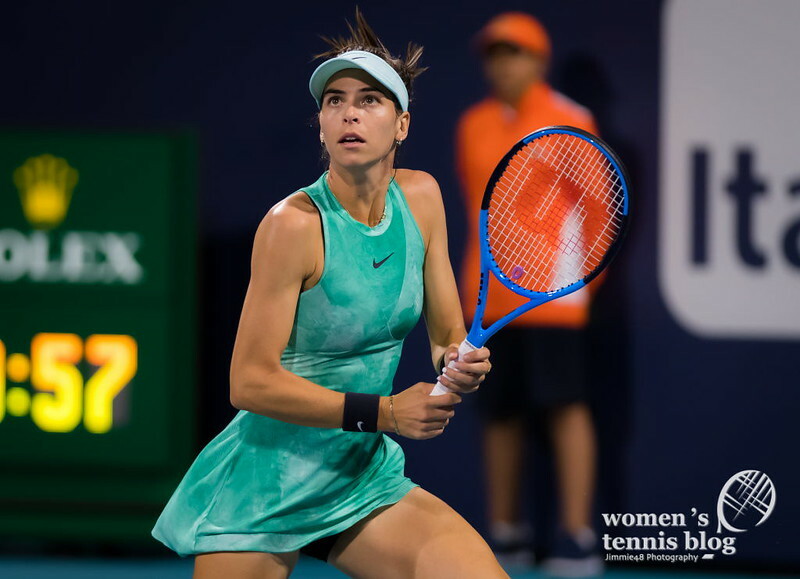 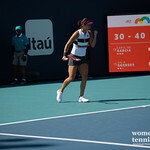 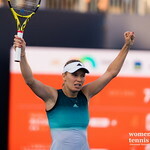 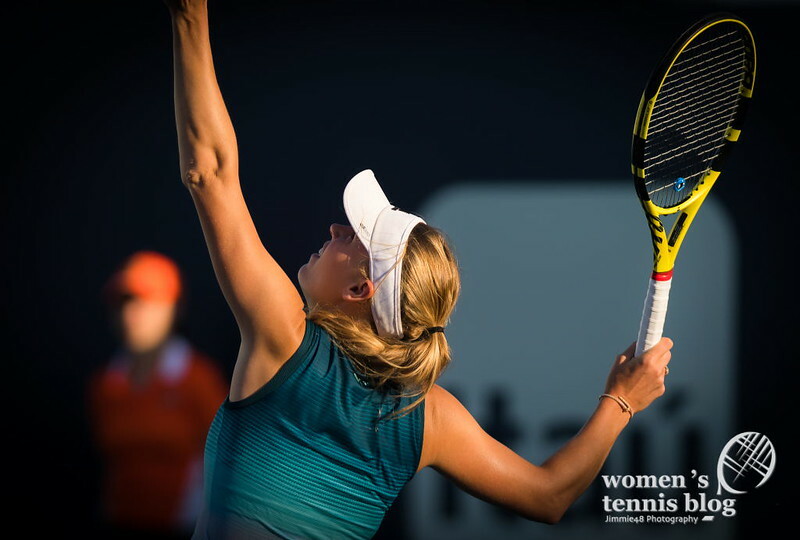 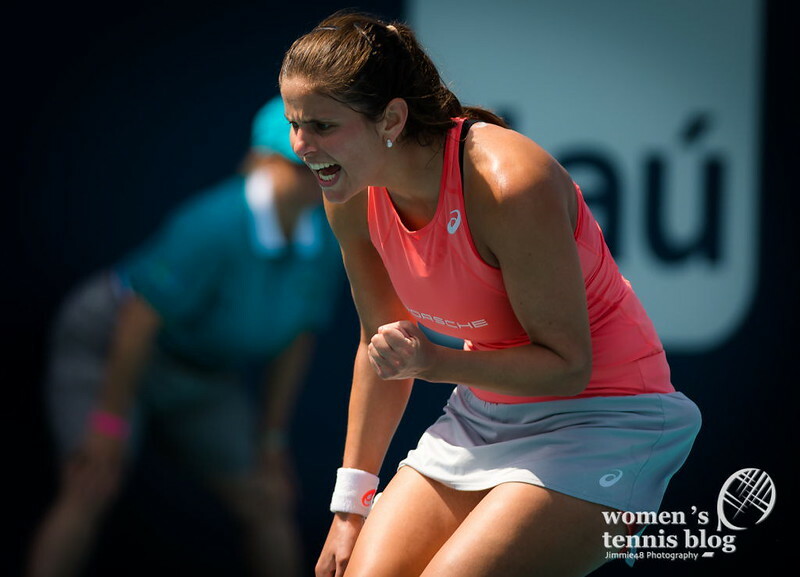 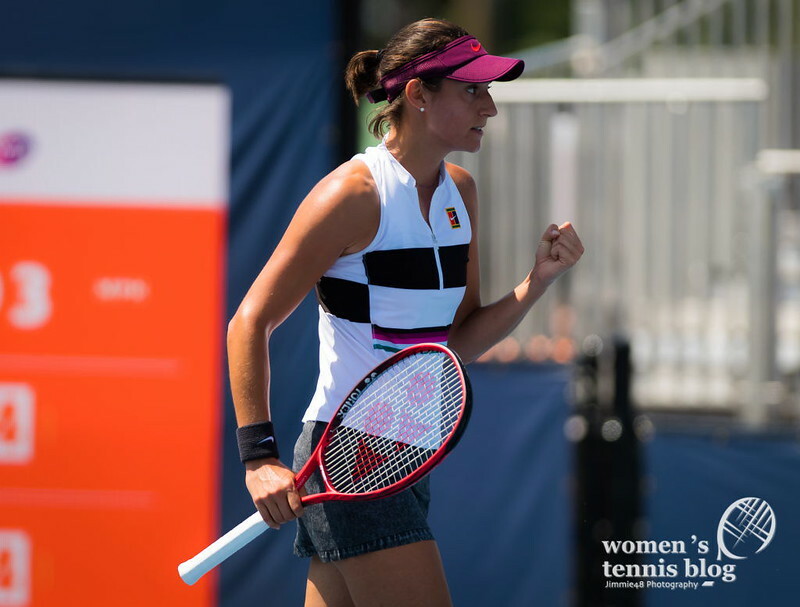 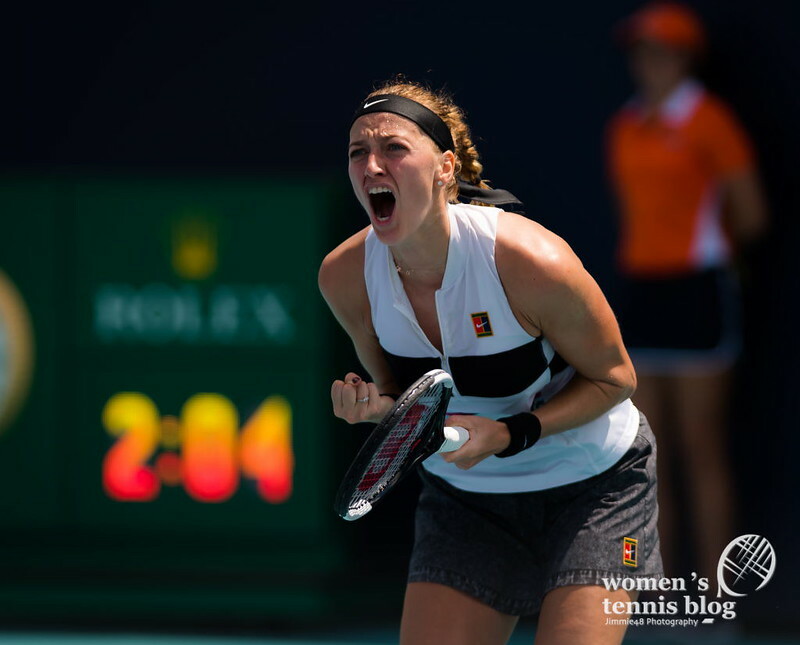 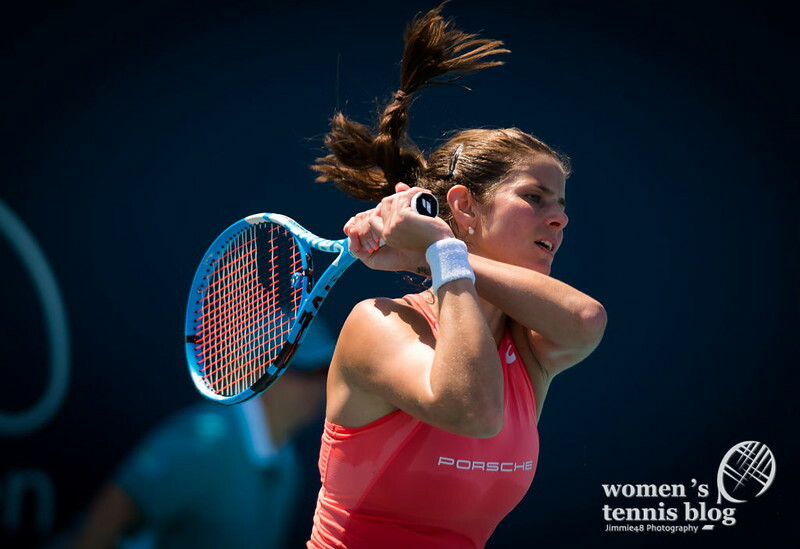 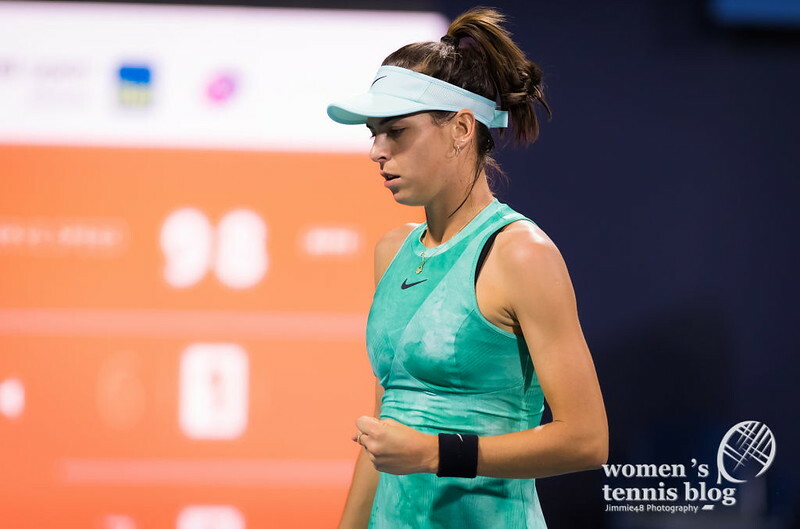 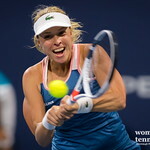 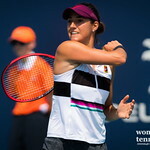 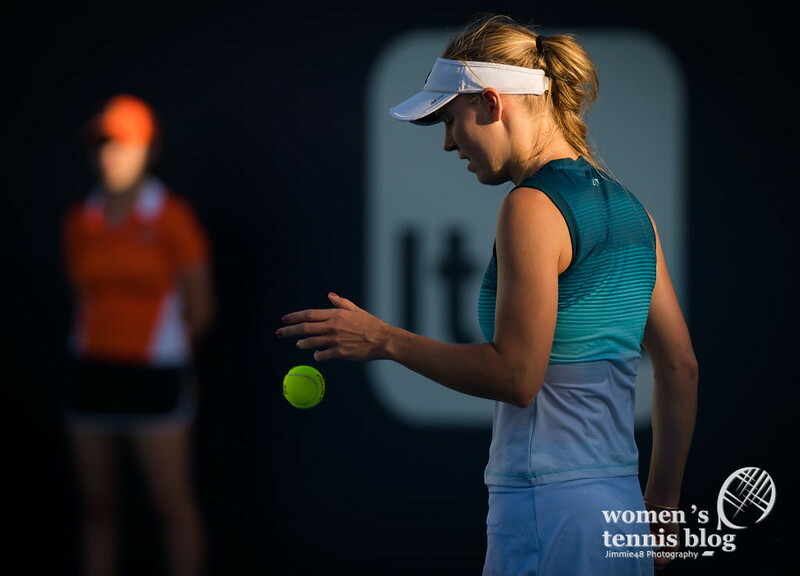 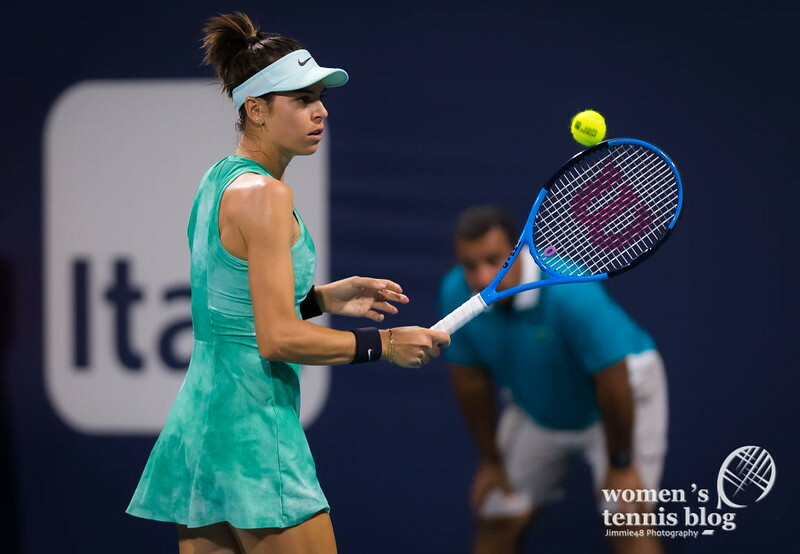 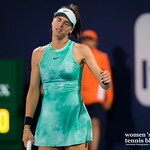 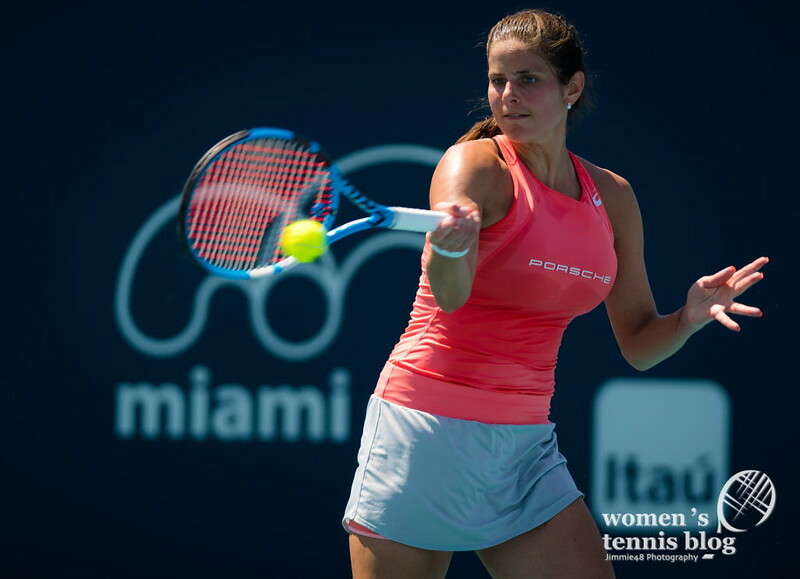 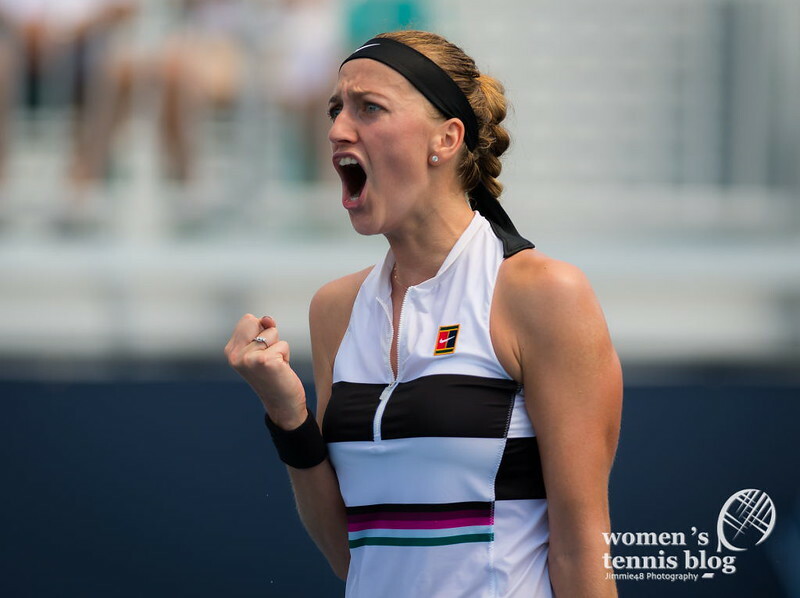 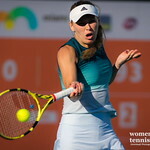 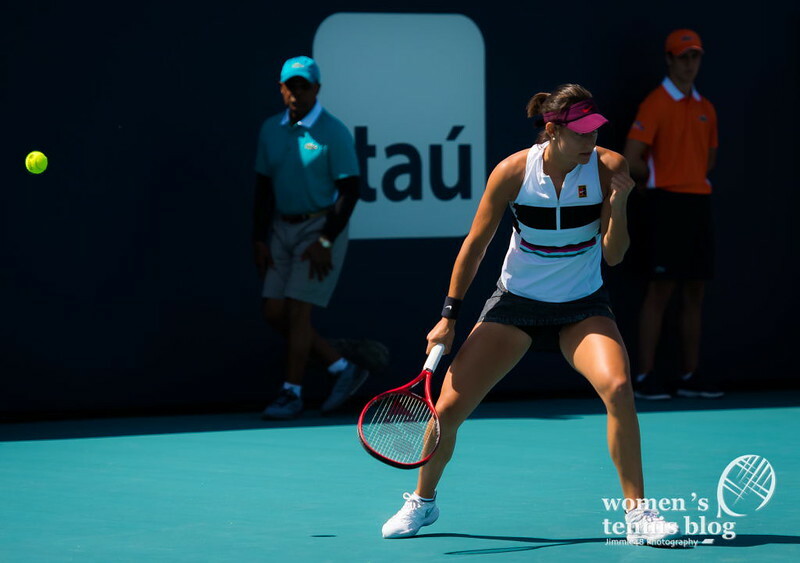 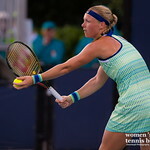 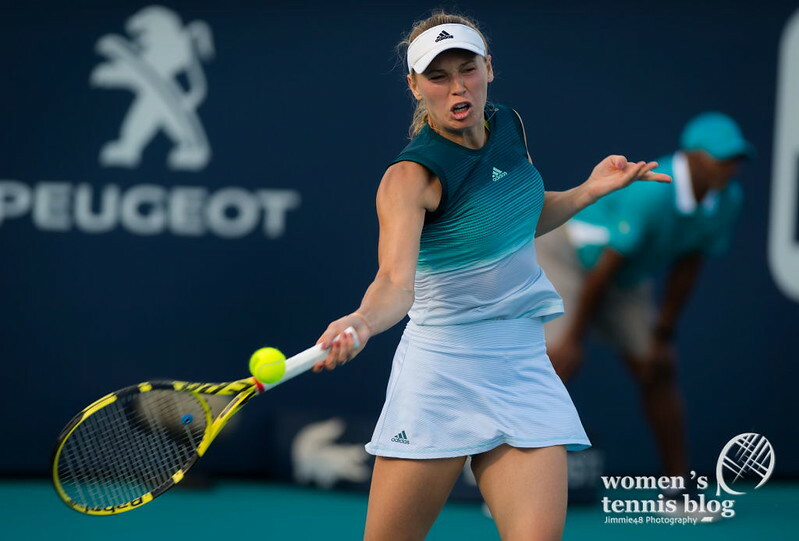 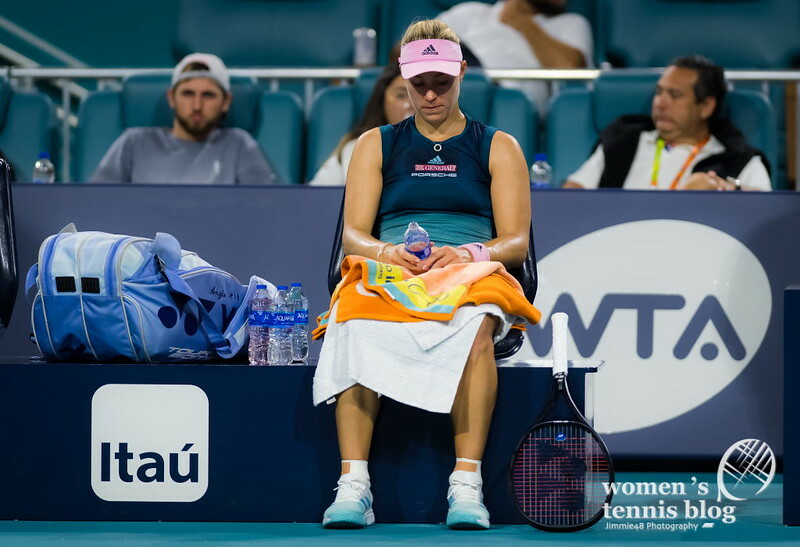 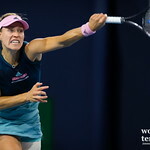 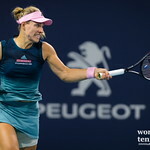 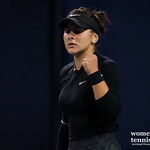 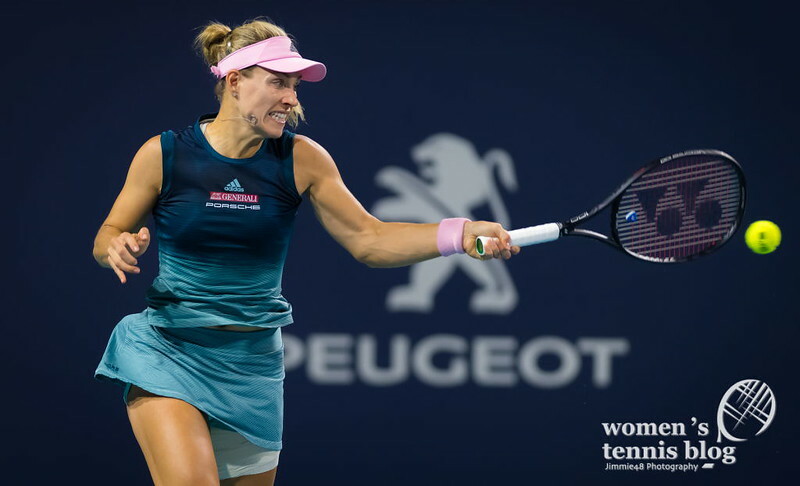 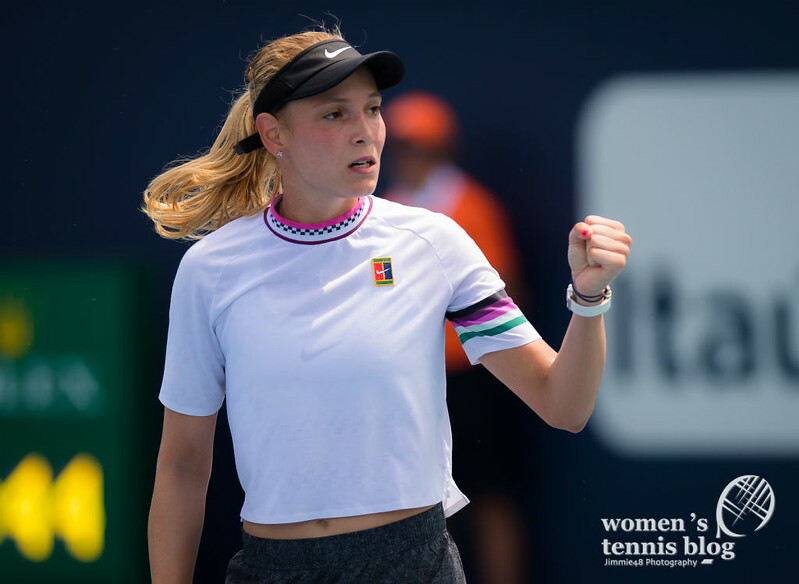 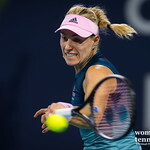 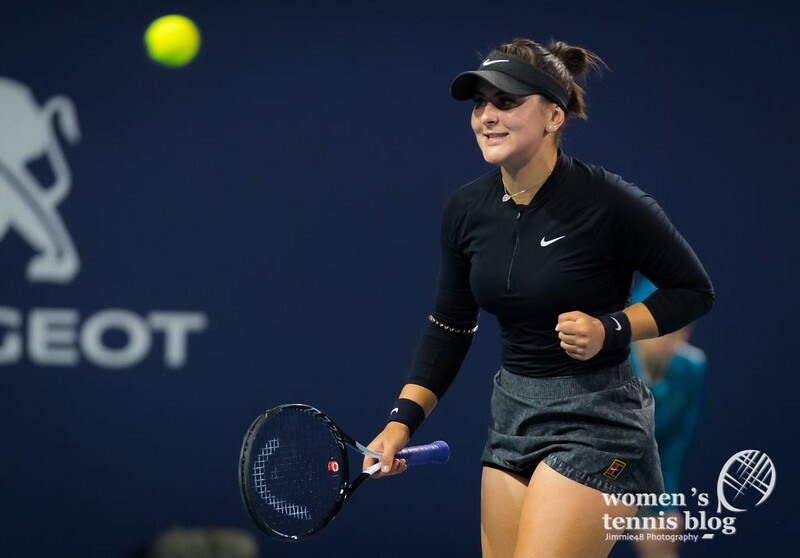 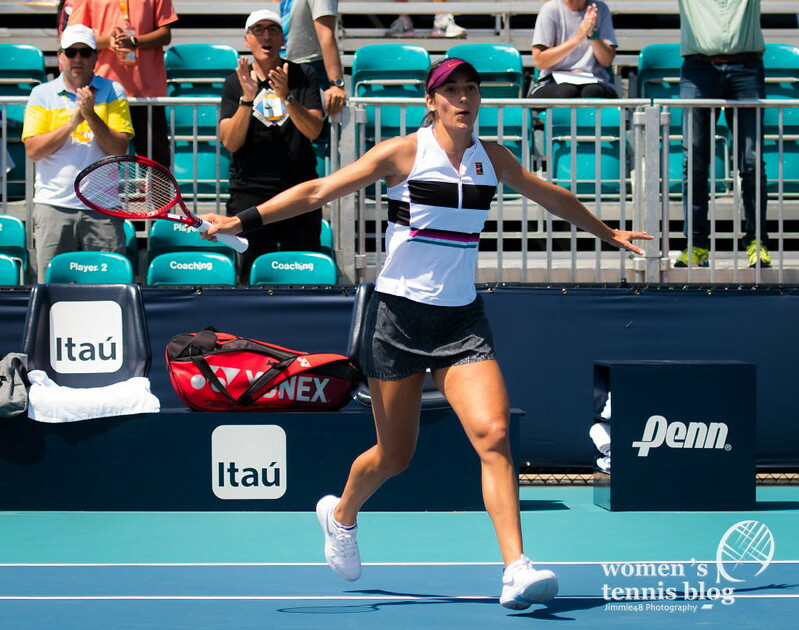 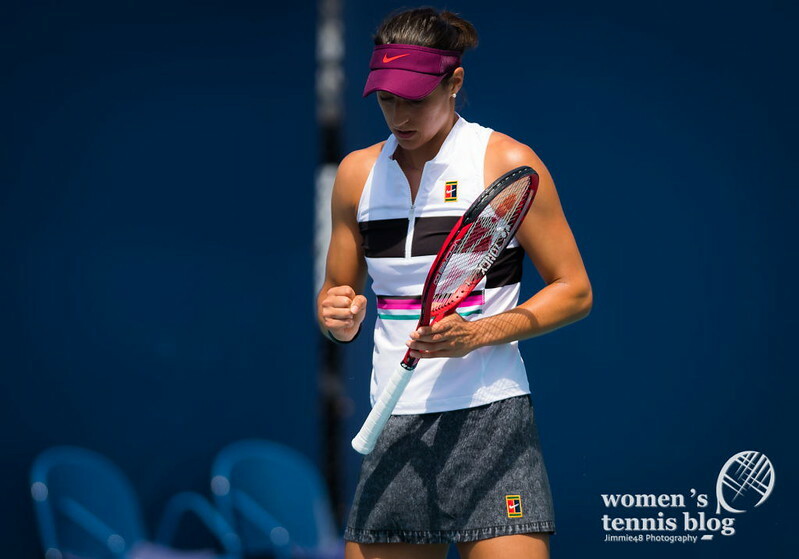 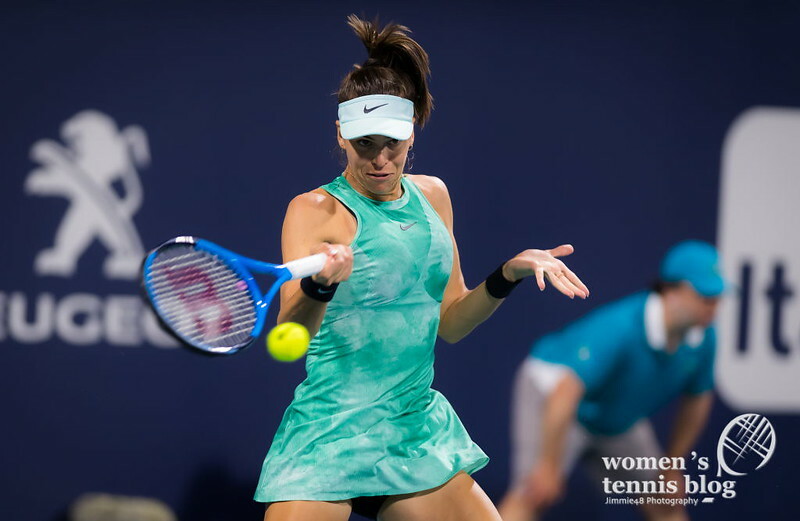 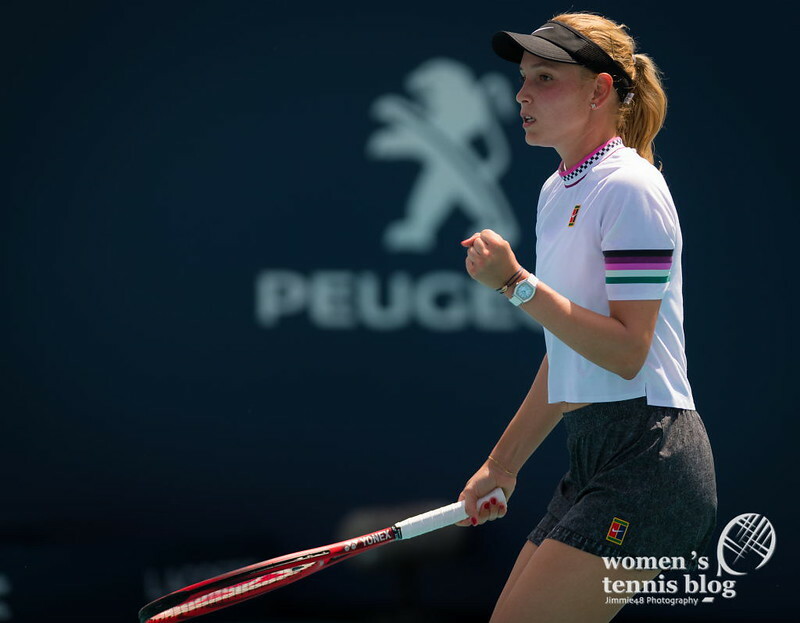 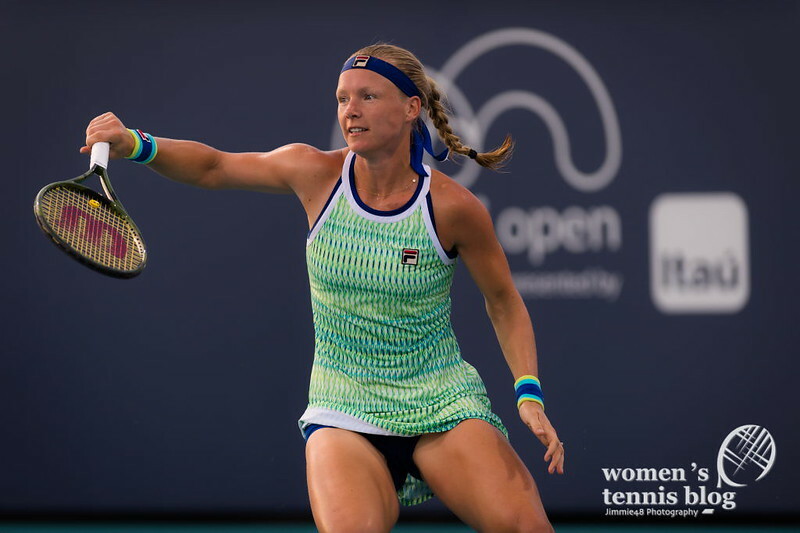 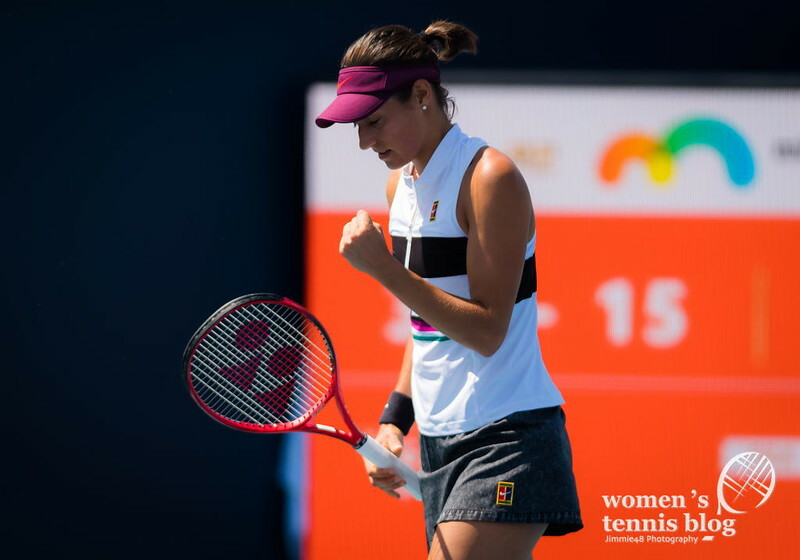 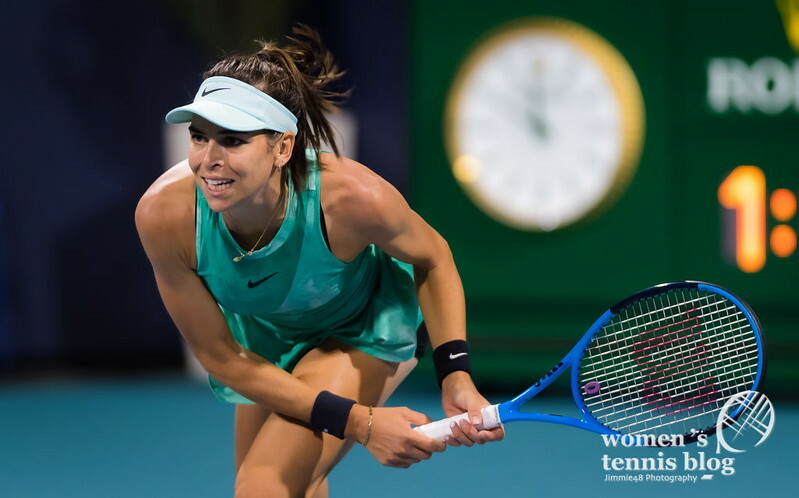 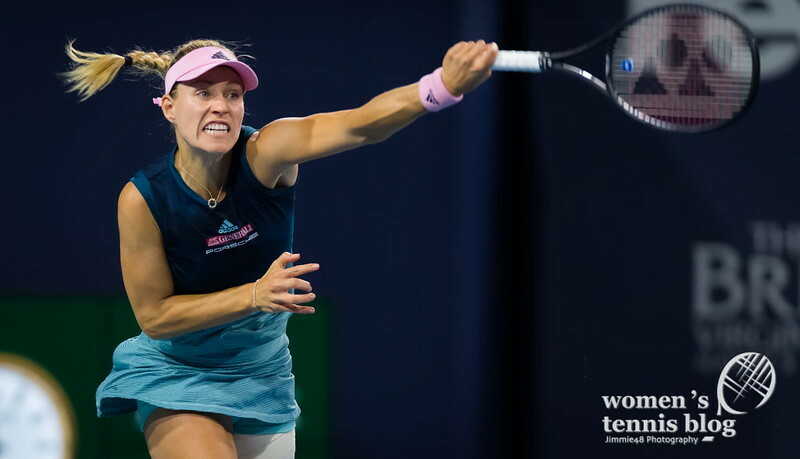 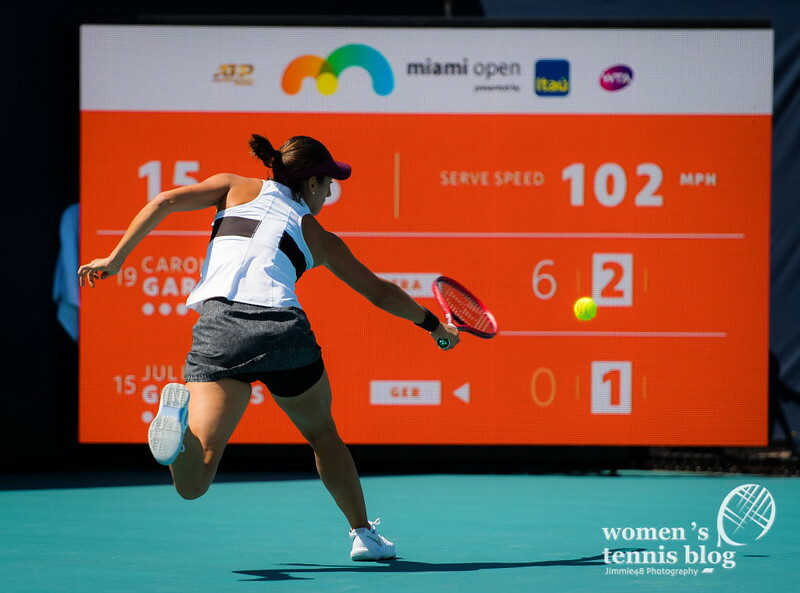 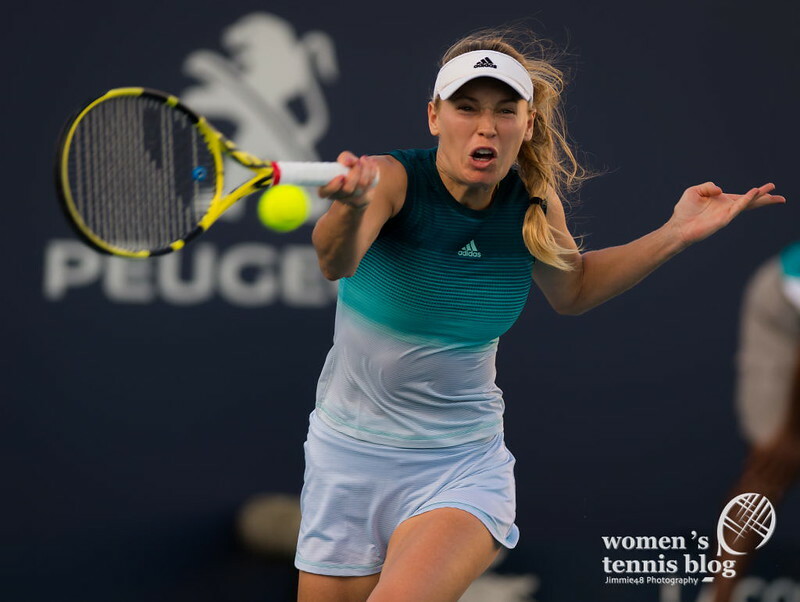 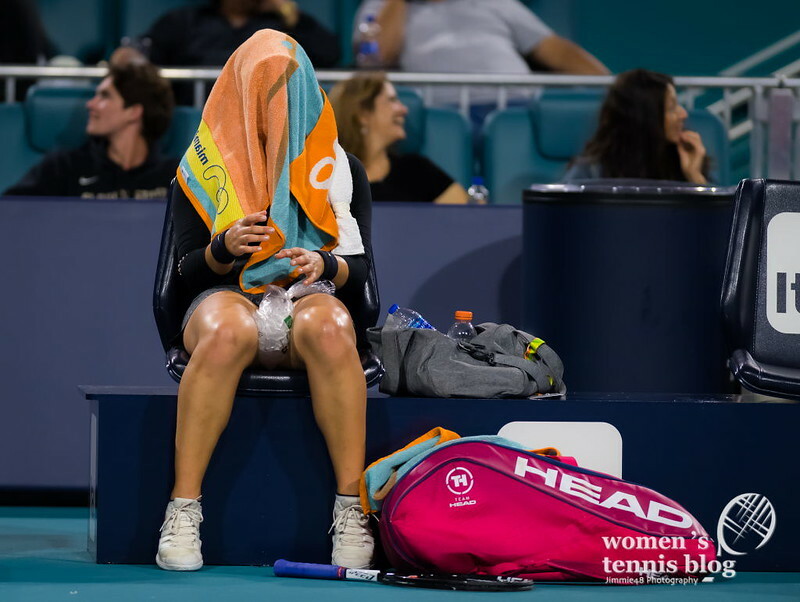 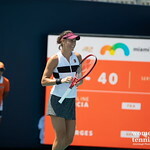 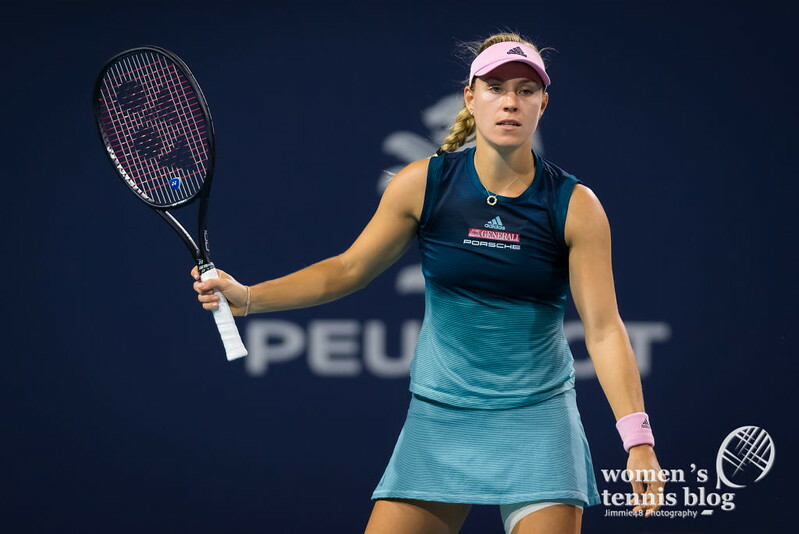 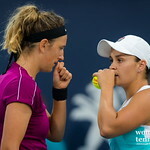 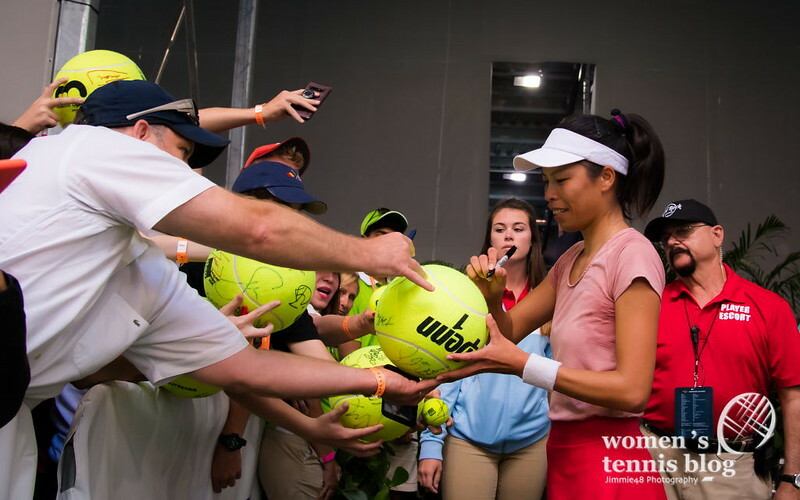 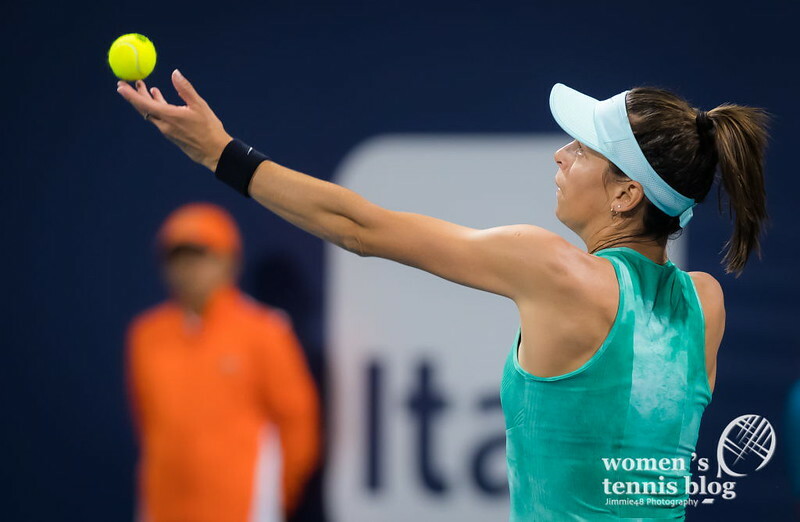 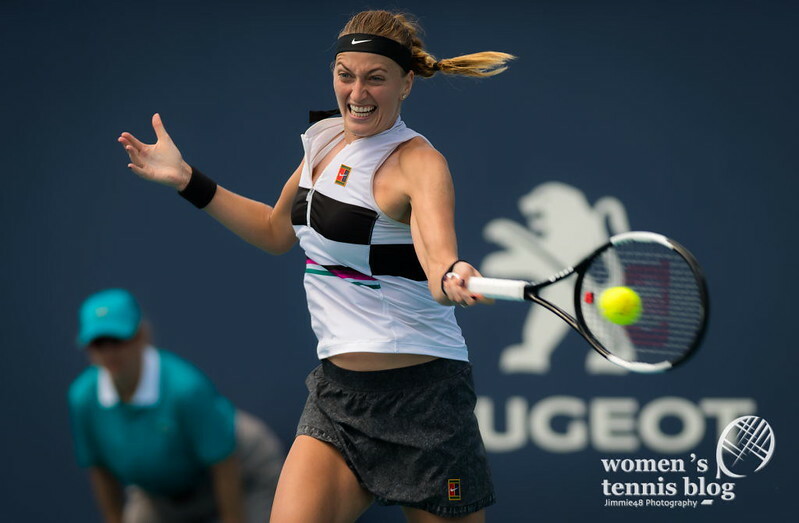 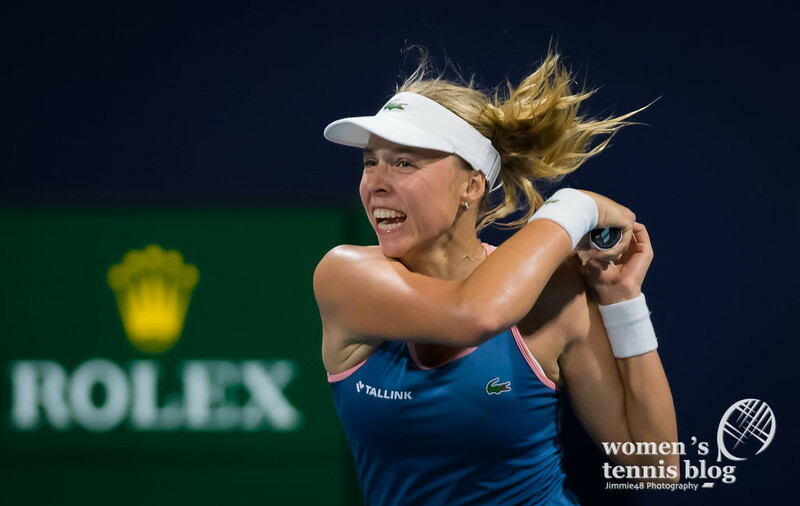 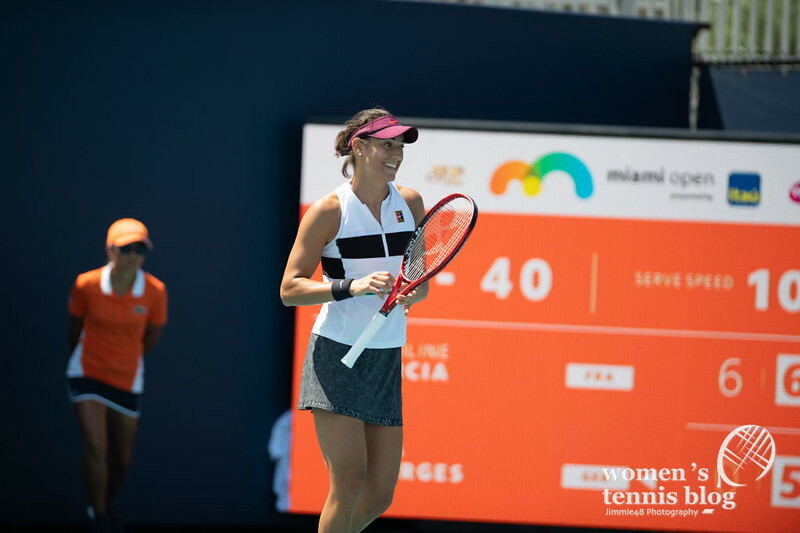 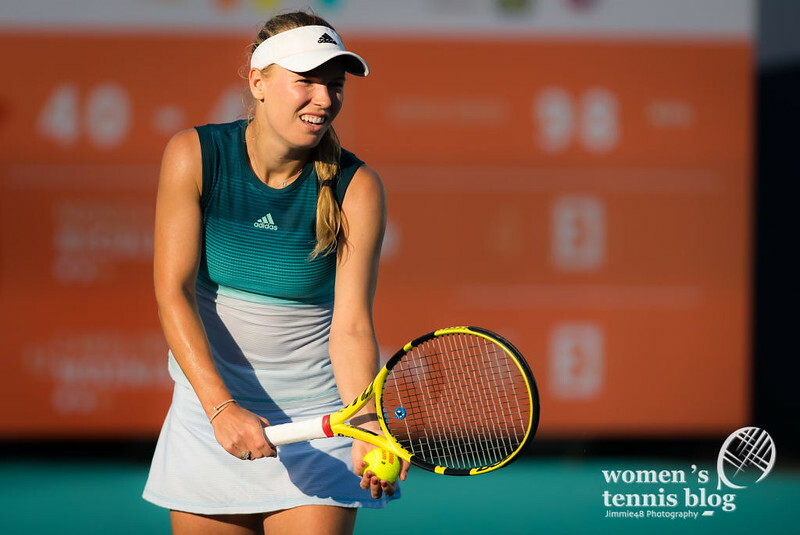 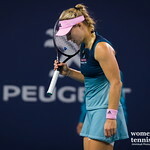 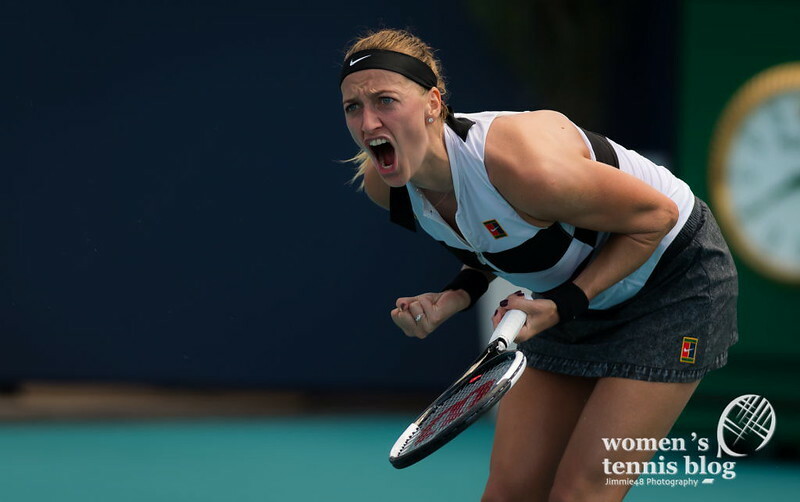 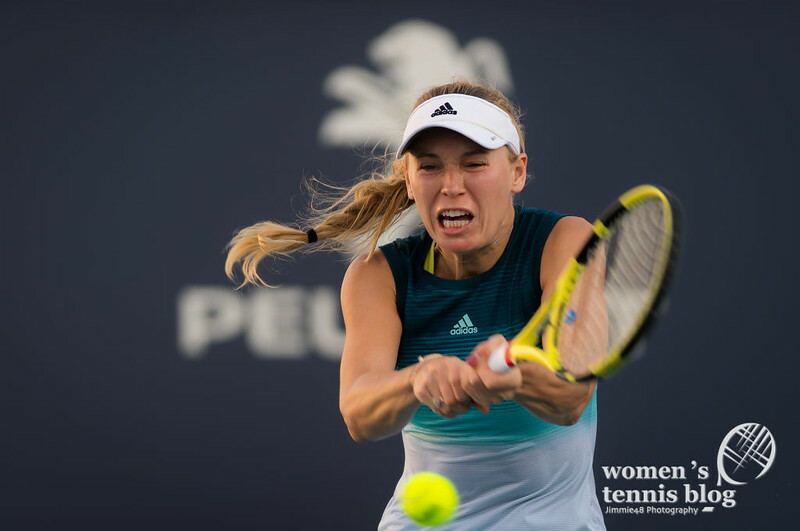 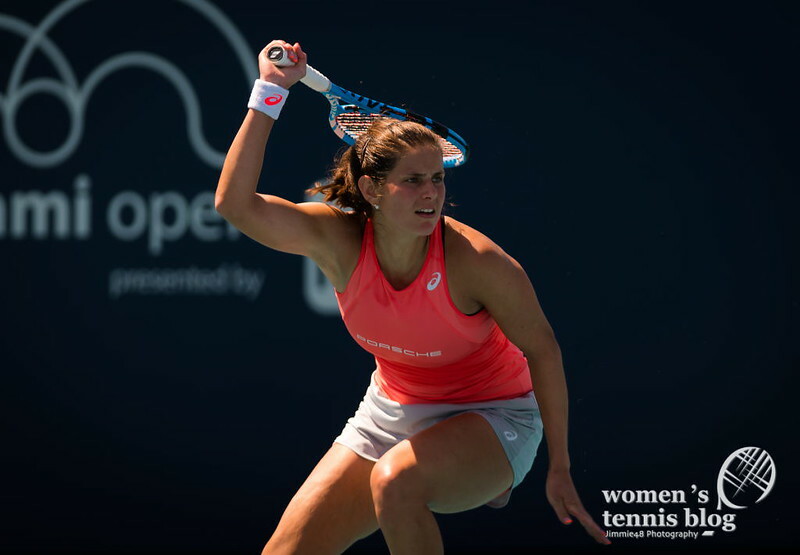 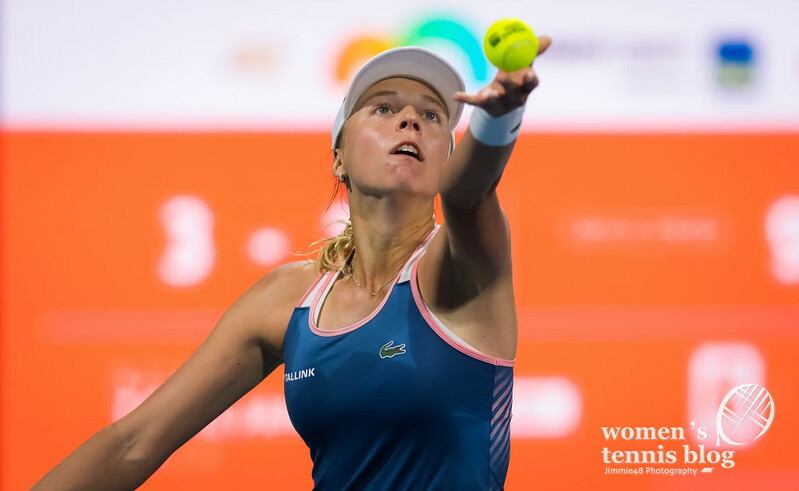 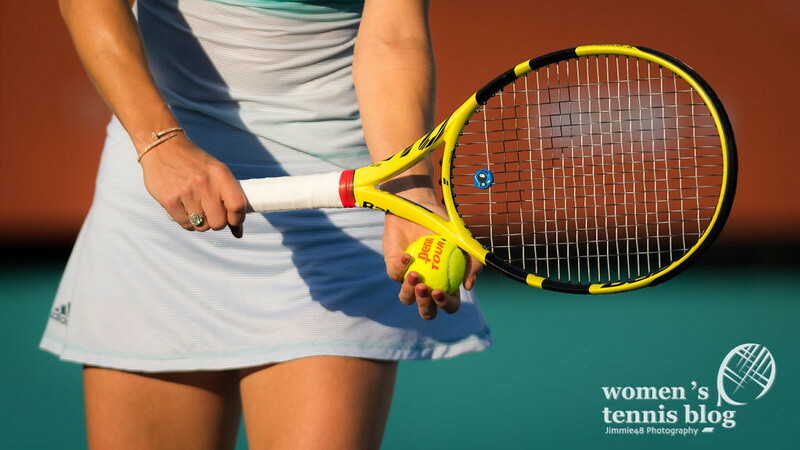 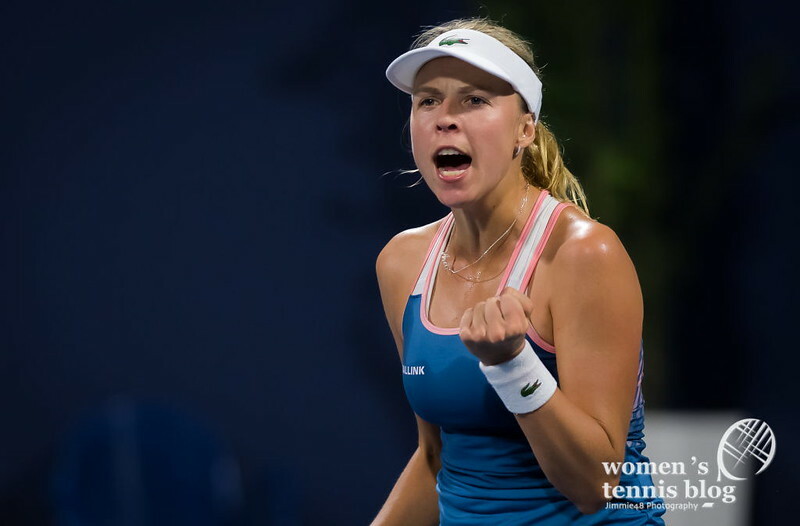 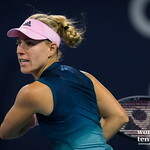 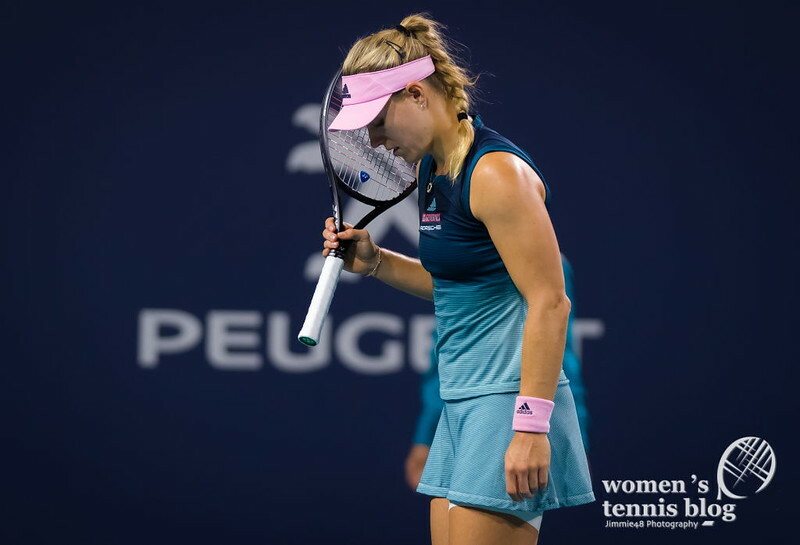 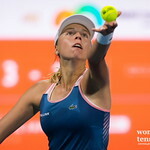 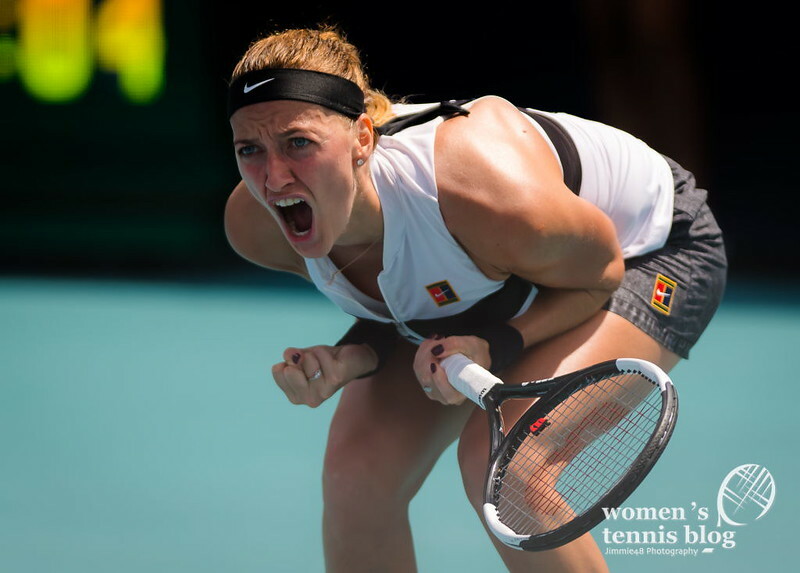 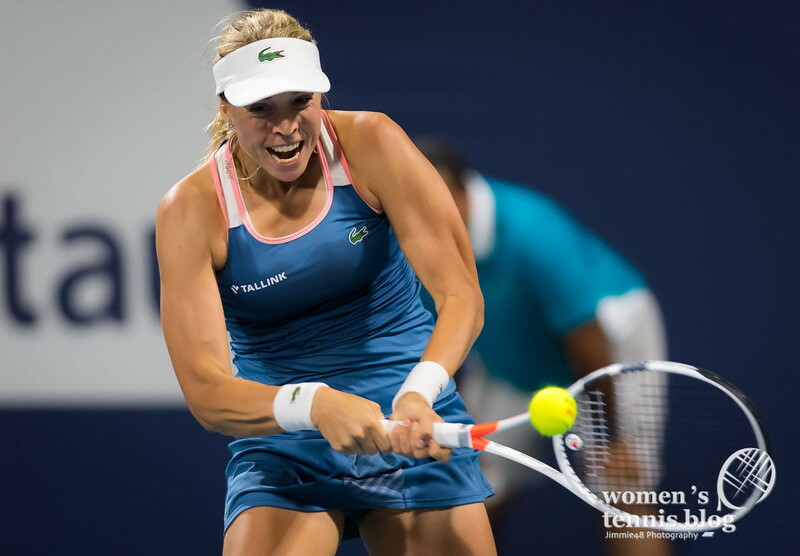 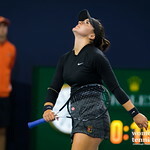 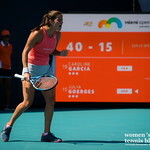 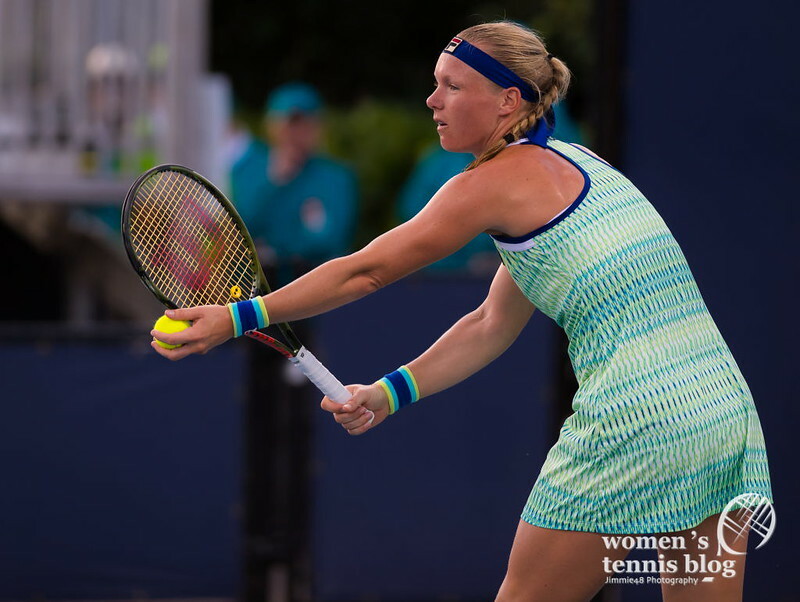 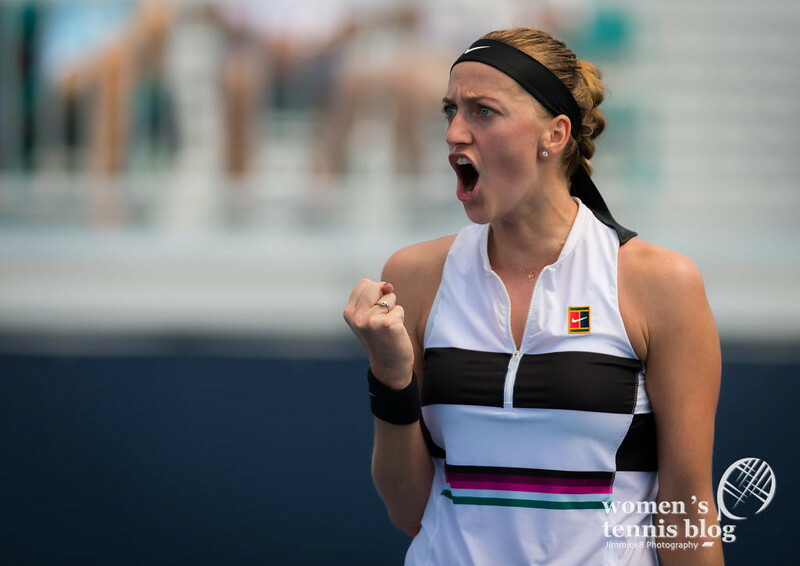 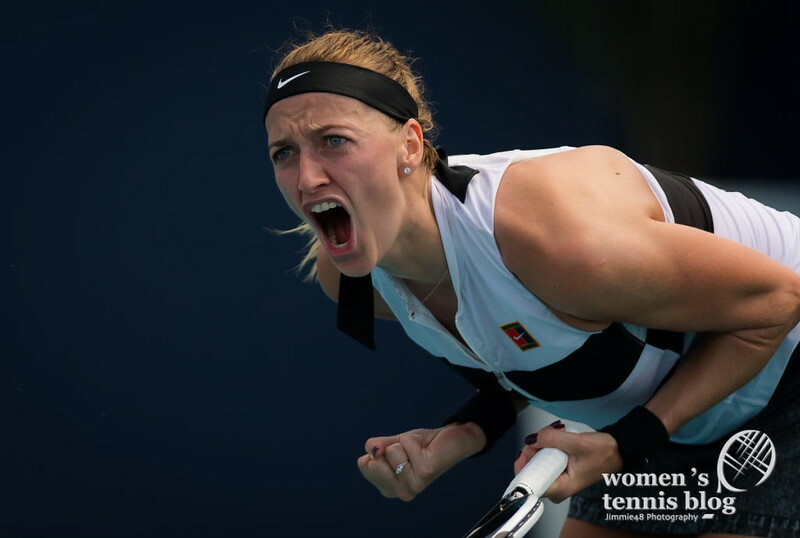 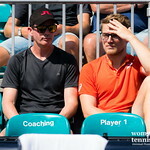 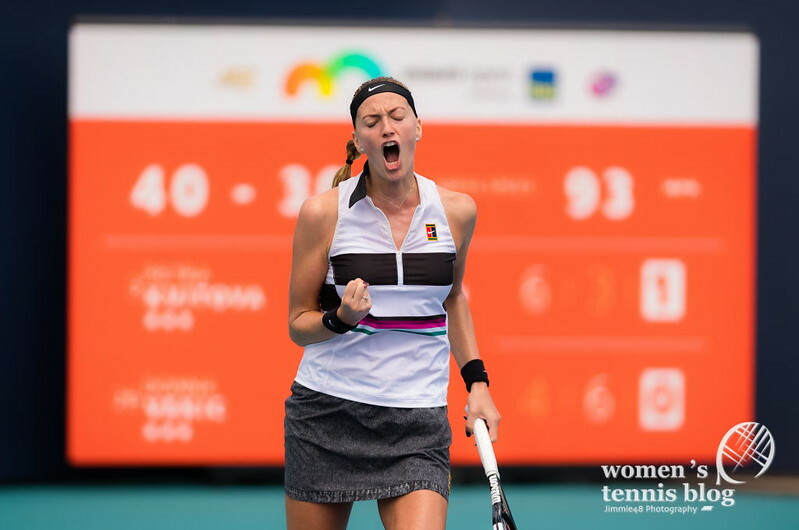 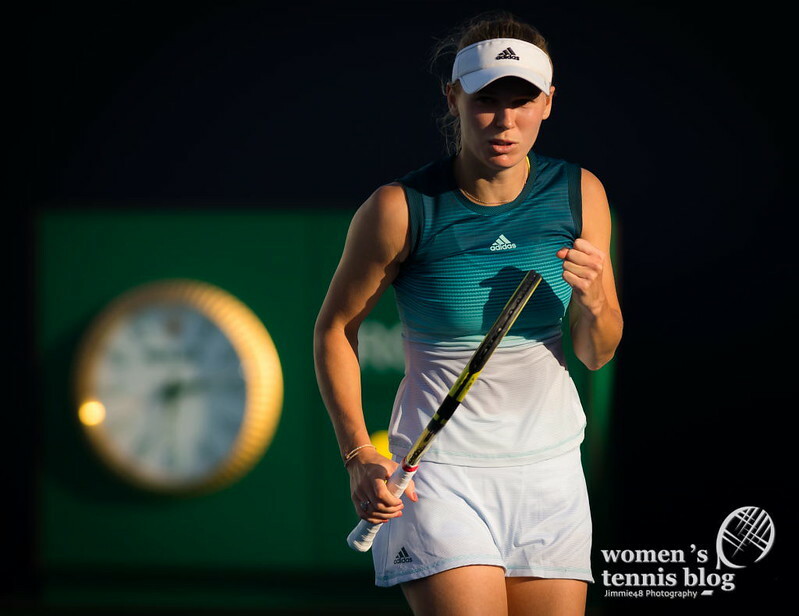 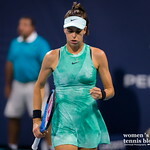 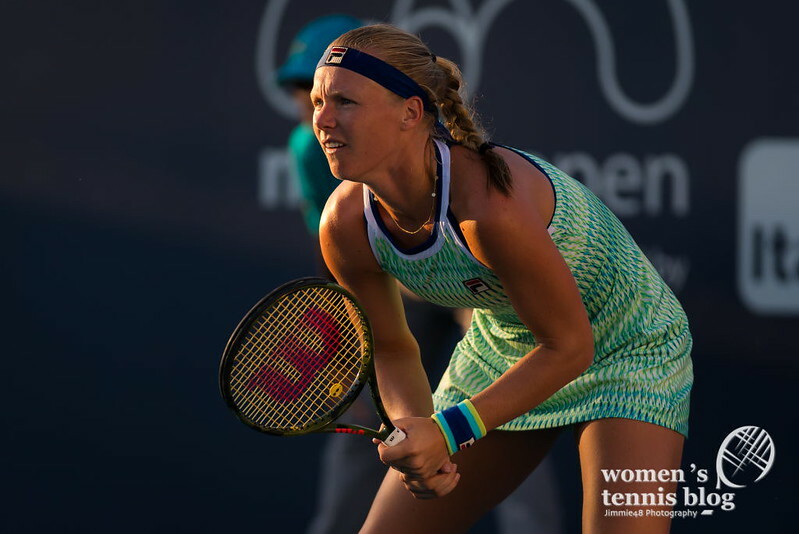 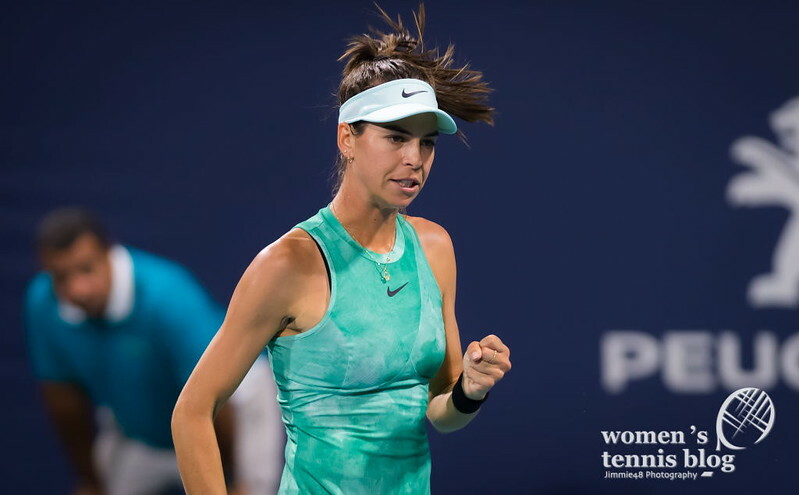 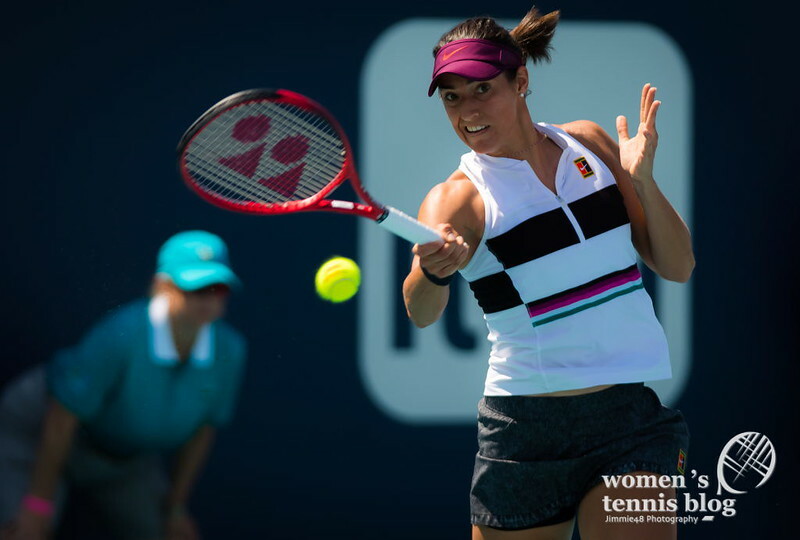 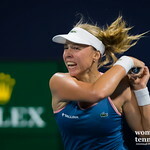 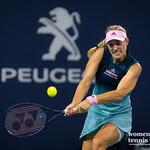 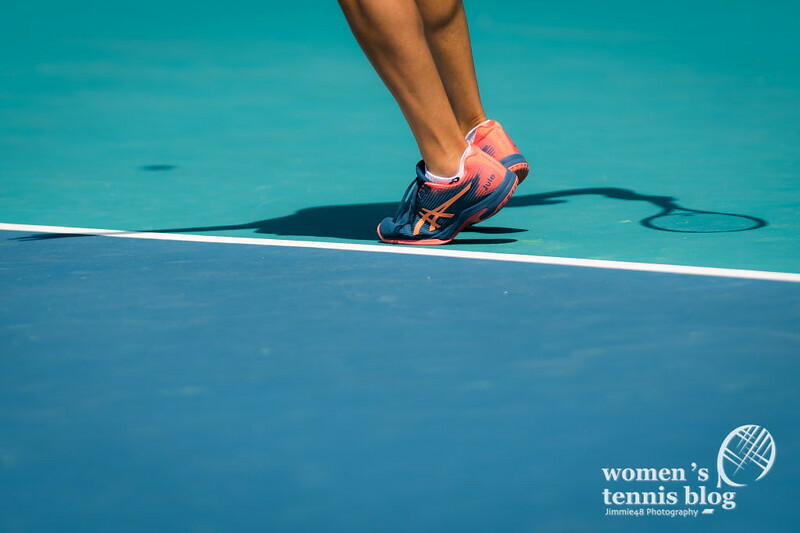 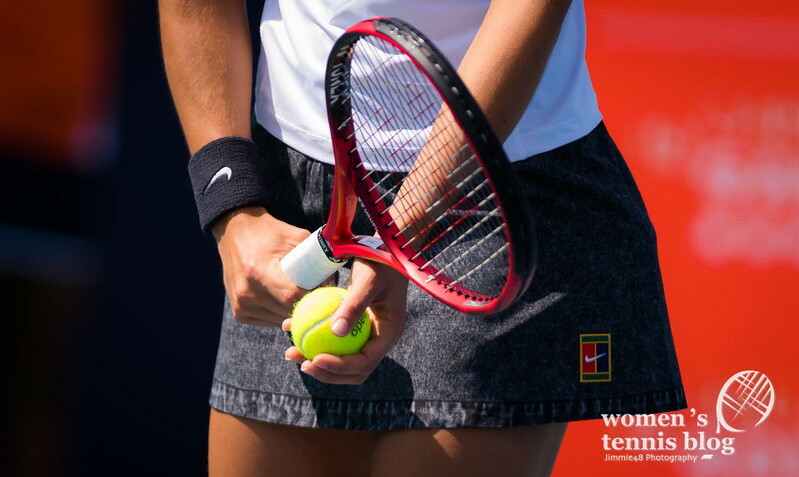 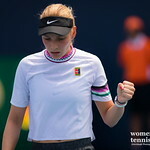 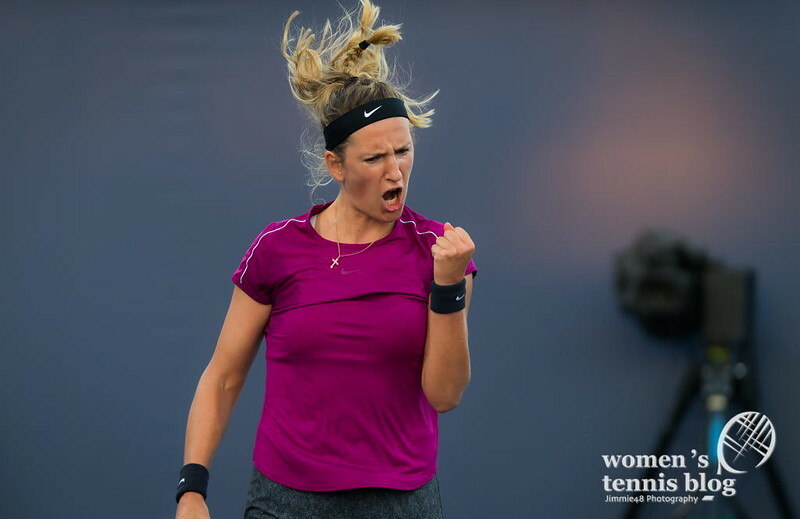 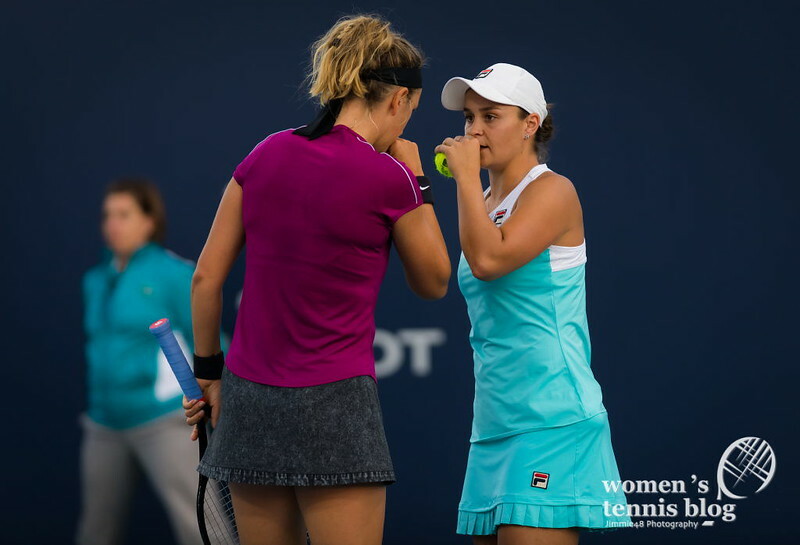 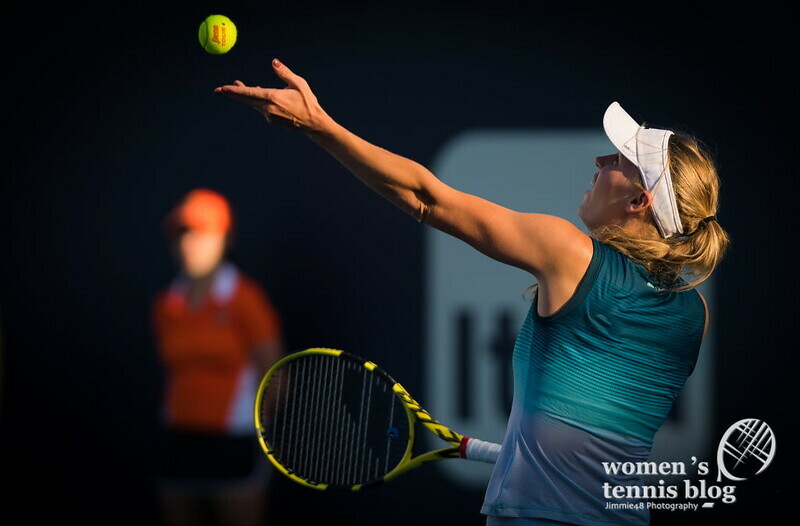 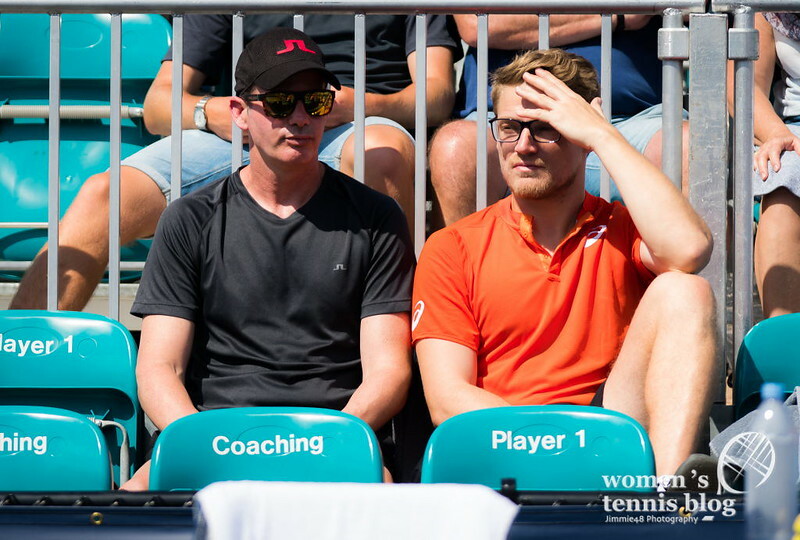 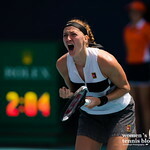 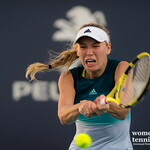 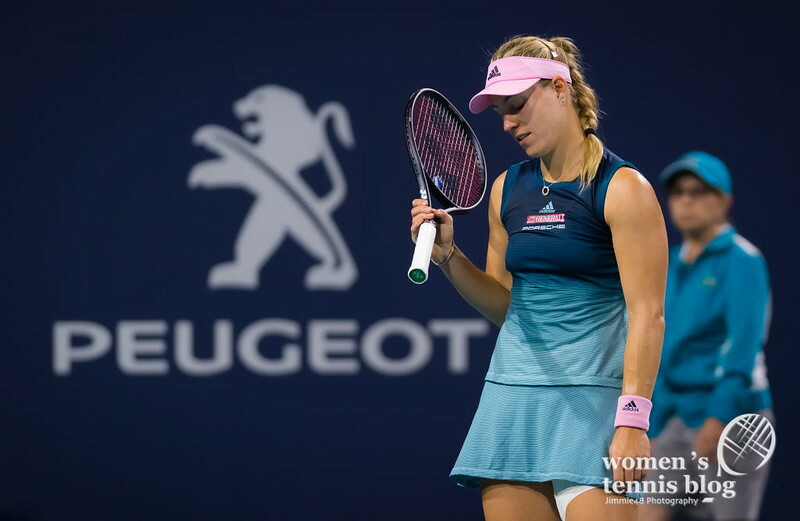 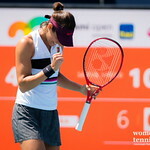 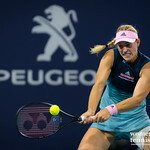 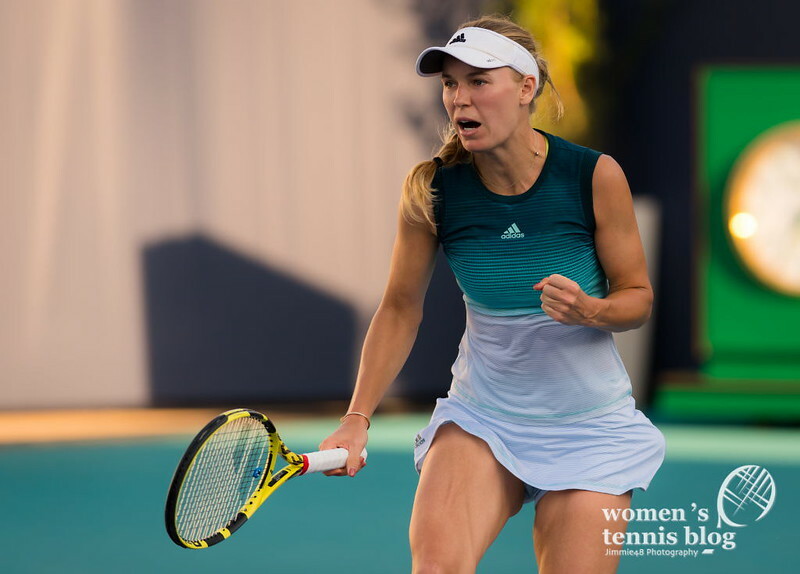 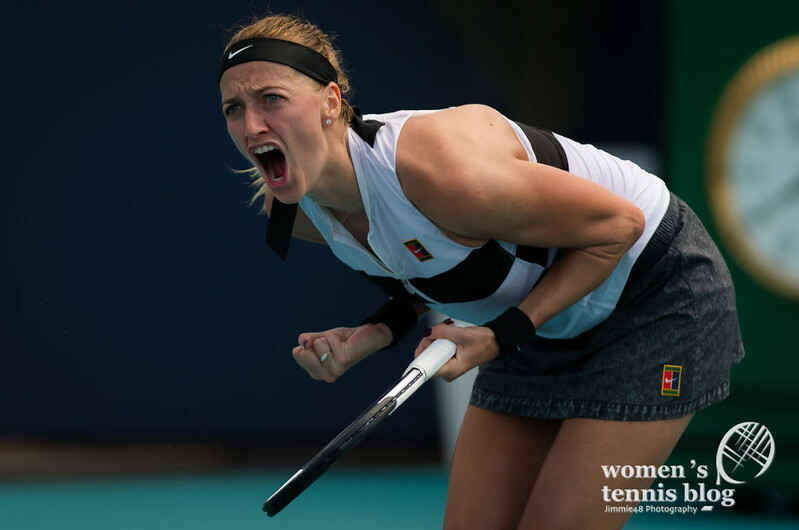 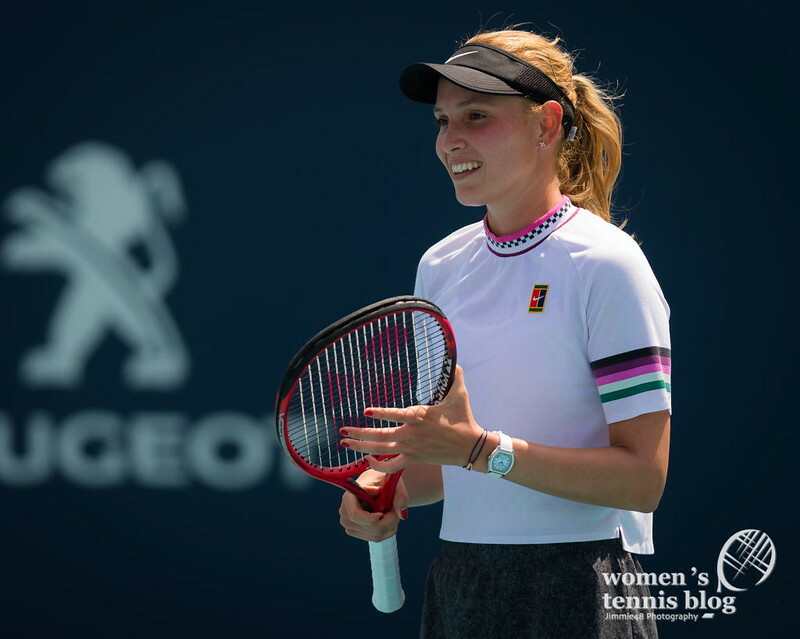 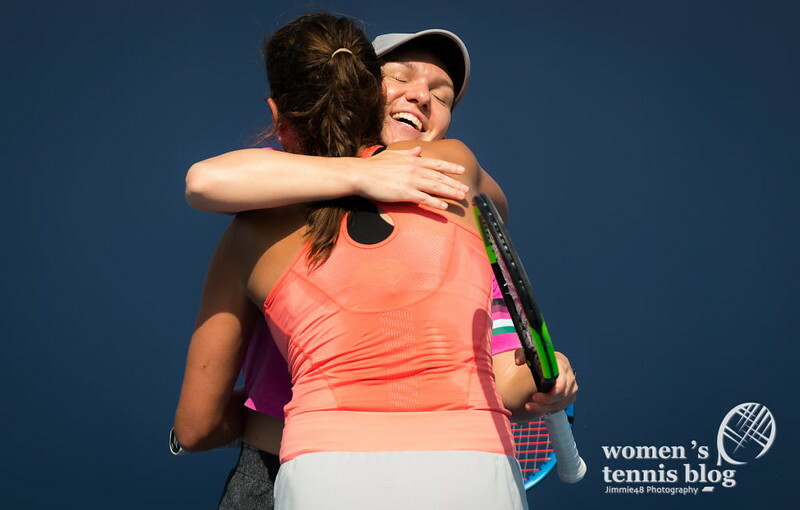 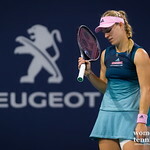 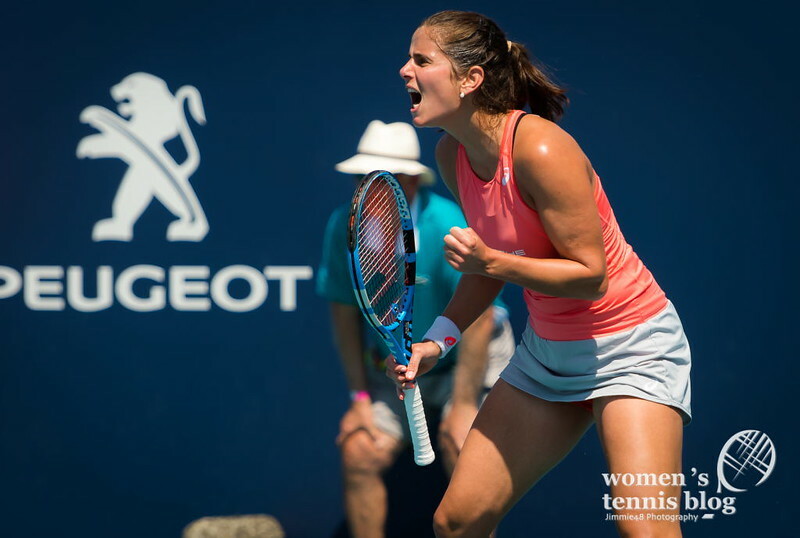 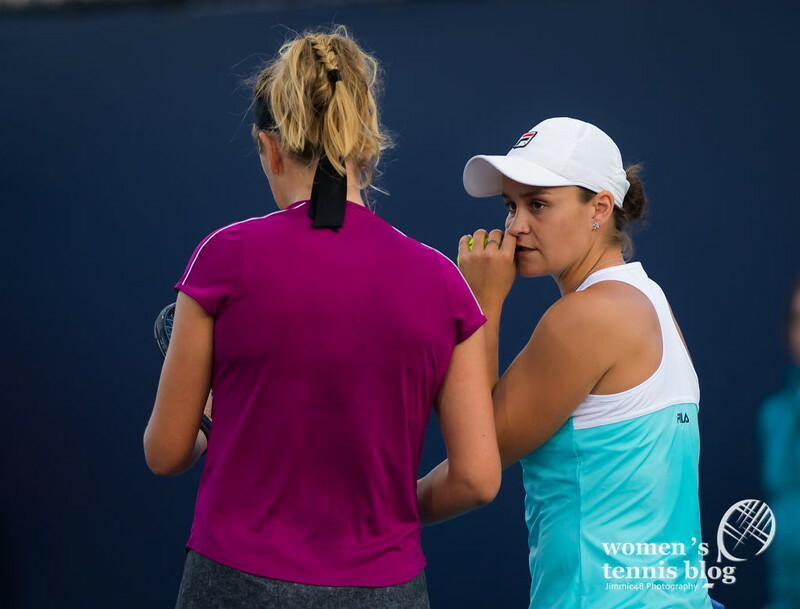 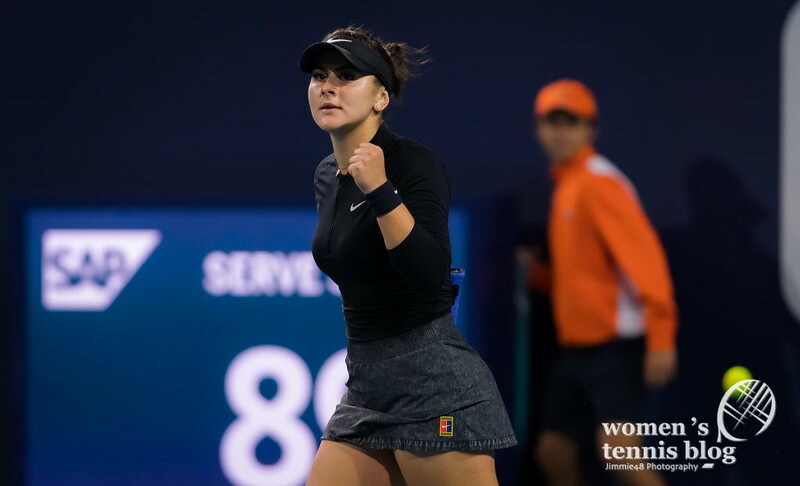 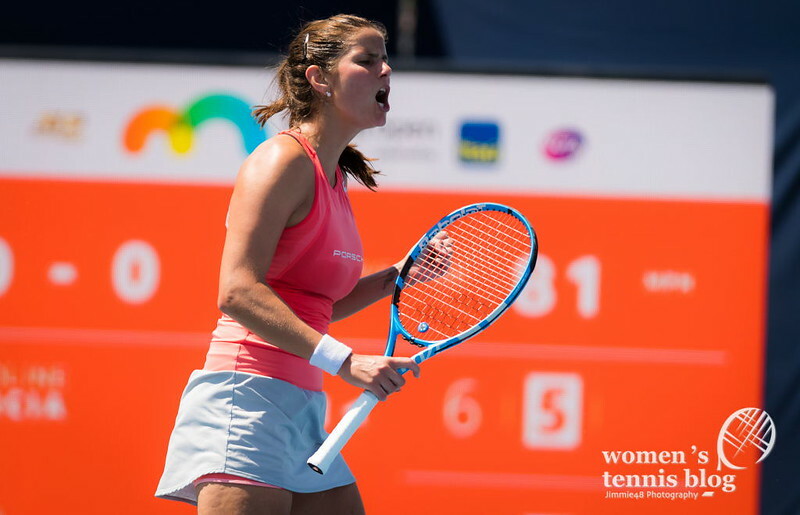 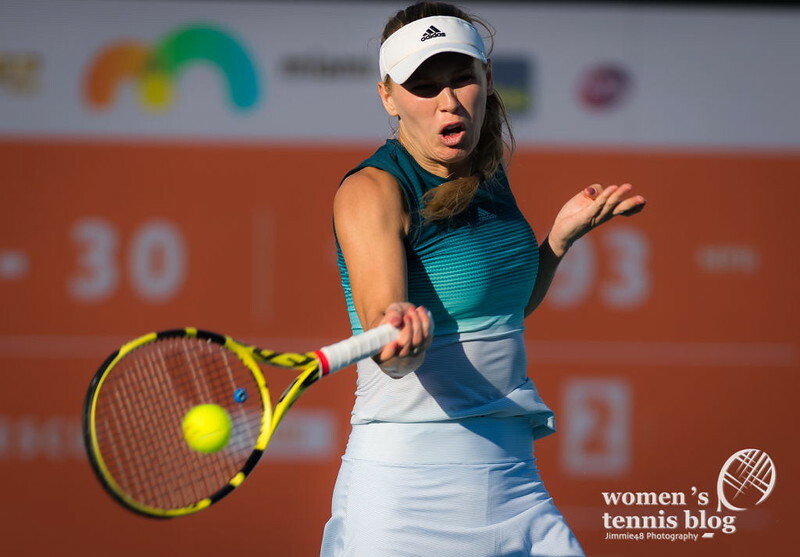 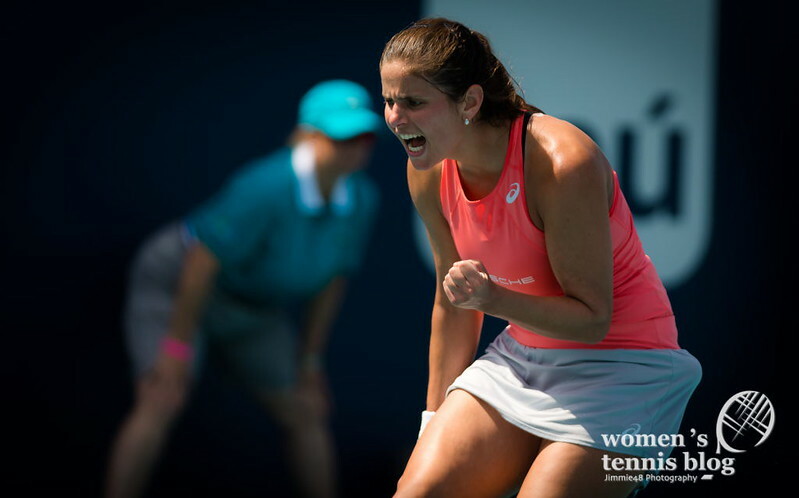 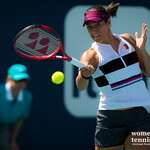 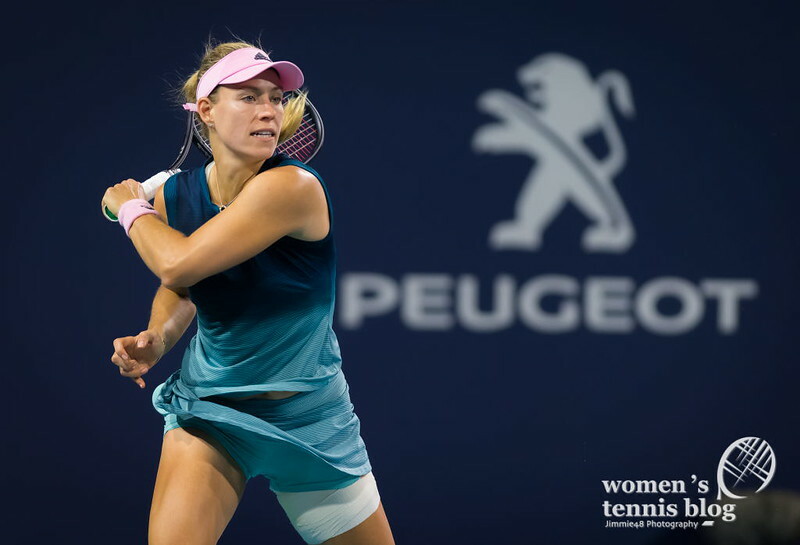 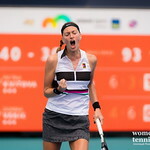 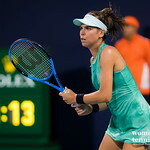 Our Jimmie48 is bringing us photos from all eight third-round matches that took place on Saturday, including the two mentioned above and the victories of seeds Caroline Wozniacki, Kiki Bertens, Anett Kontaveit, Petra Kvitova, Caroline Garcia, and Ashleigh Barty. 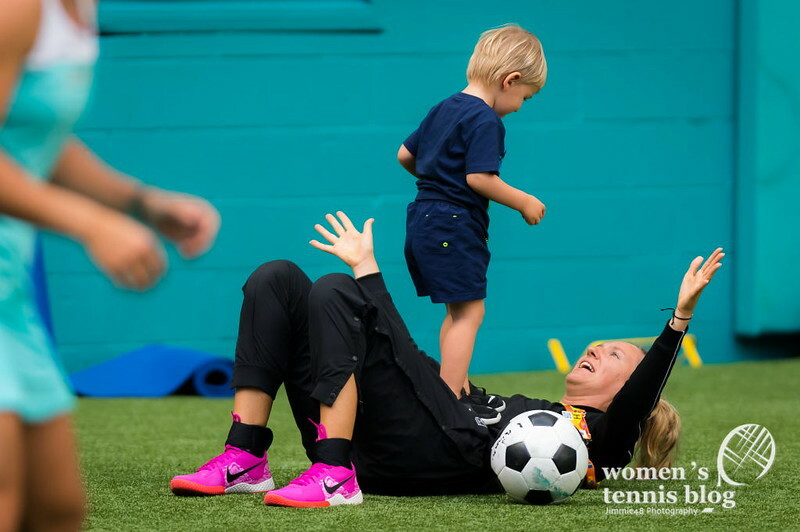 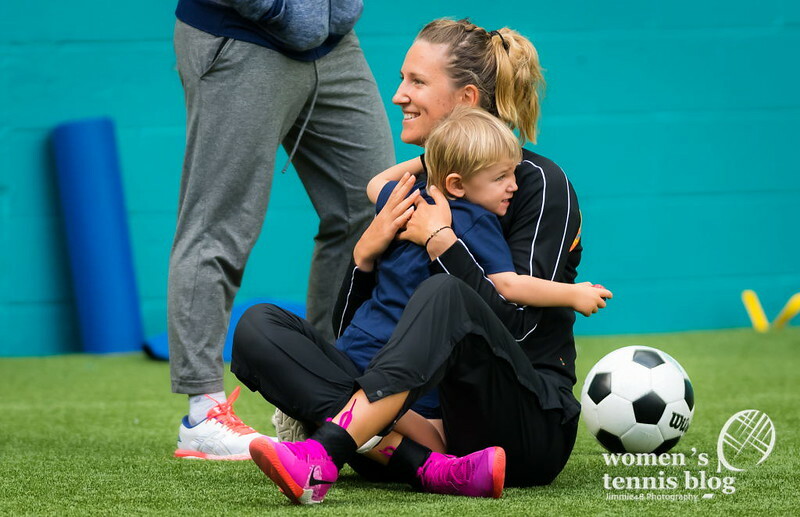 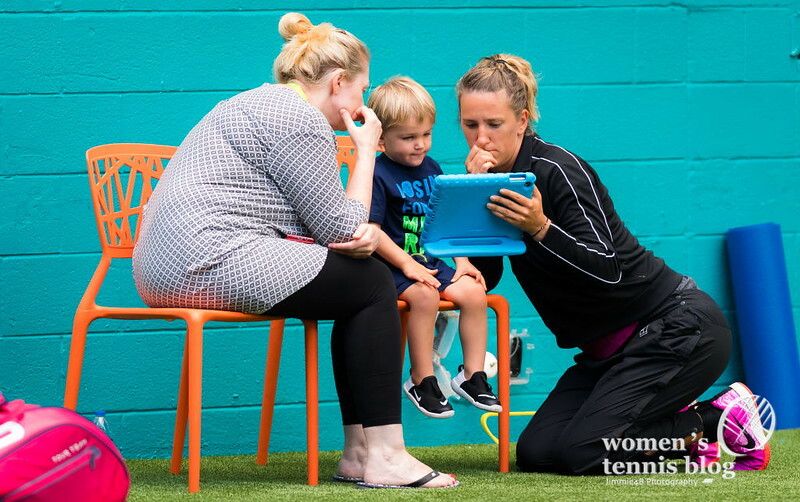 My favorite photos, though, are those of Victoria Azarenka and her son Leo, taken before the Belarusian’s first-round doubles victory with partner Ashleigh Barty.